You are invited whether you want to create that perfect intimate getaway, start a family tradition, or host a unique business retreat, Old Man's Cave Chalets is the place to stay. 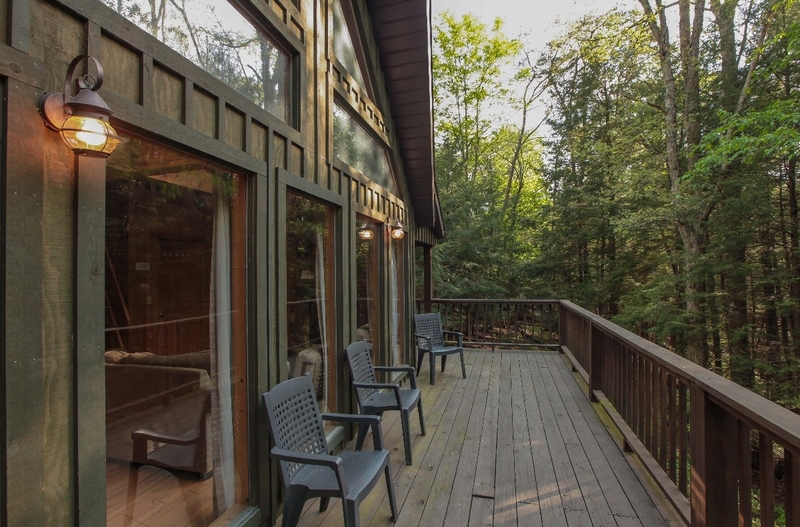 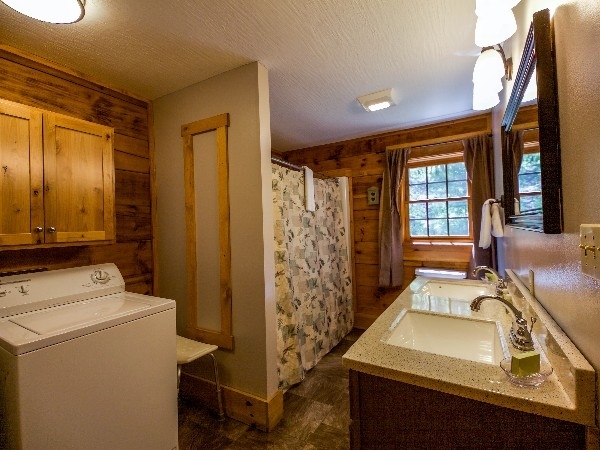 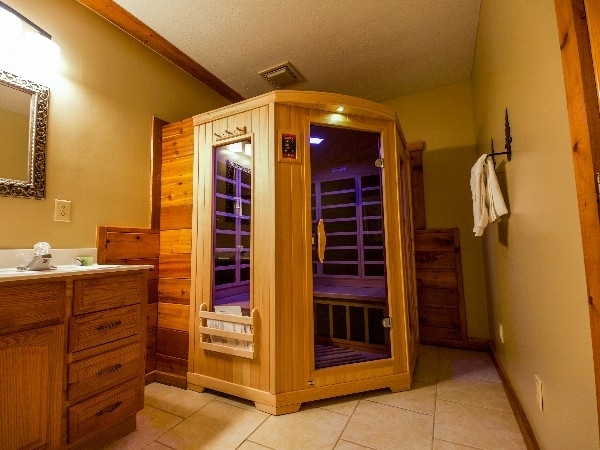 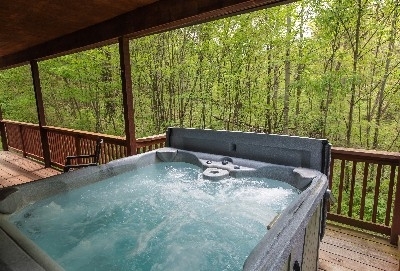 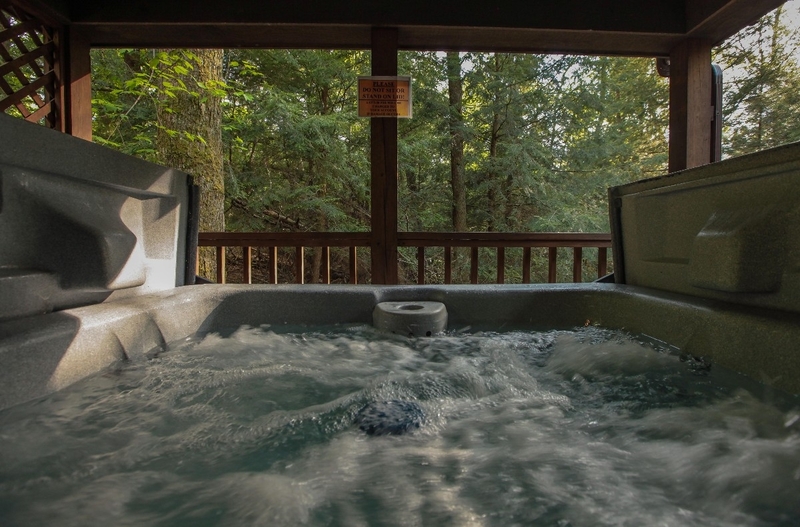 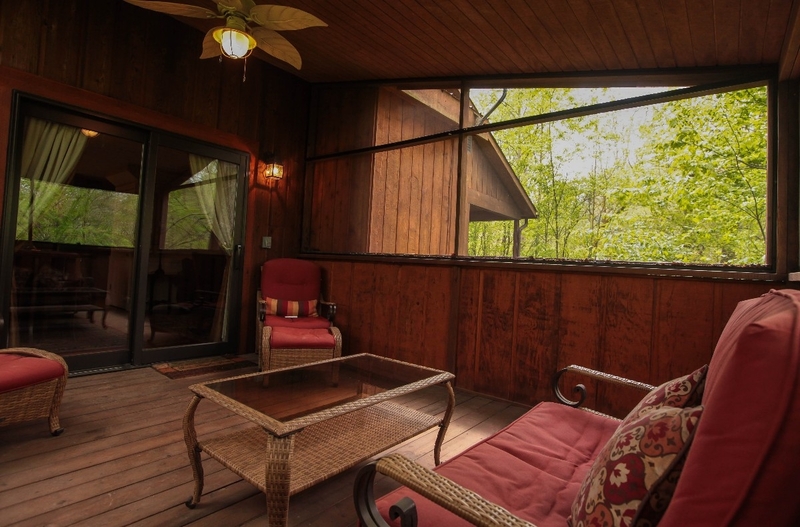 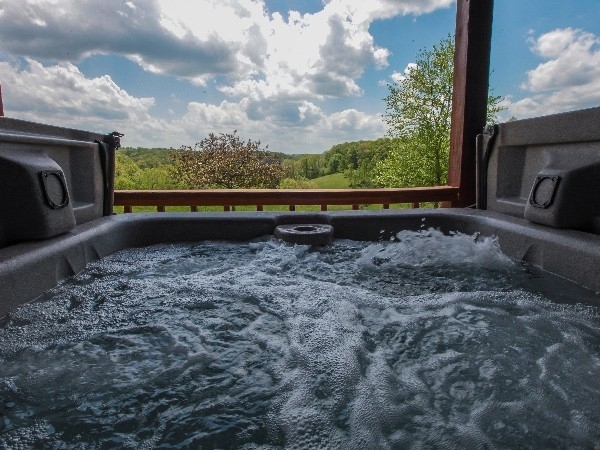 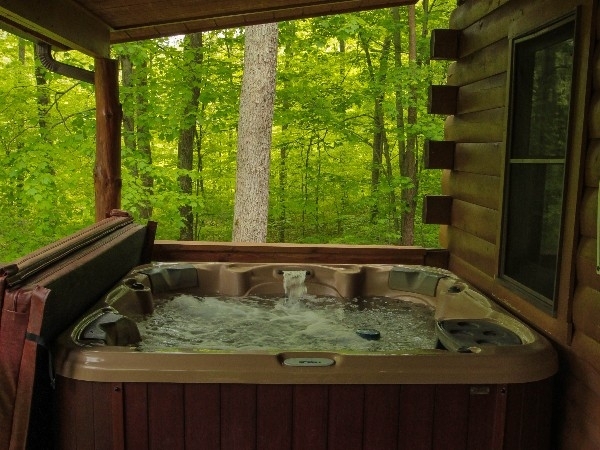 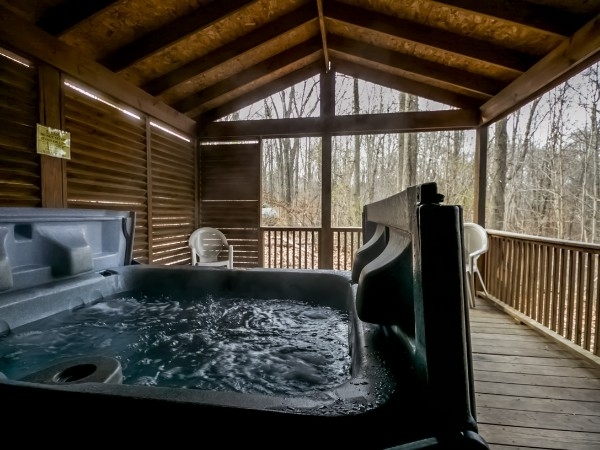 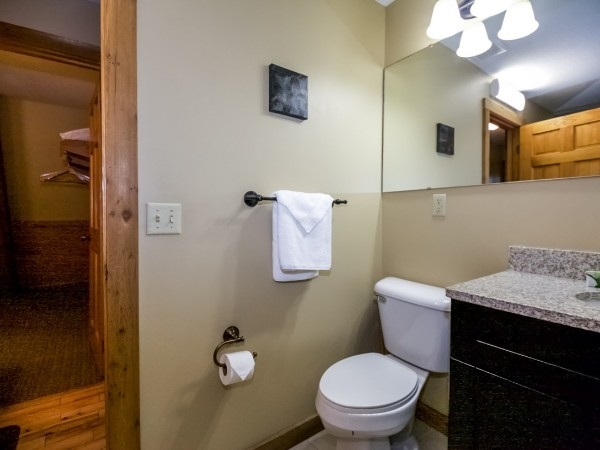 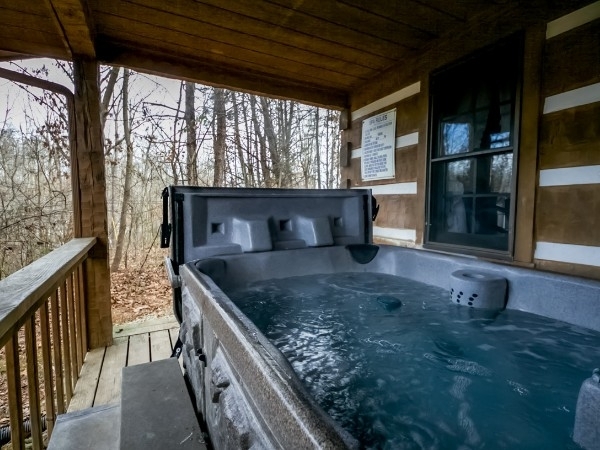 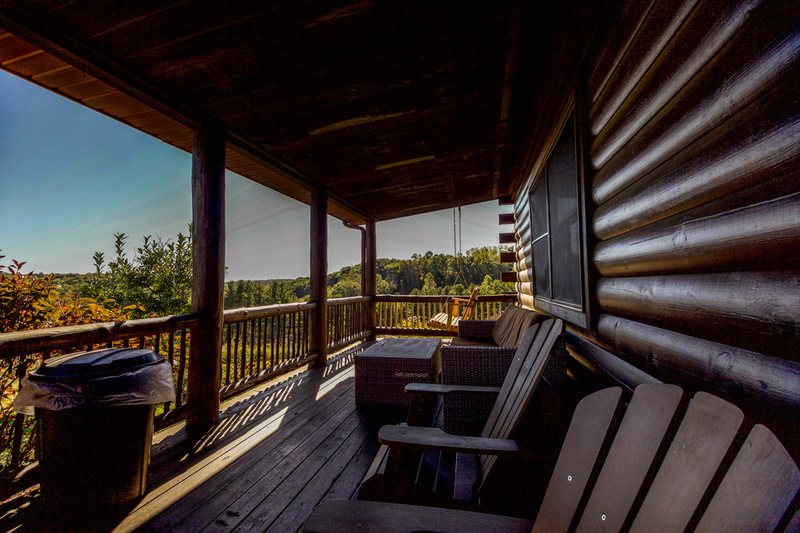 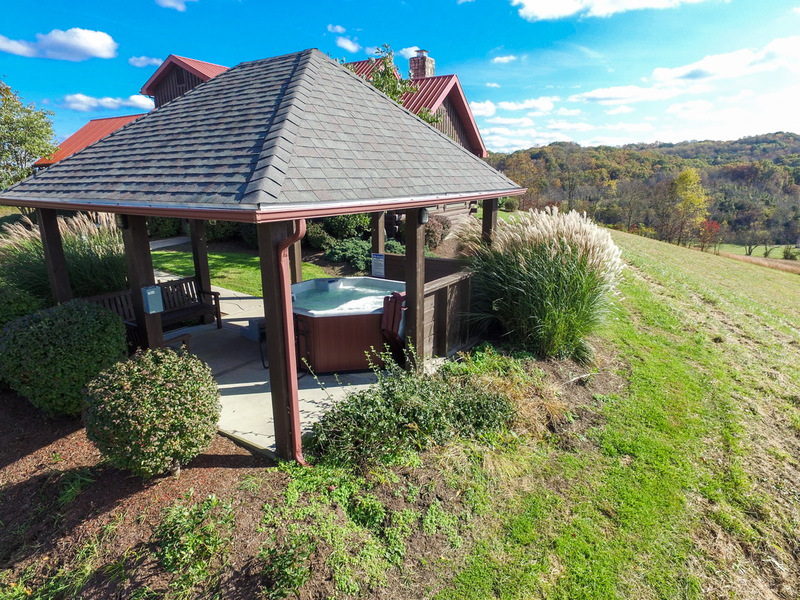 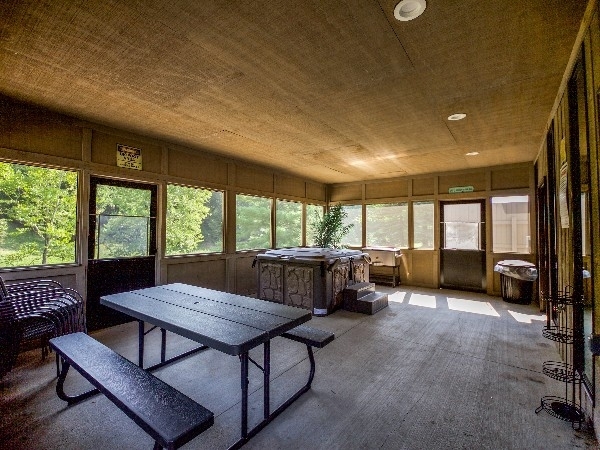 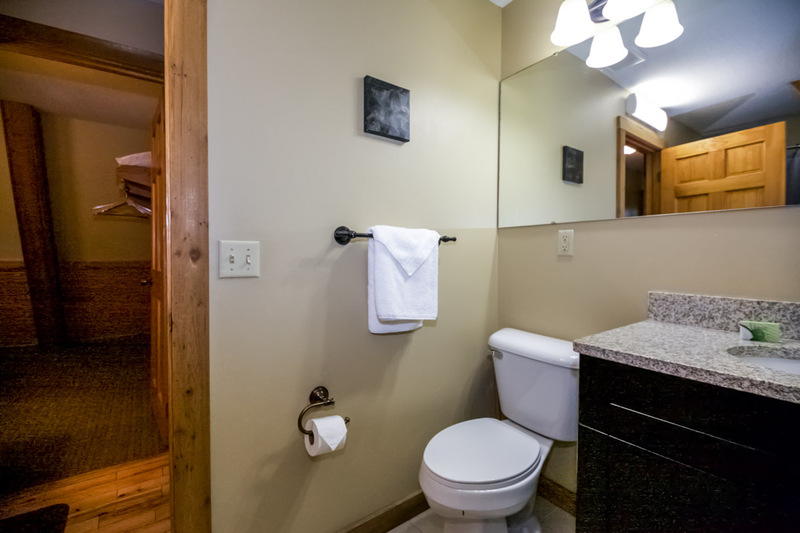 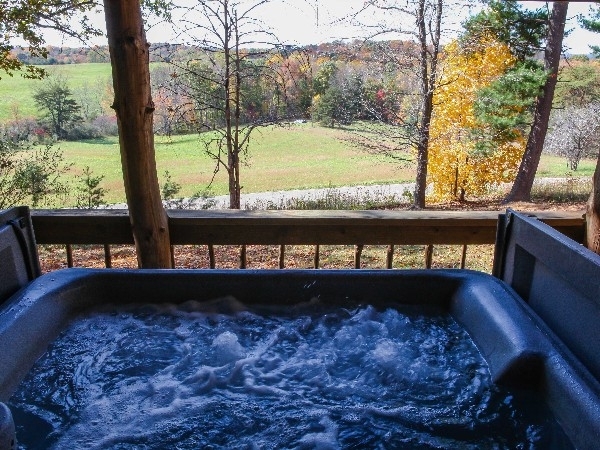 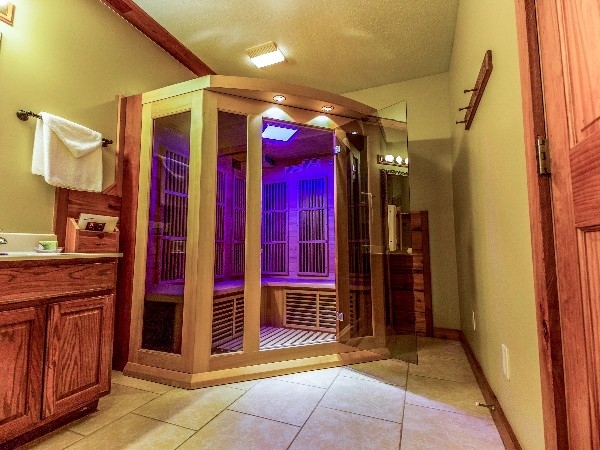 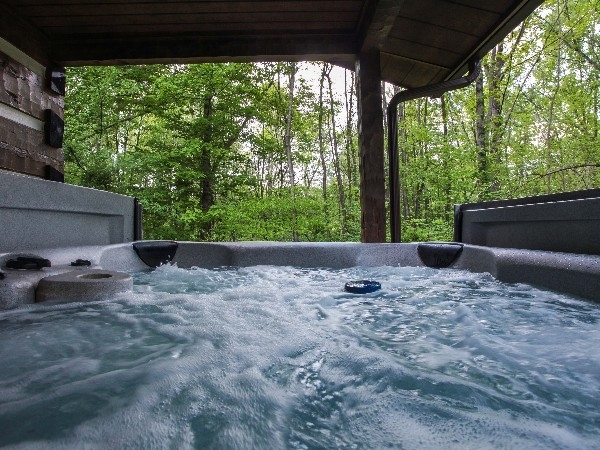 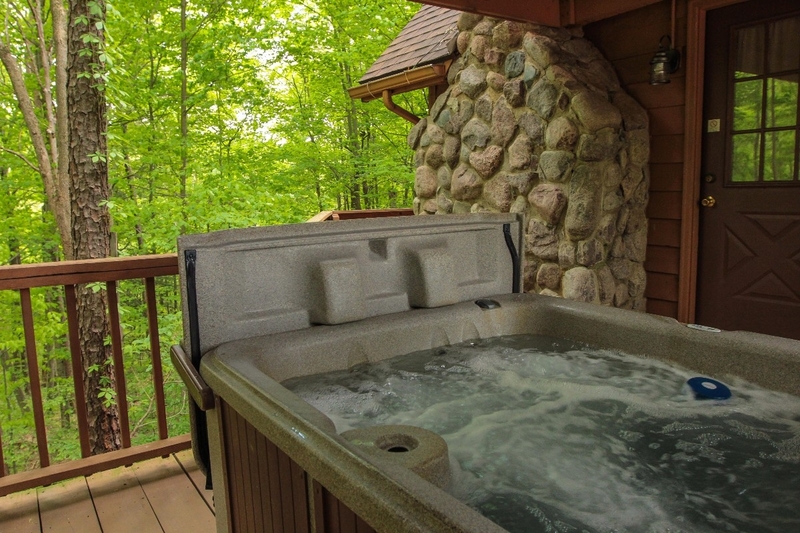 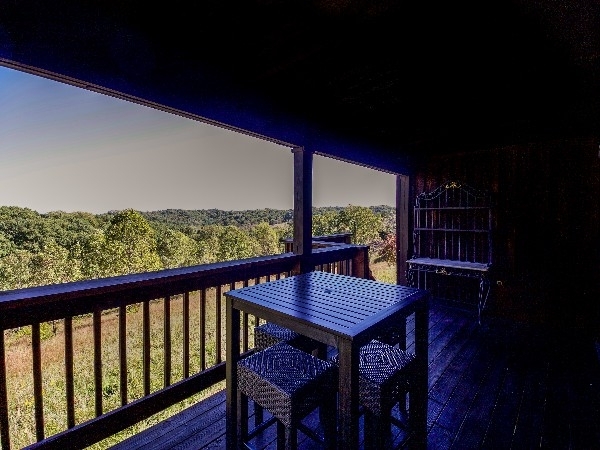 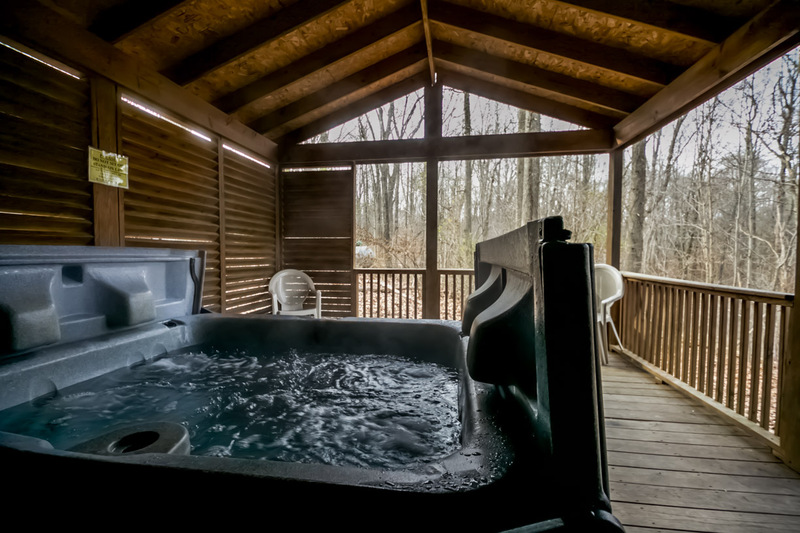 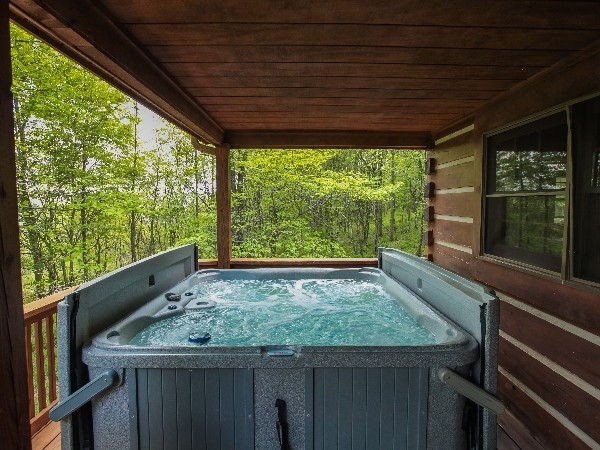 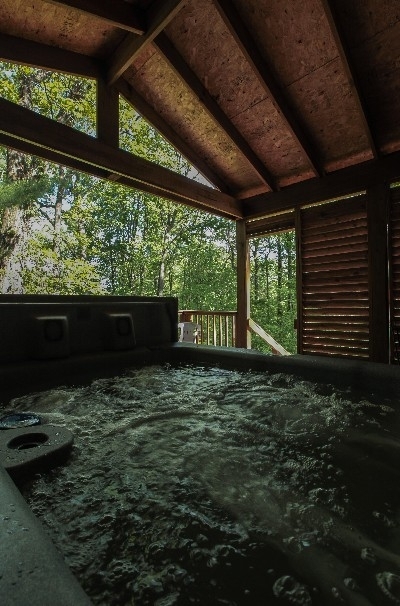 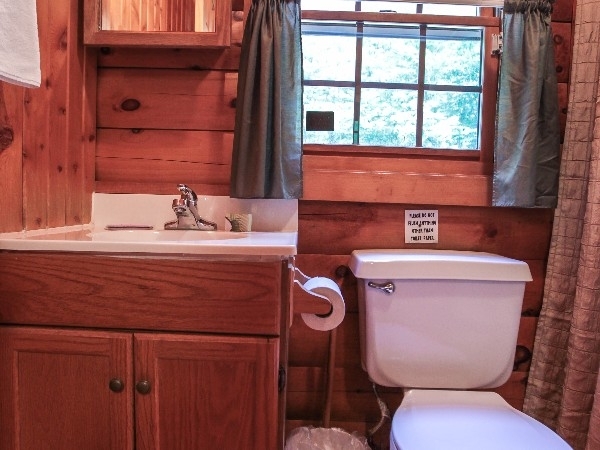 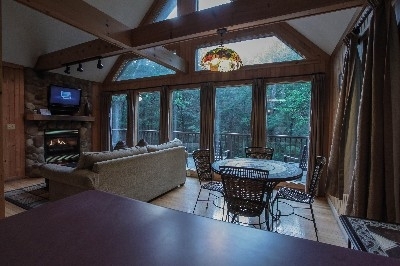 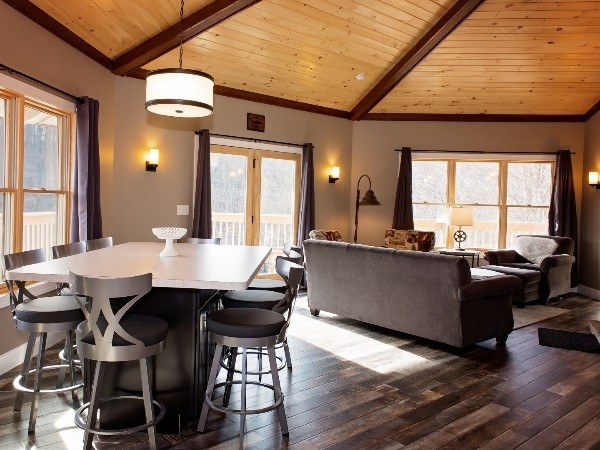 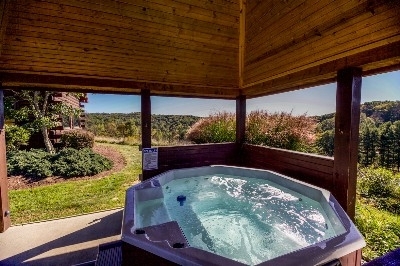 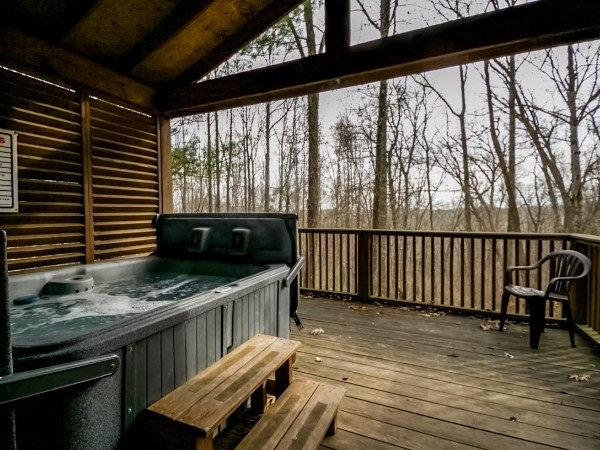 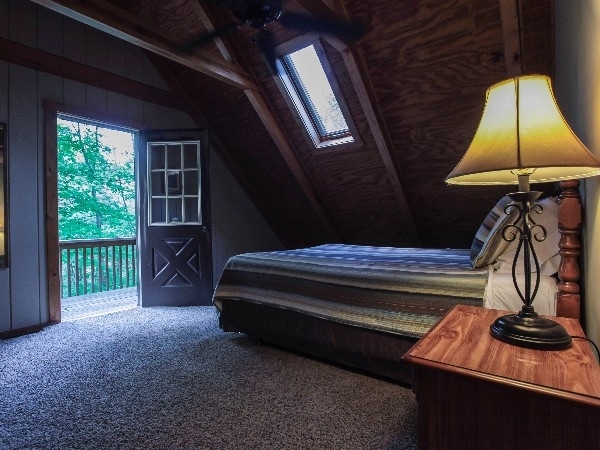 Ohio's very own little piece of heaven, Old Man's Cave Chalets offers the largest selection of luxury private cabins, cozy woodland suites, and spacious lodges in the Hocking Hills region. 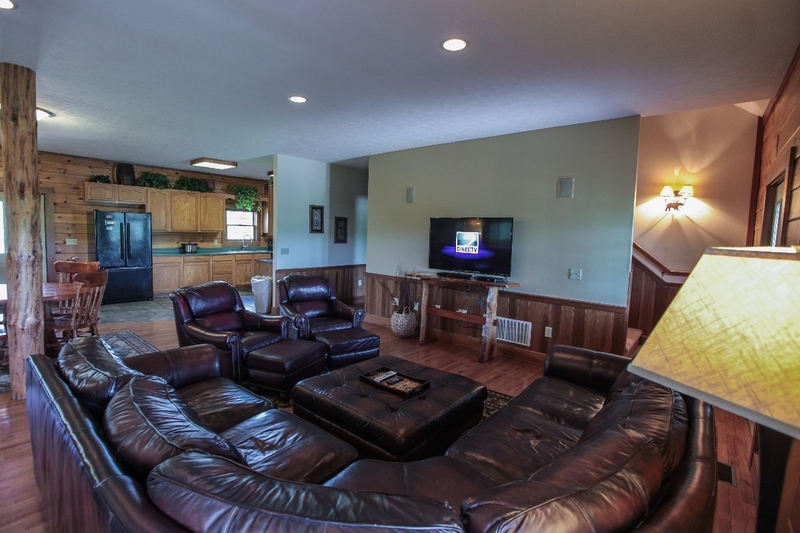 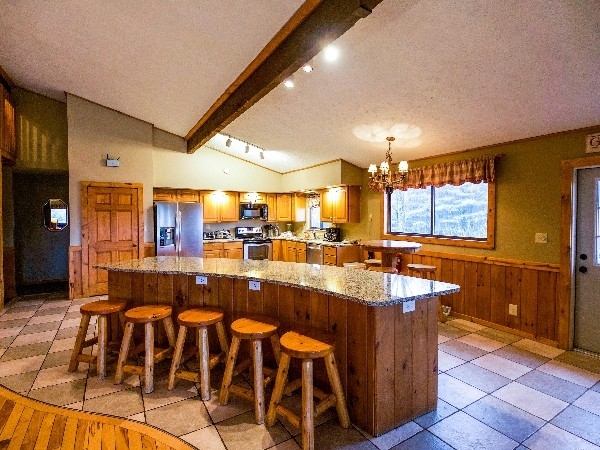 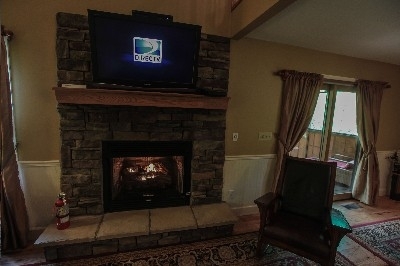 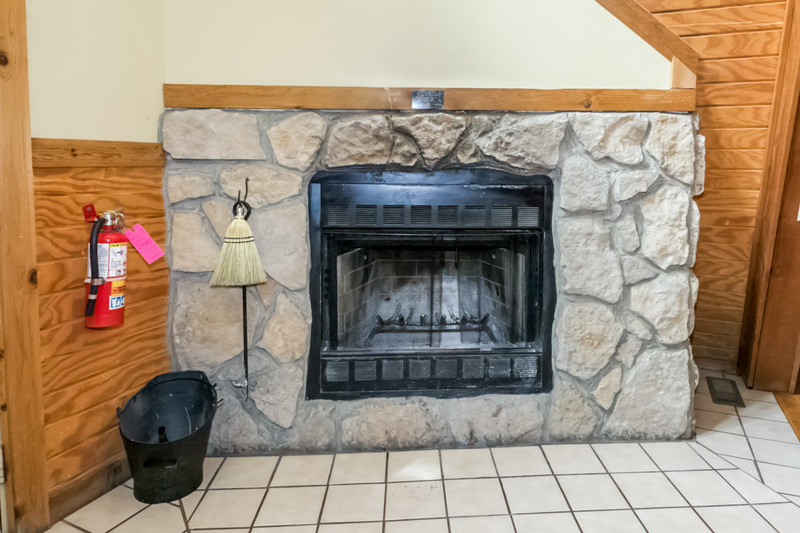 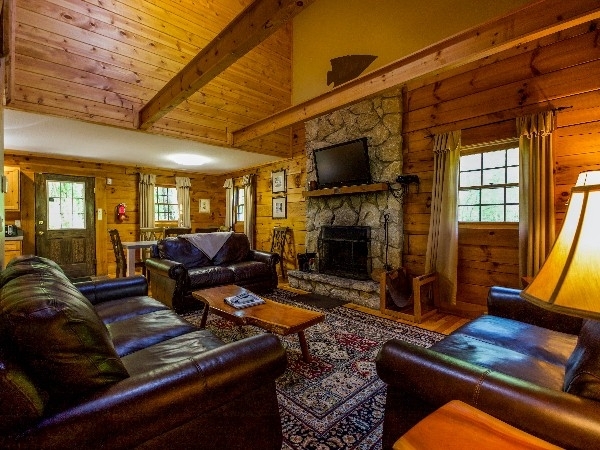 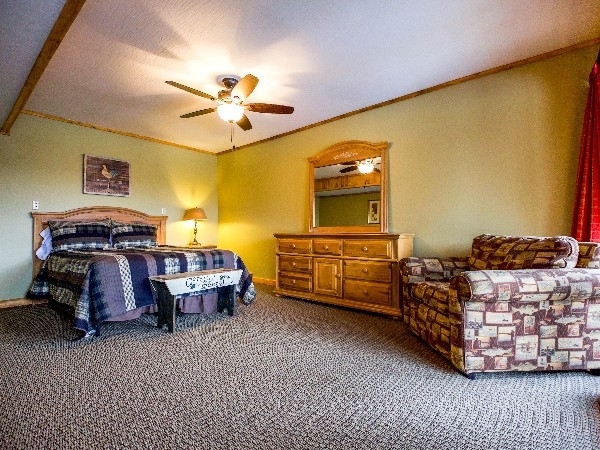 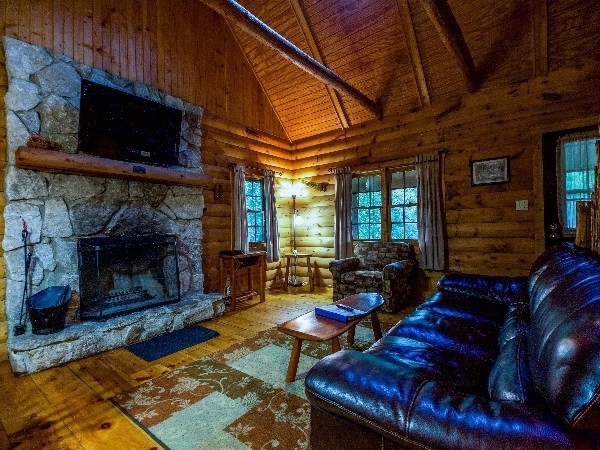 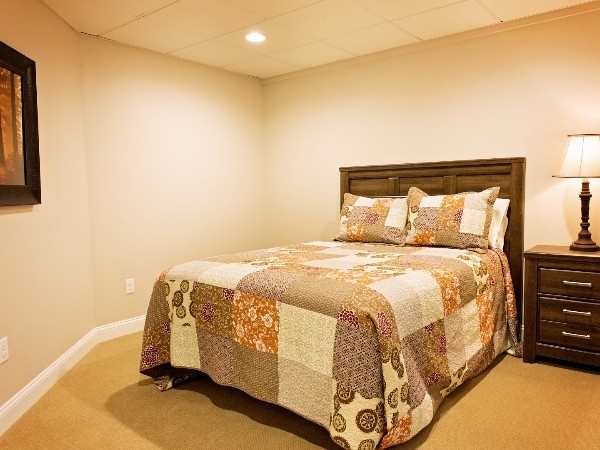 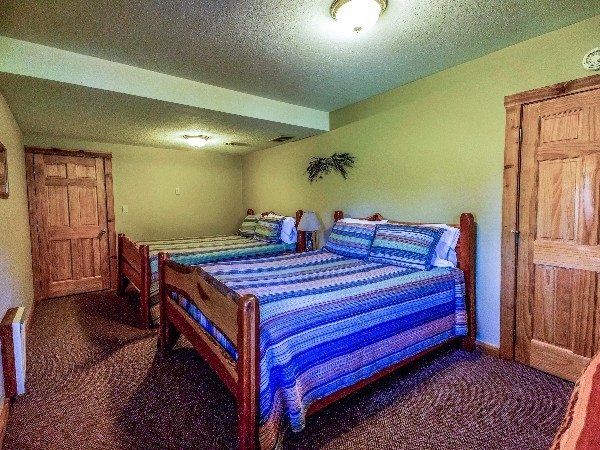 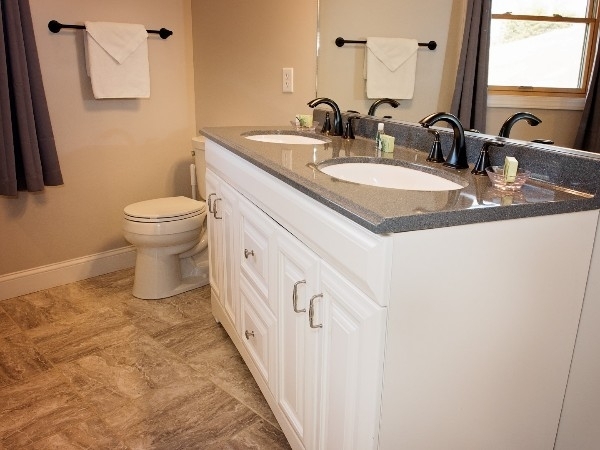 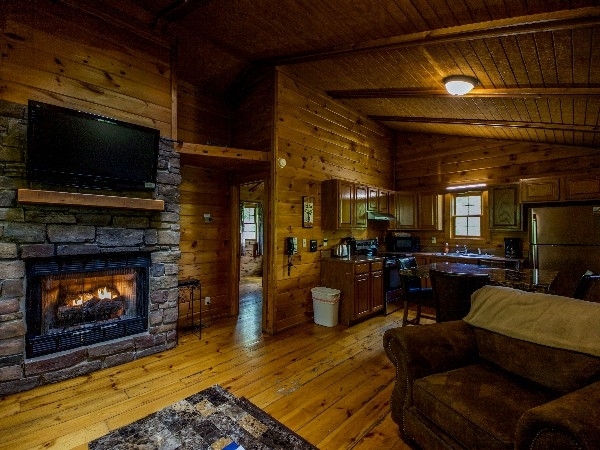 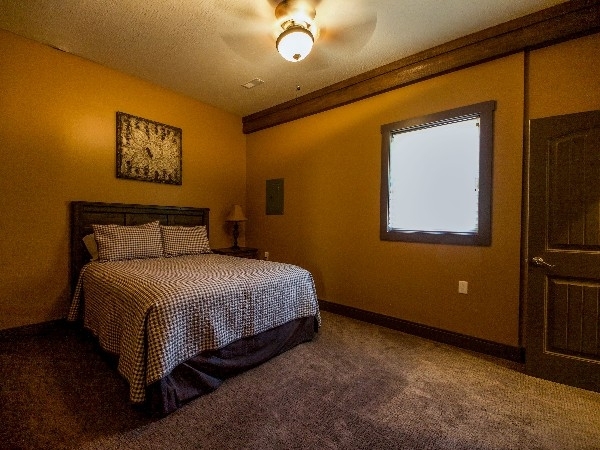 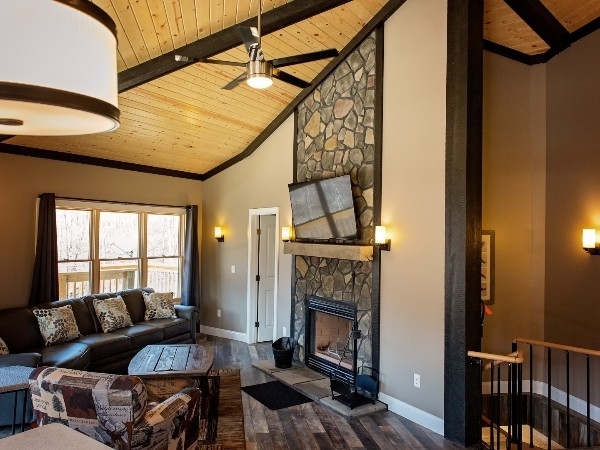 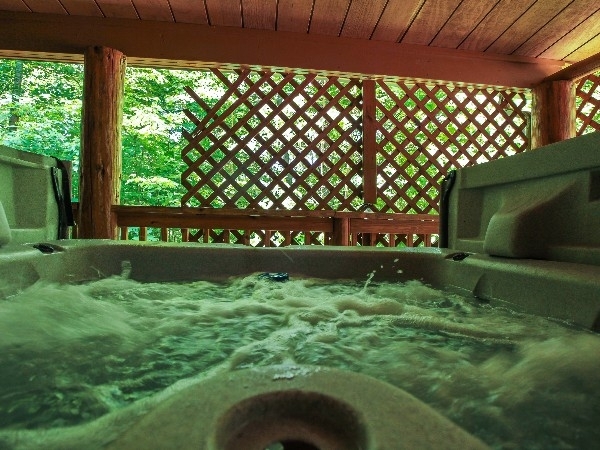 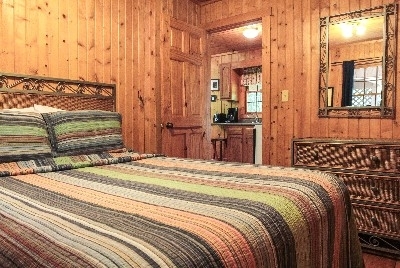 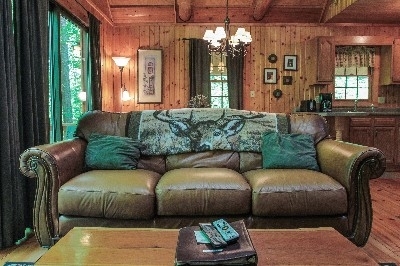 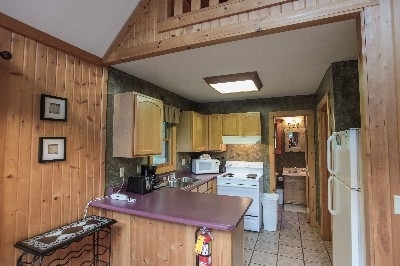 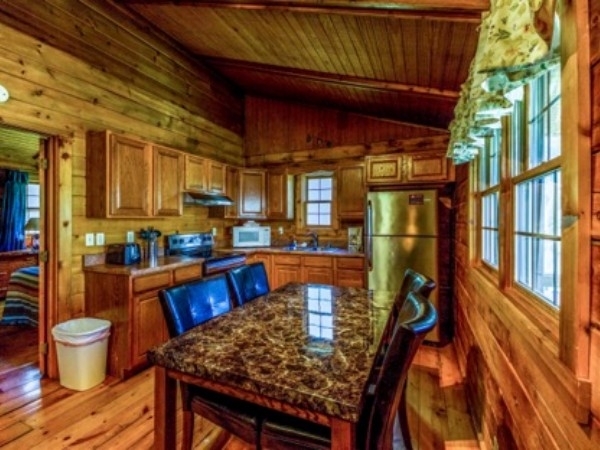 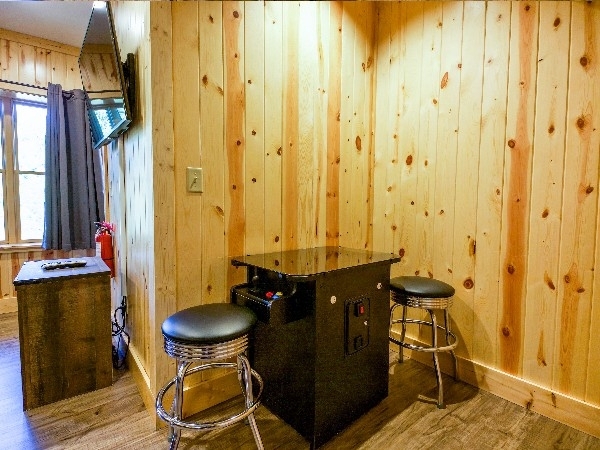 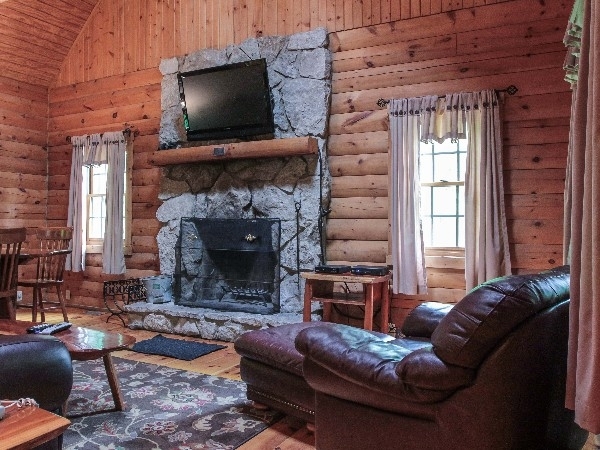 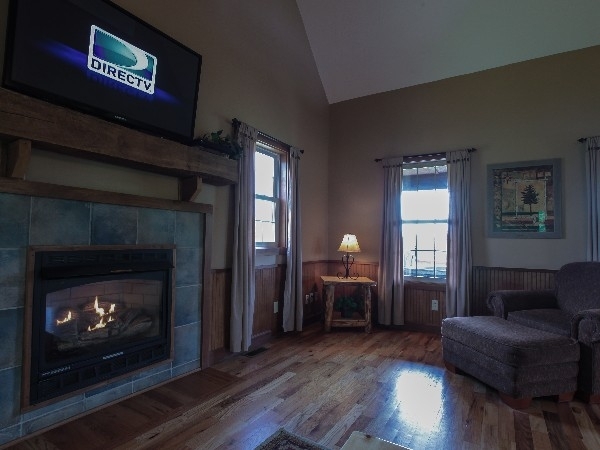 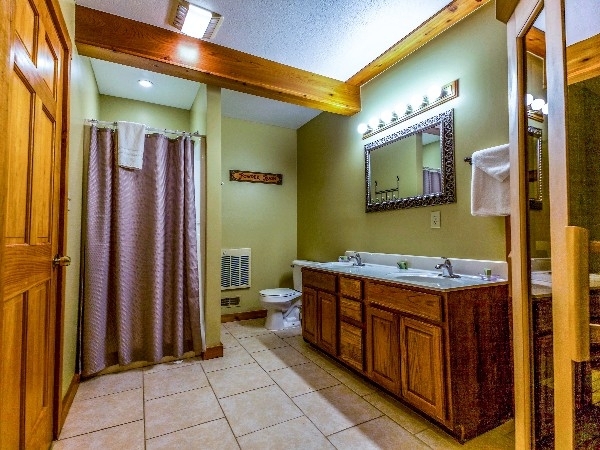 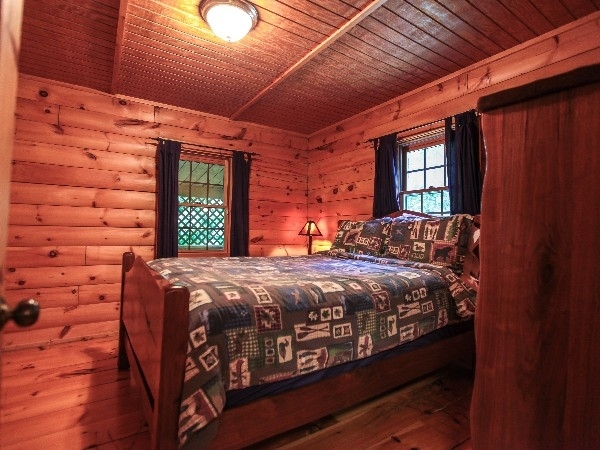 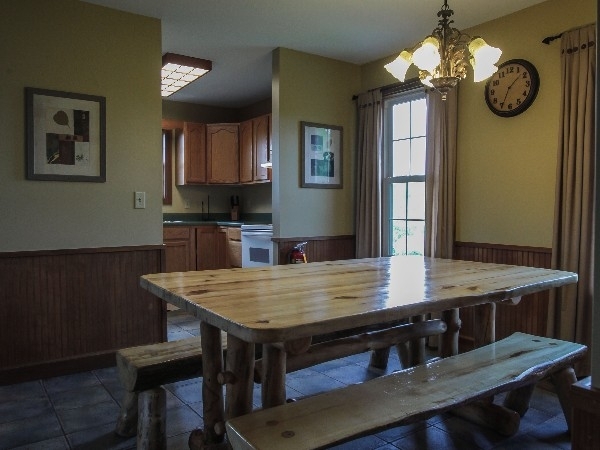 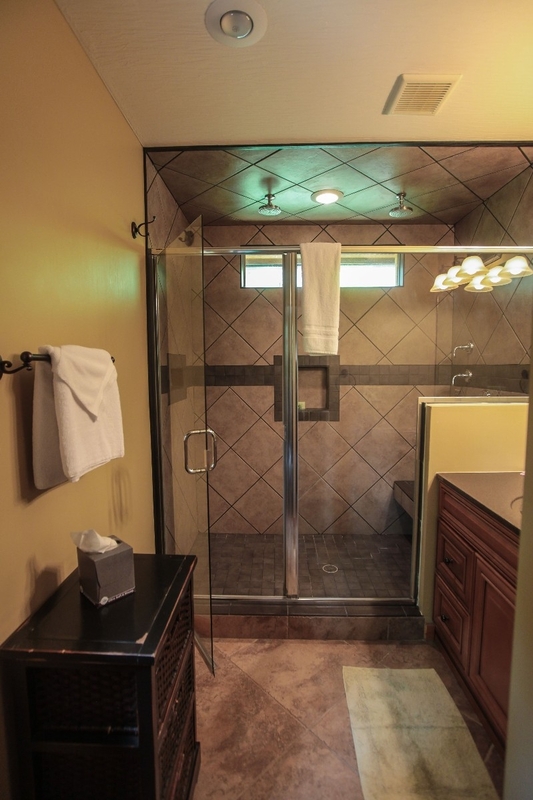 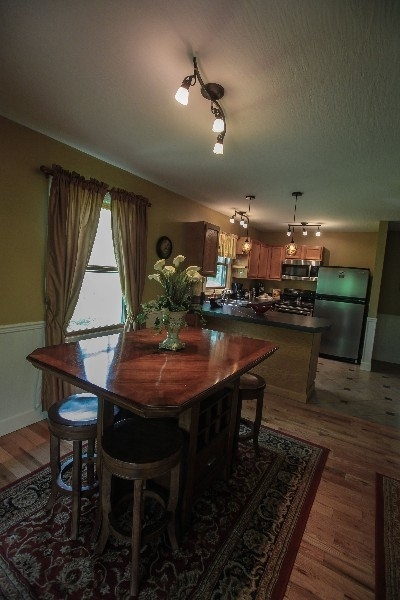 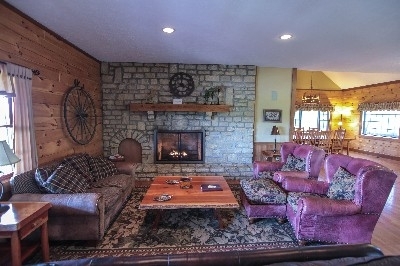 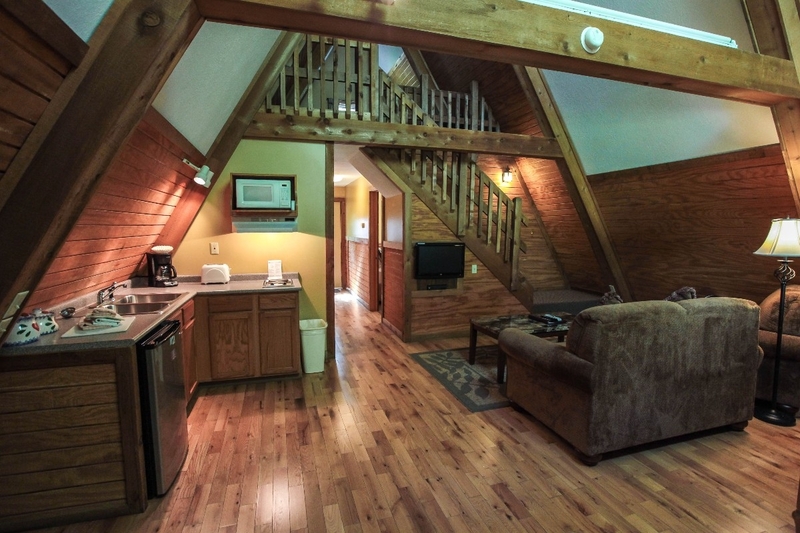 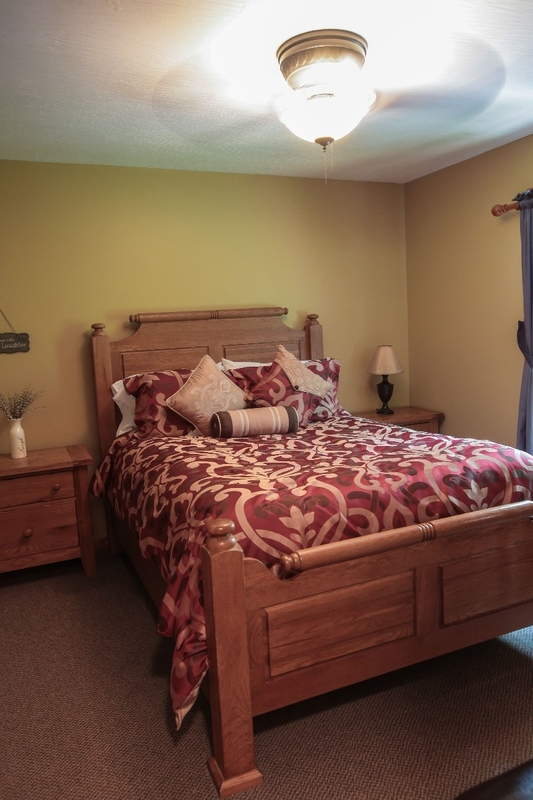 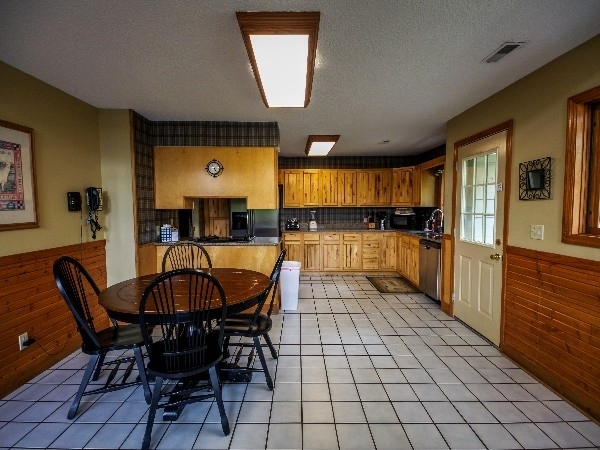 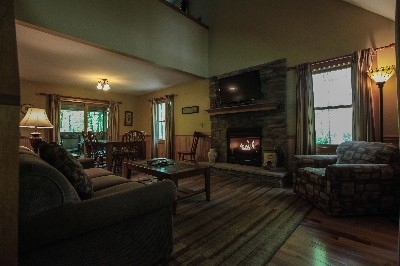 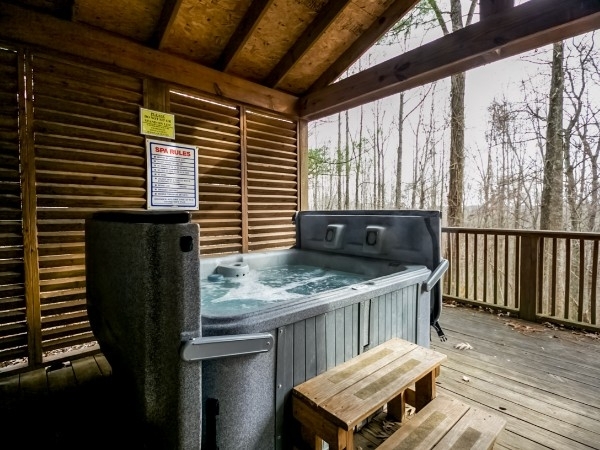 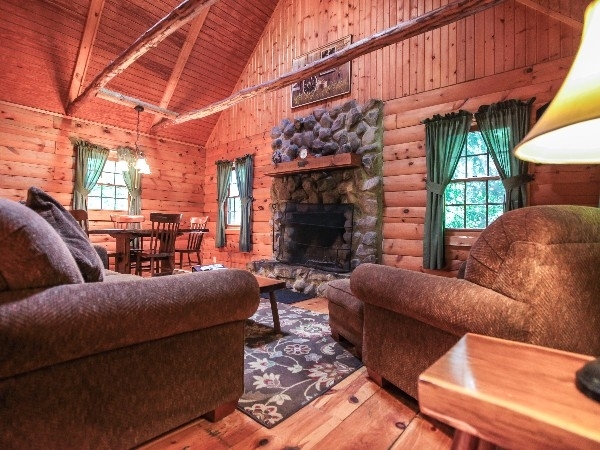 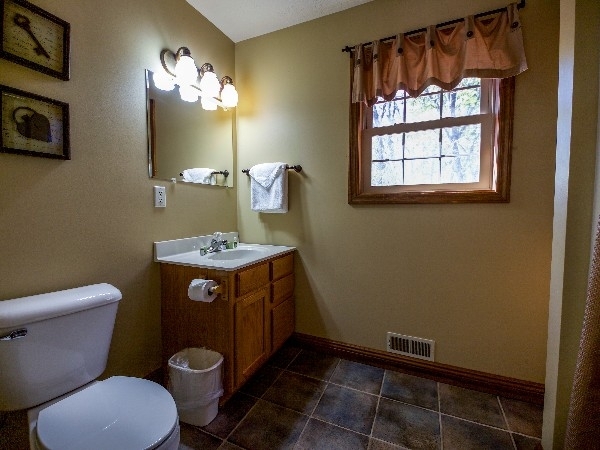 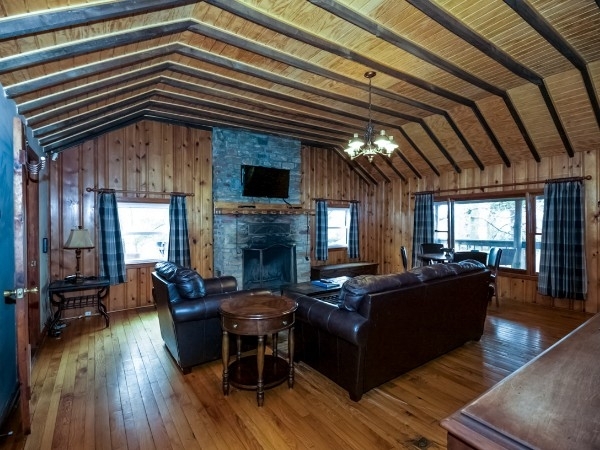 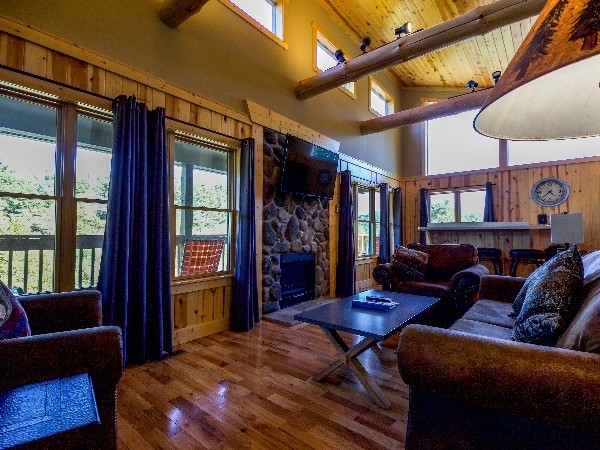 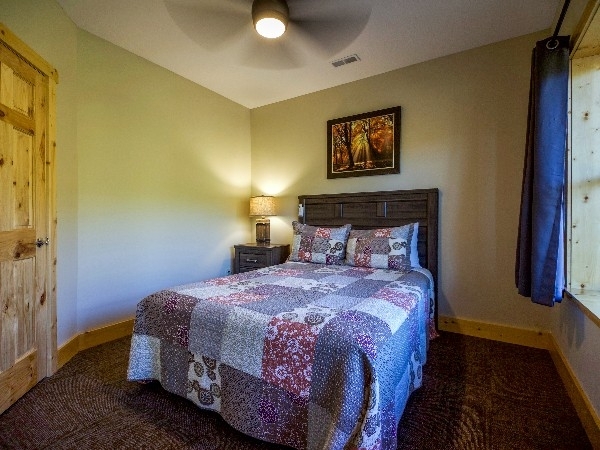 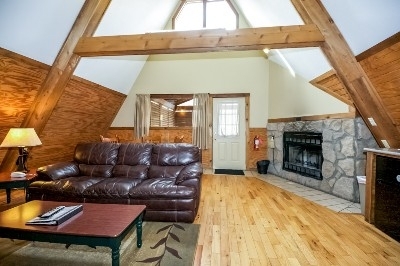 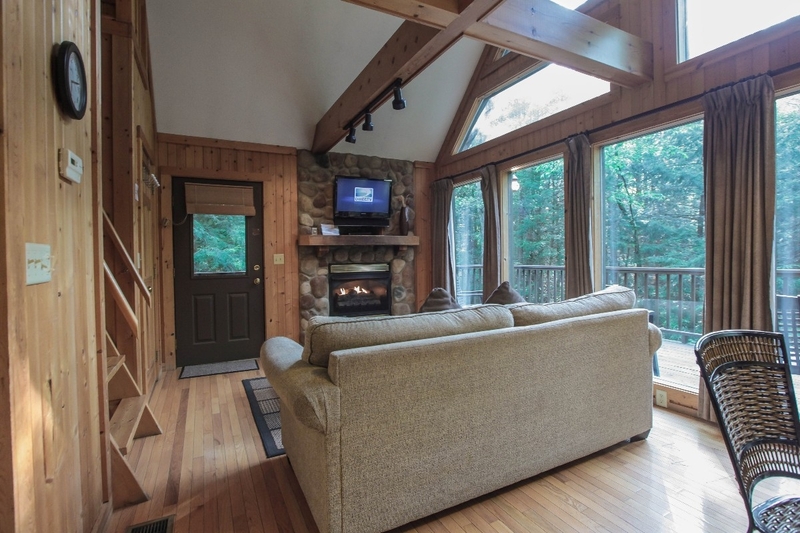 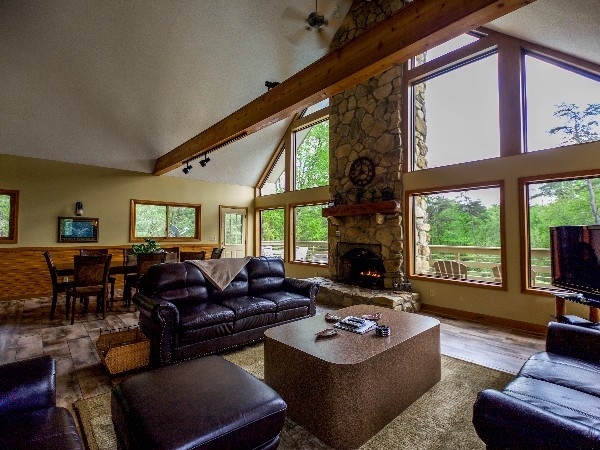 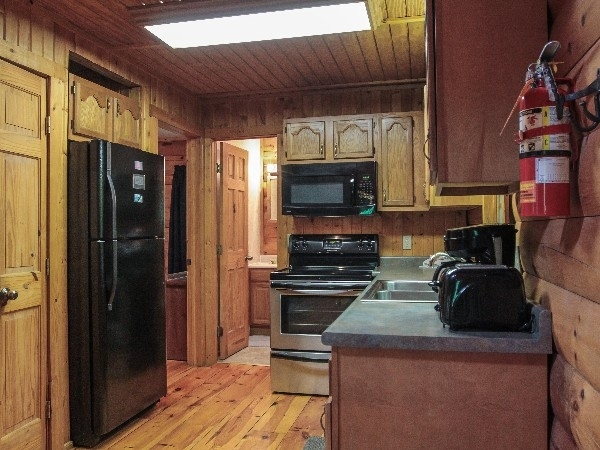 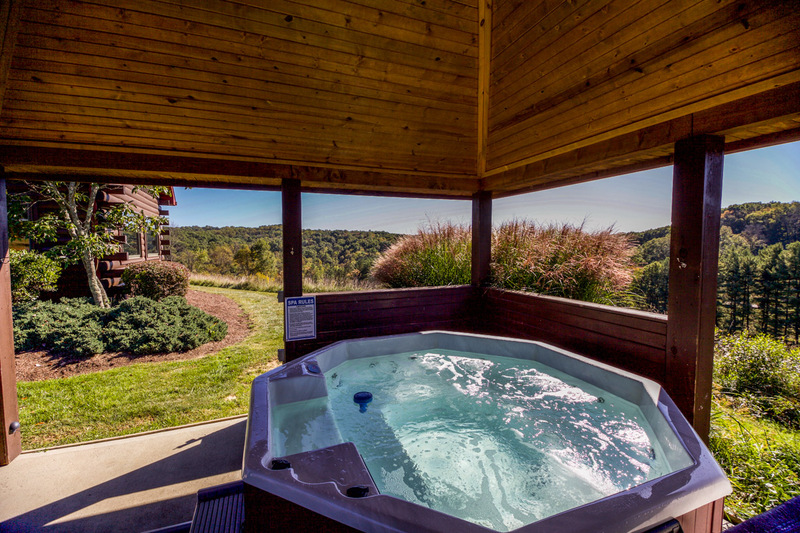 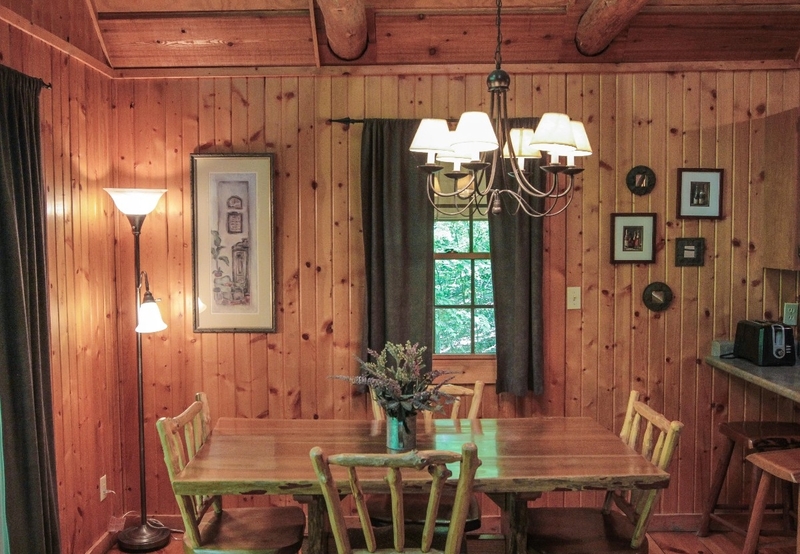 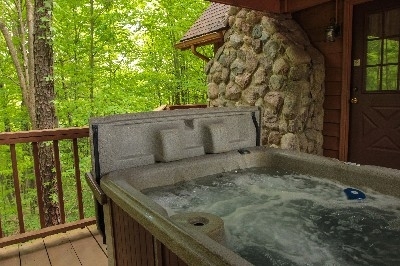 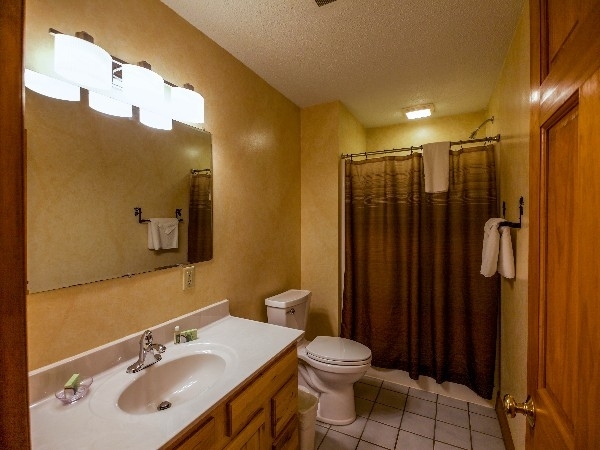 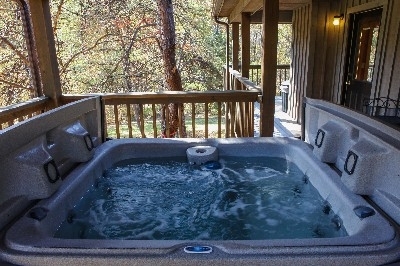 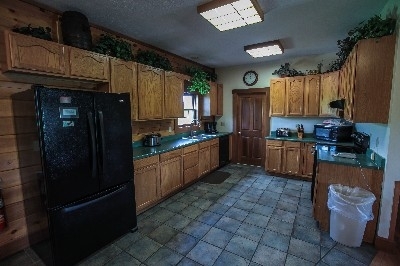 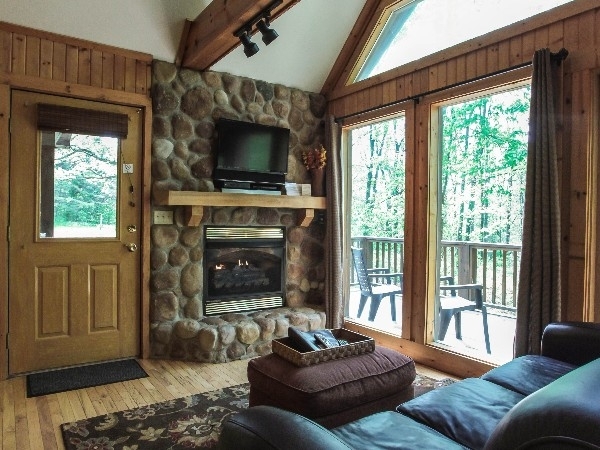 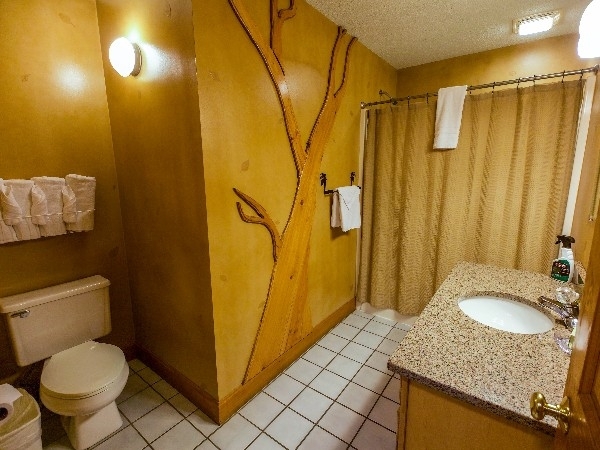 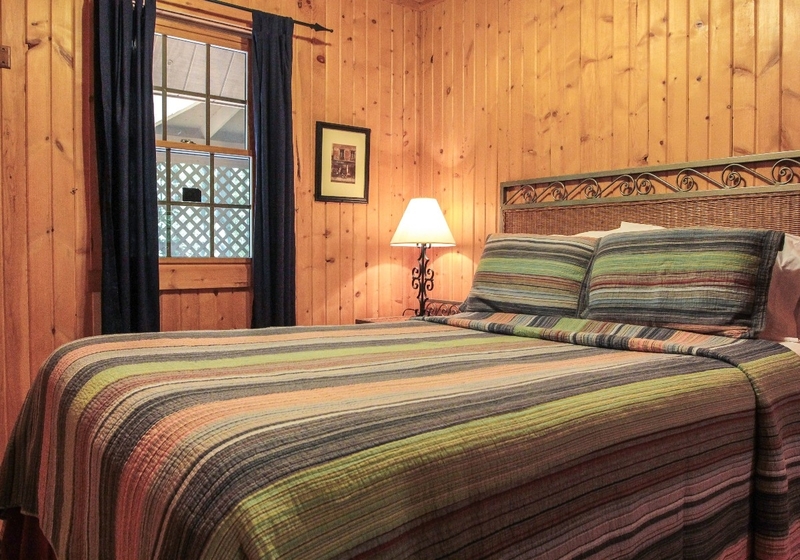 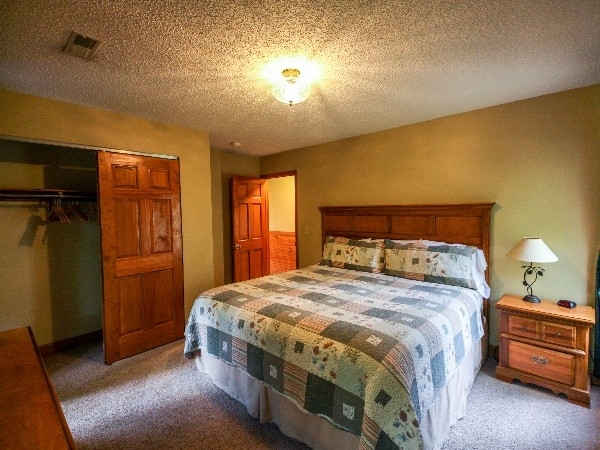 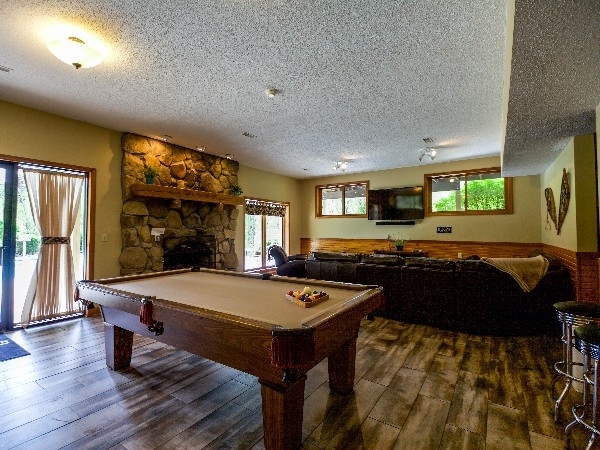 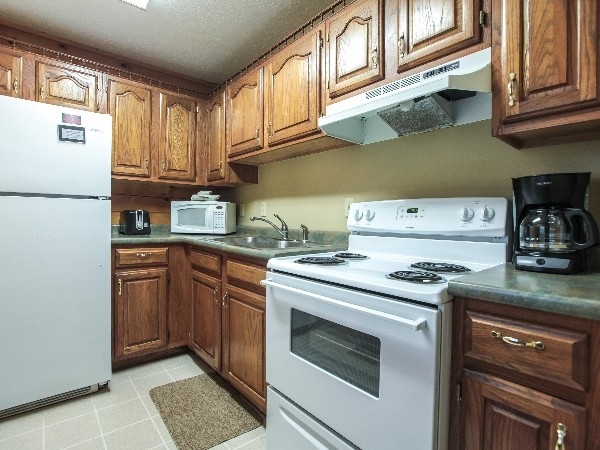 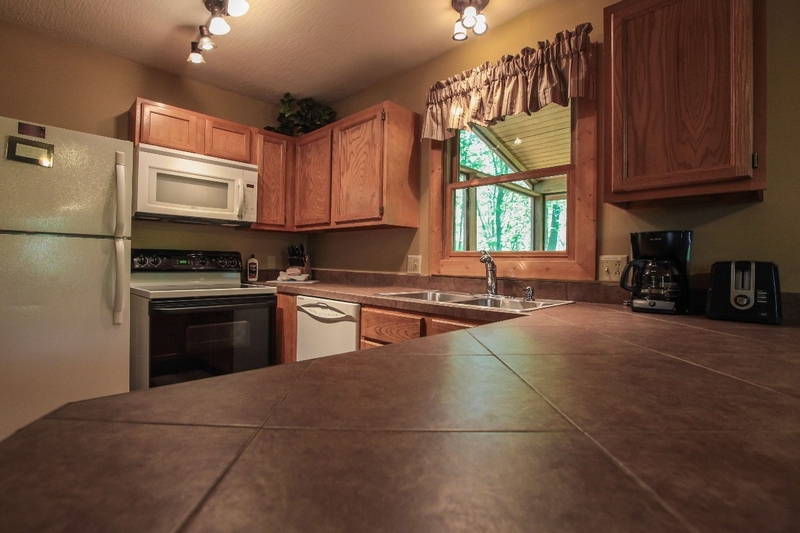 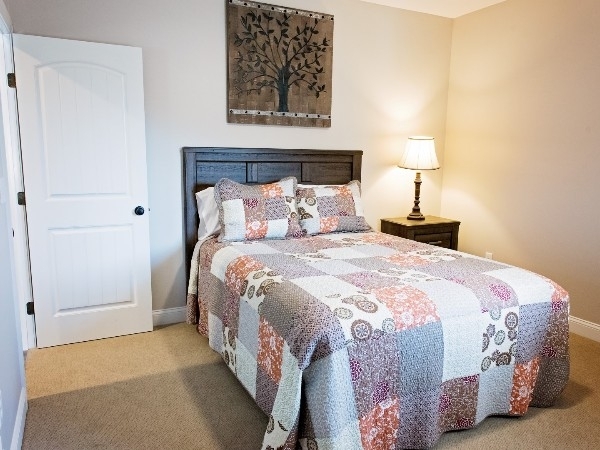 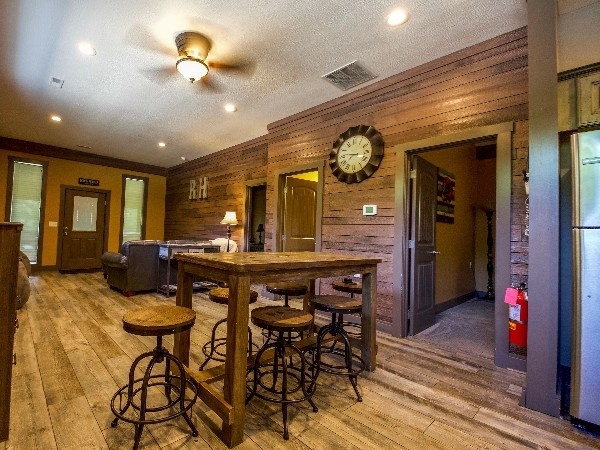 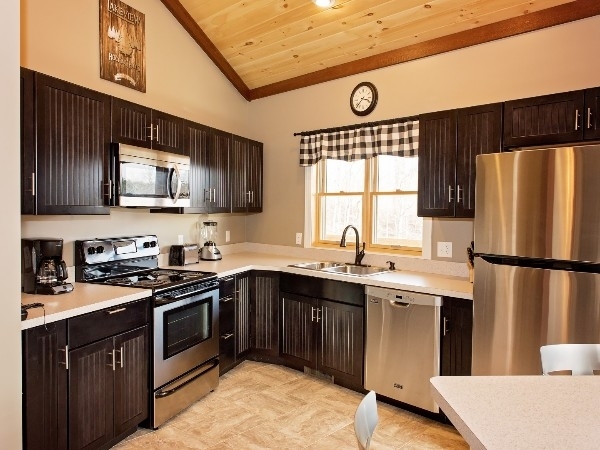 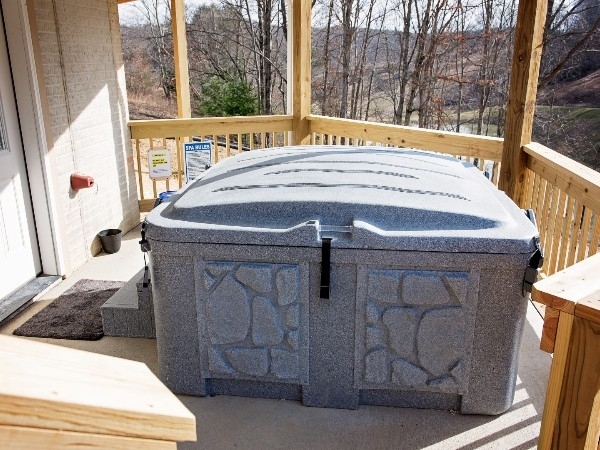 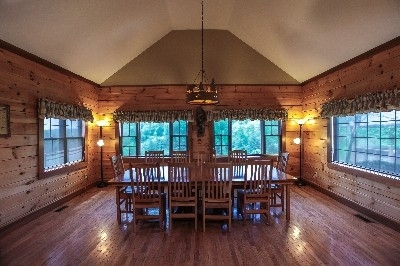 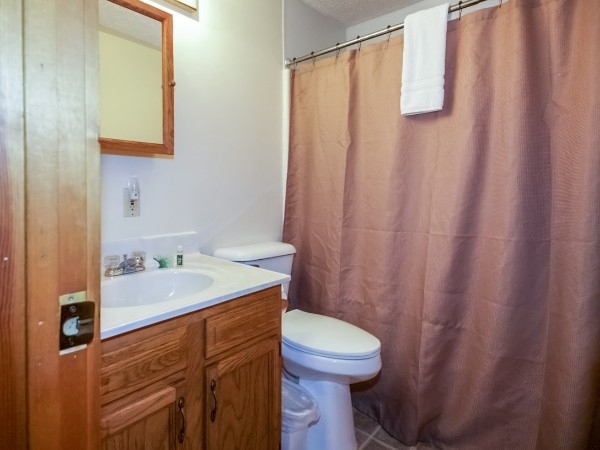 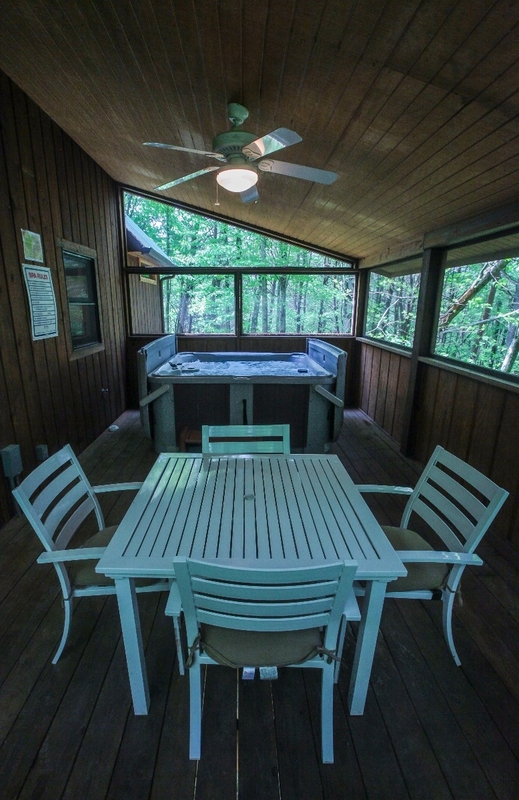 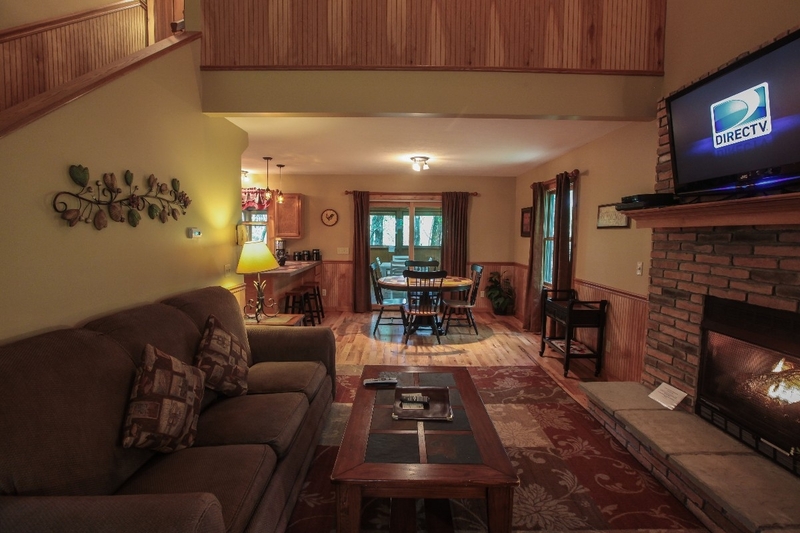 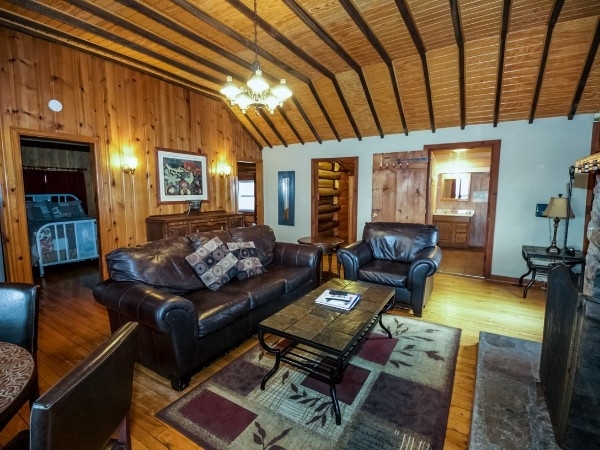 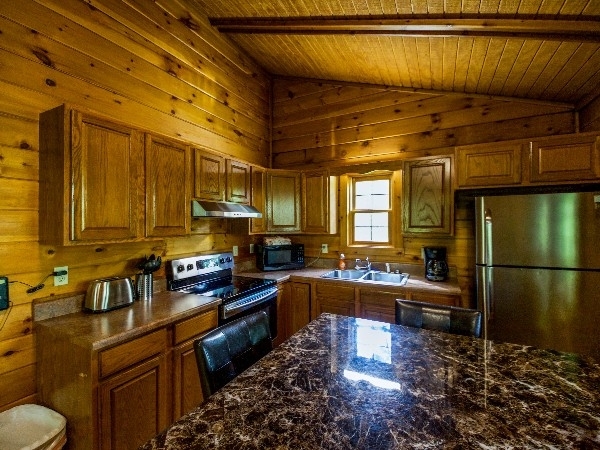 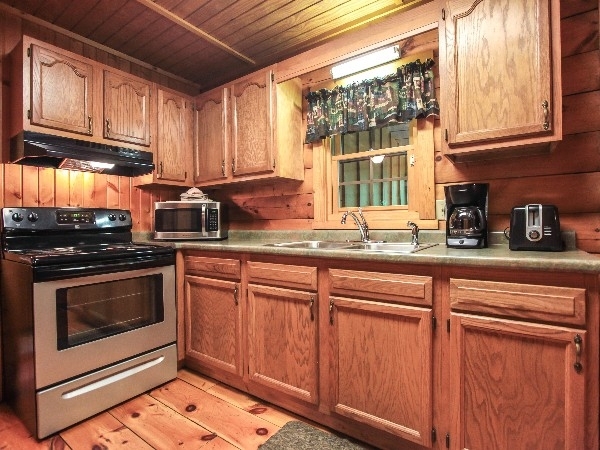 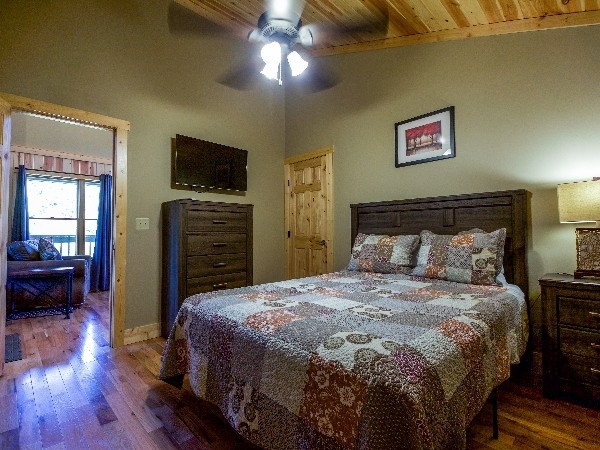 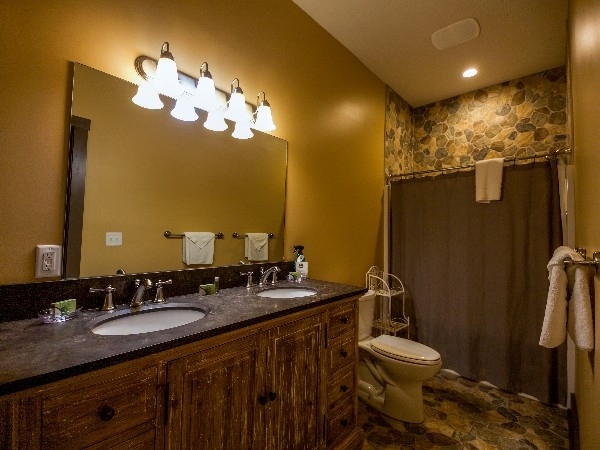 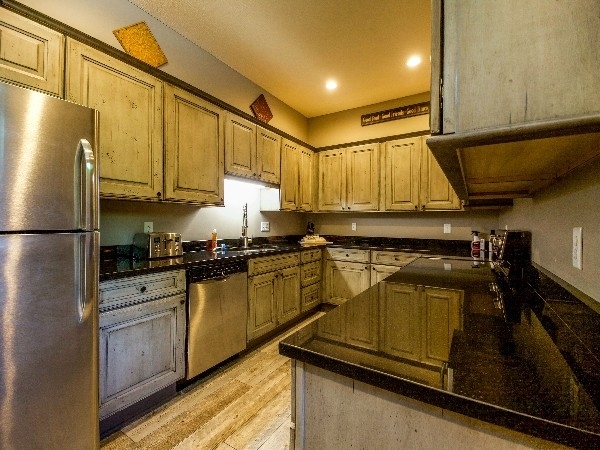 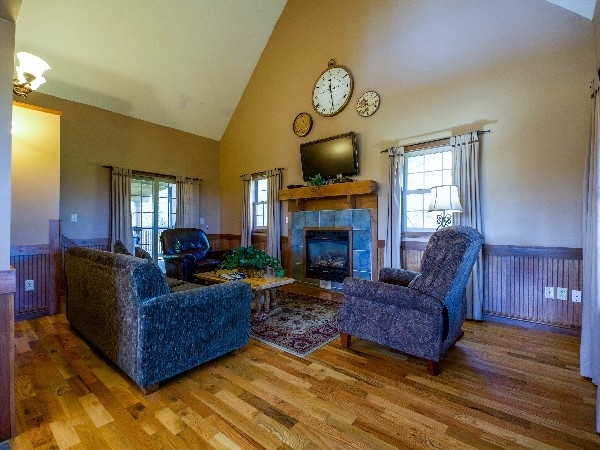 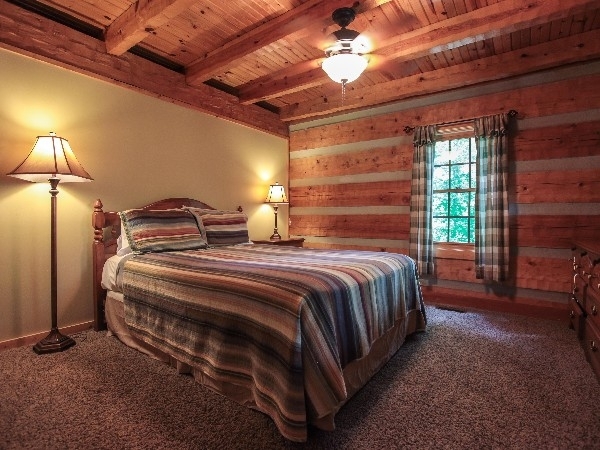 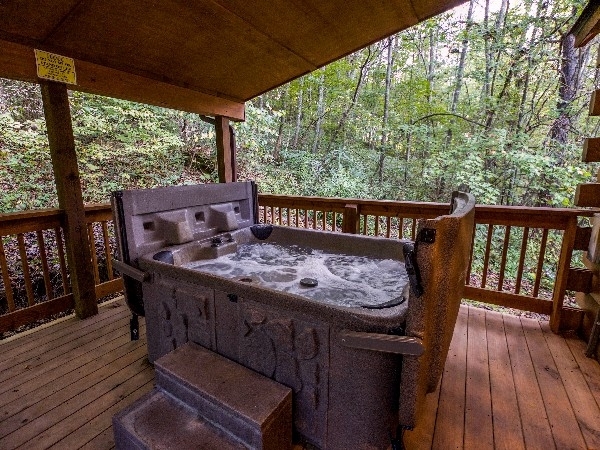 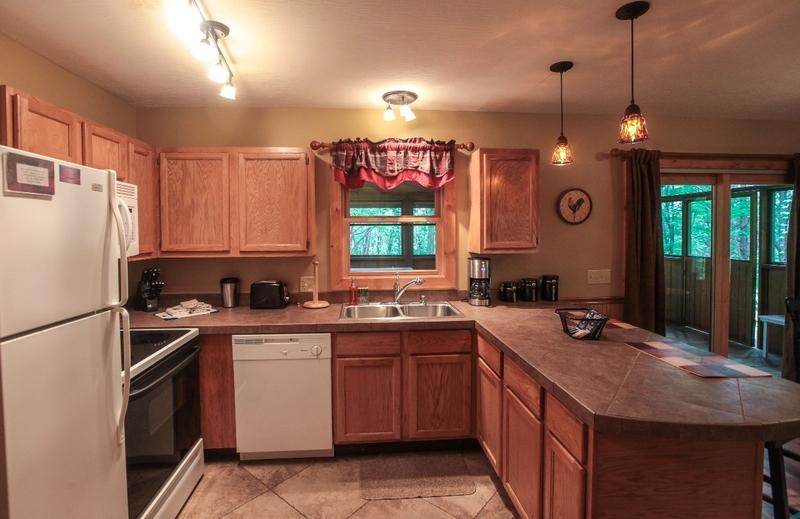 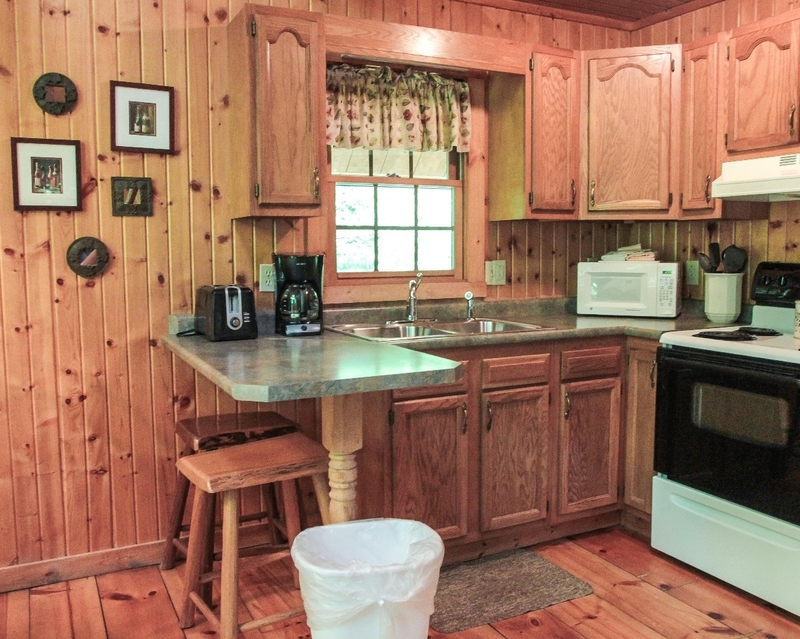 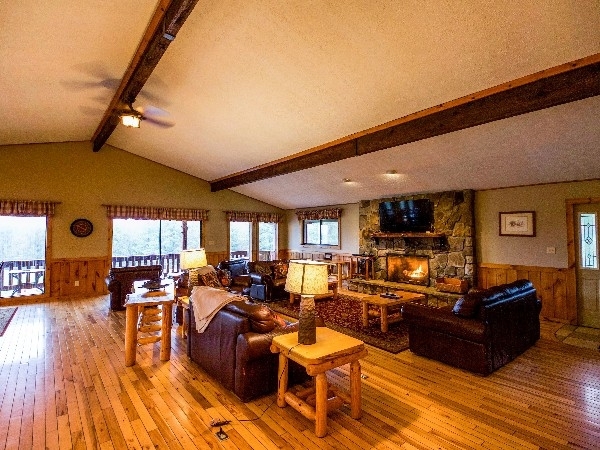 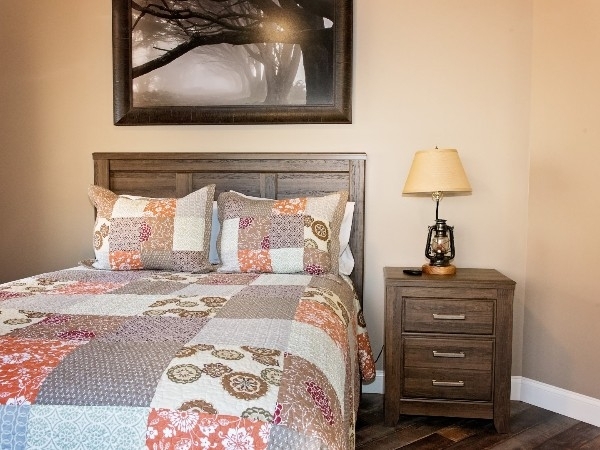 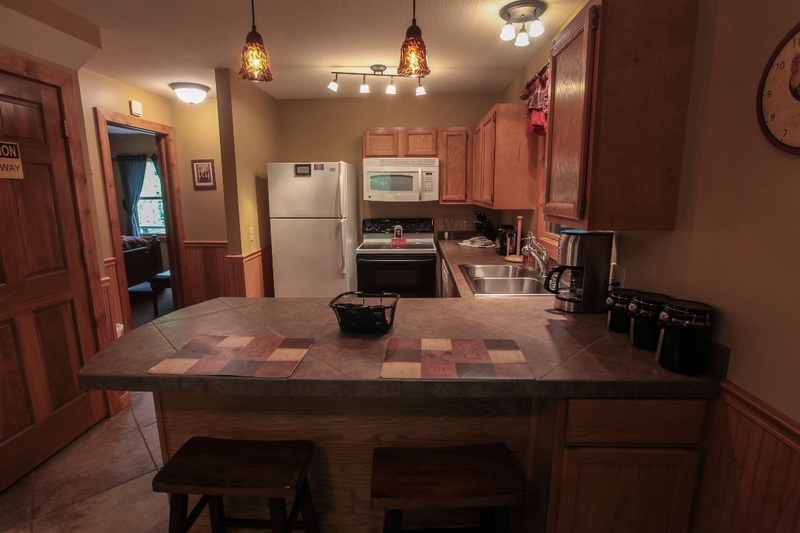 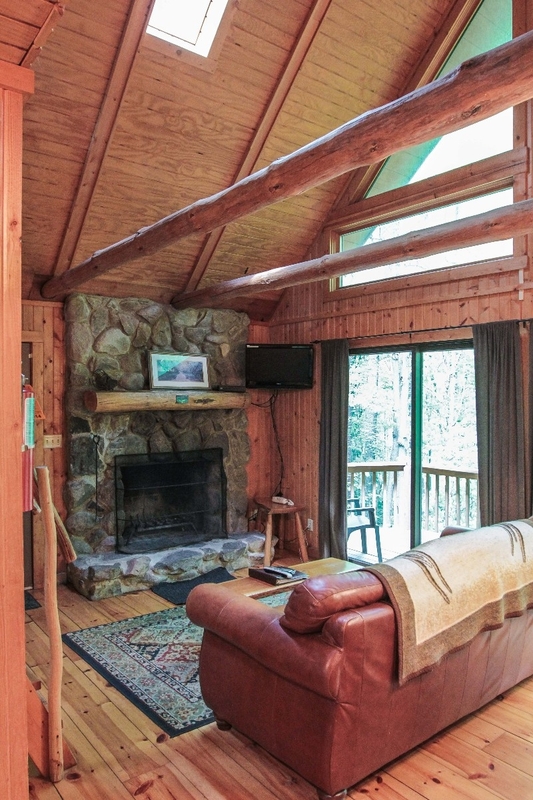 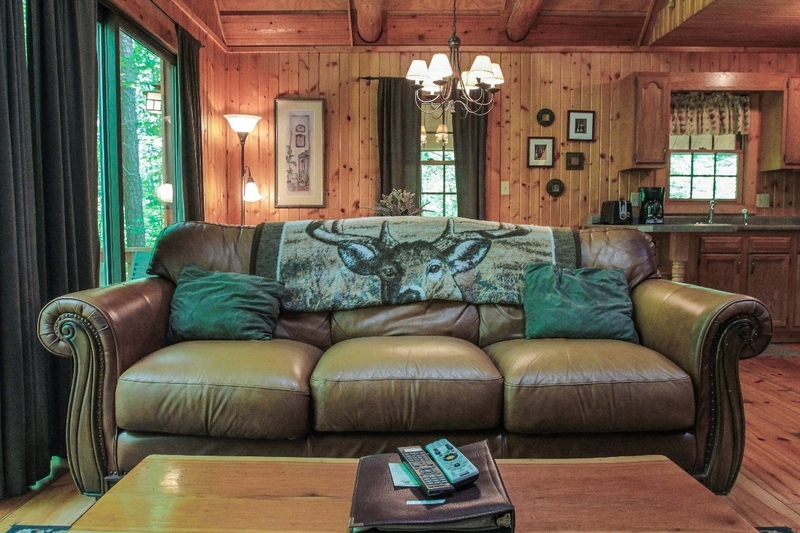 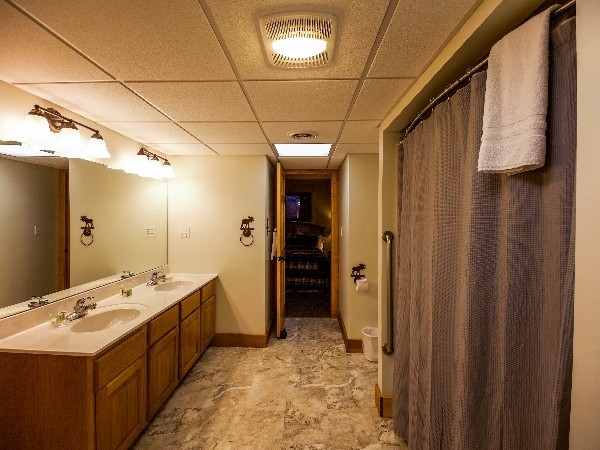 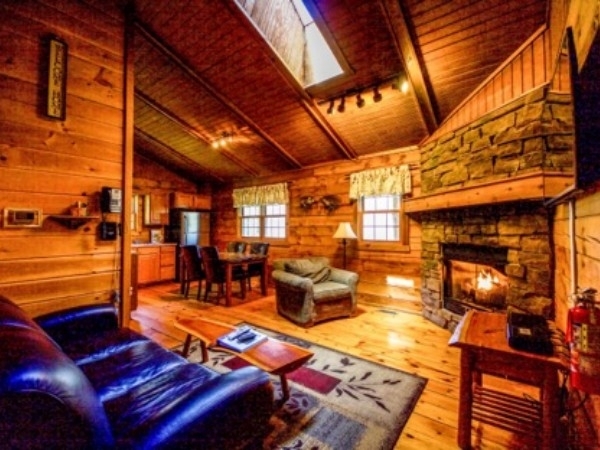 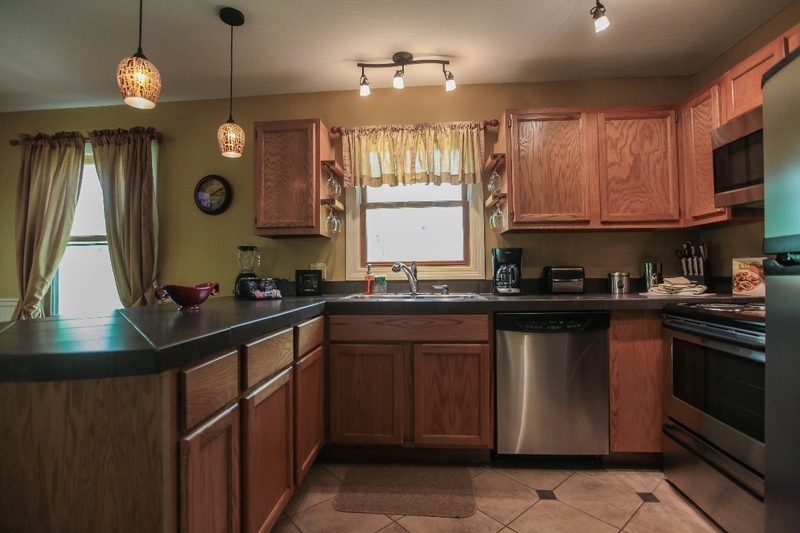 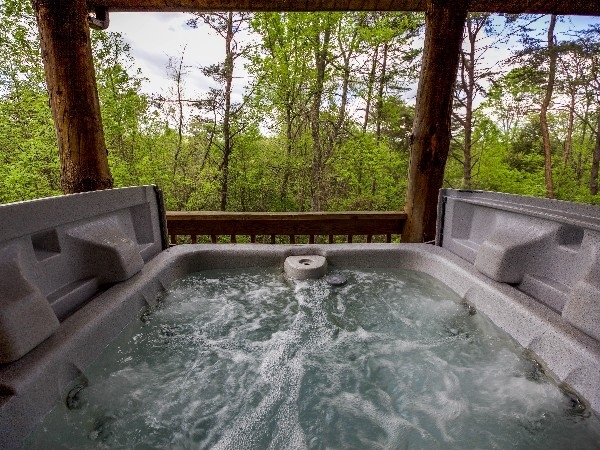 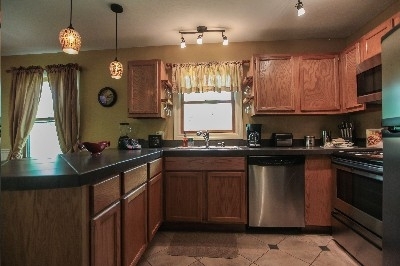 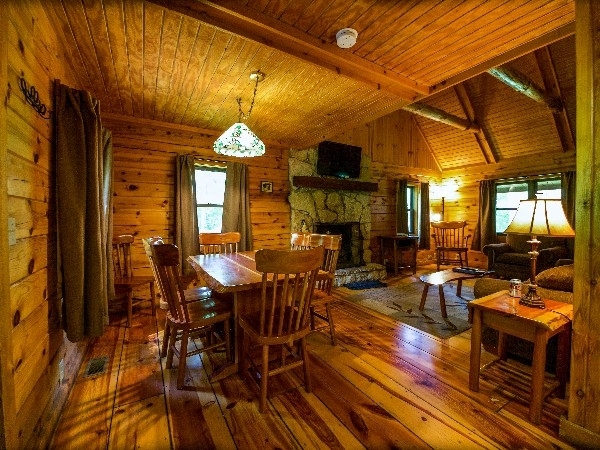 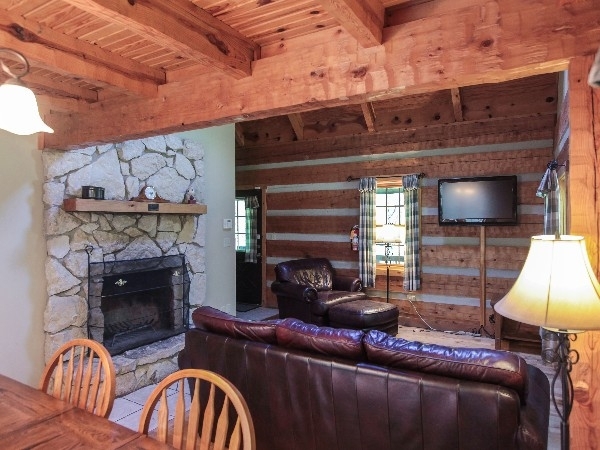 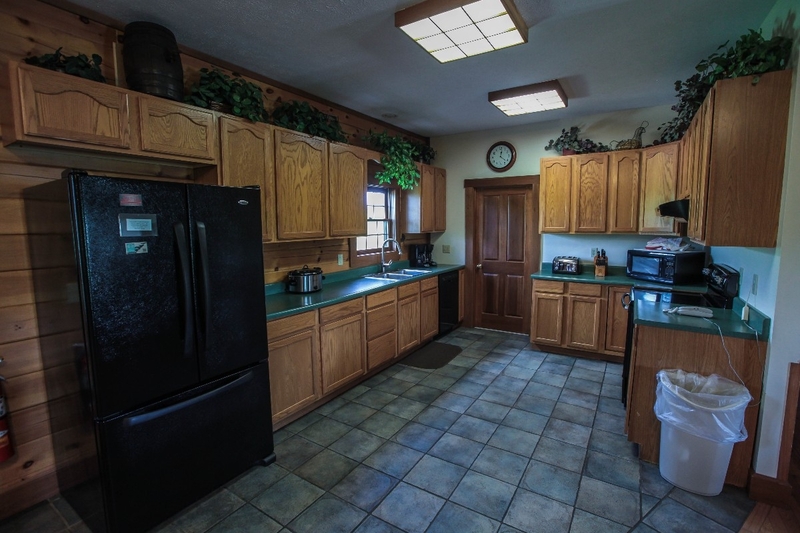 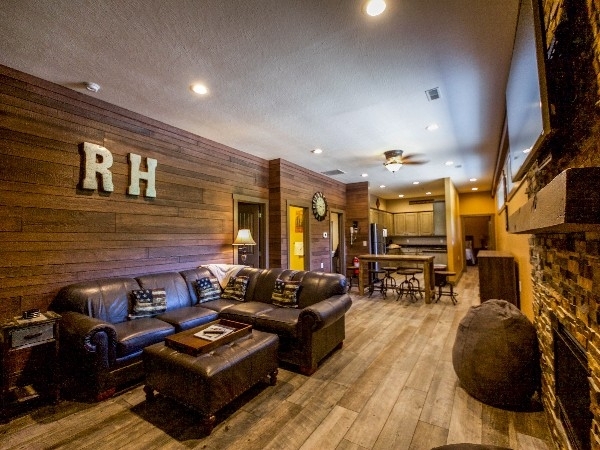 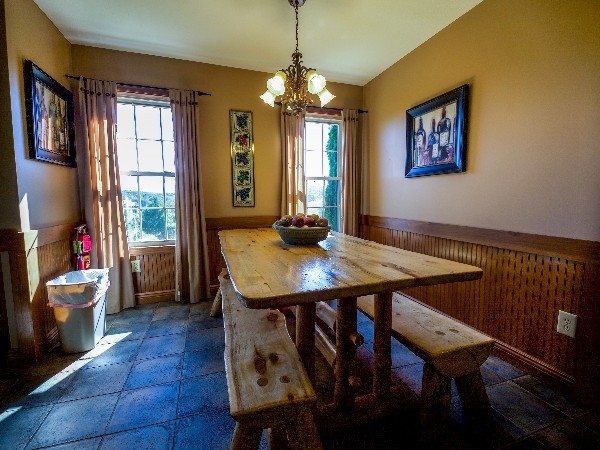 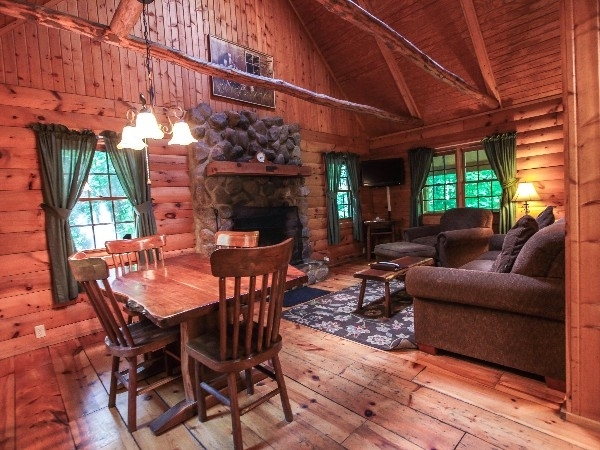 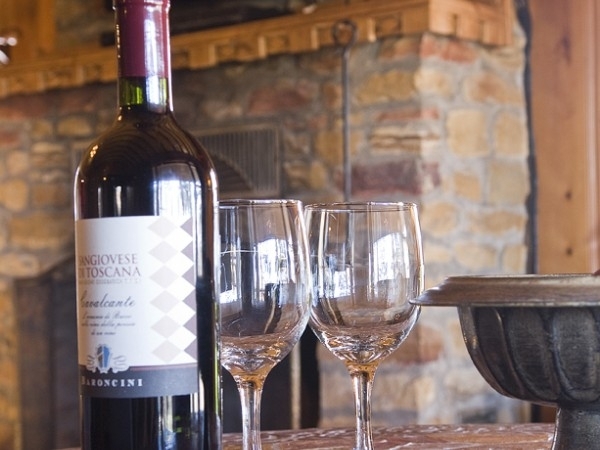 All are equipped with hot tub, fireplace, central air/heat, TV/VCR, Direct TV, kitchen facility and charcoal grill. 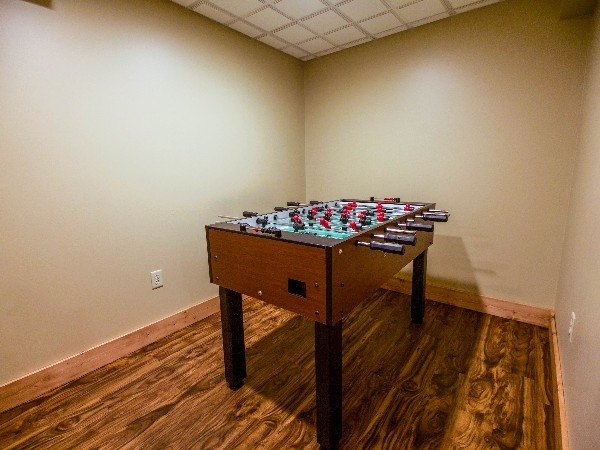 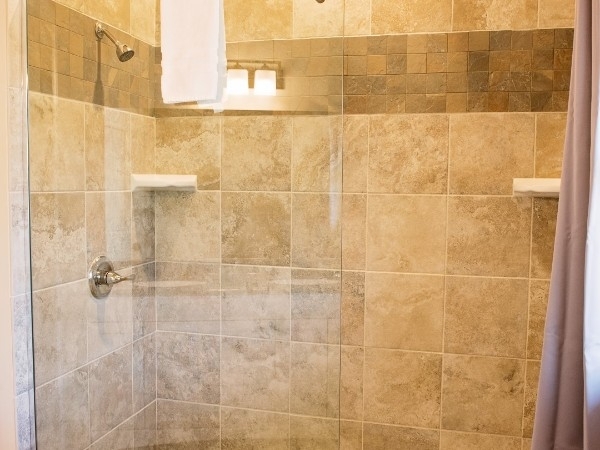 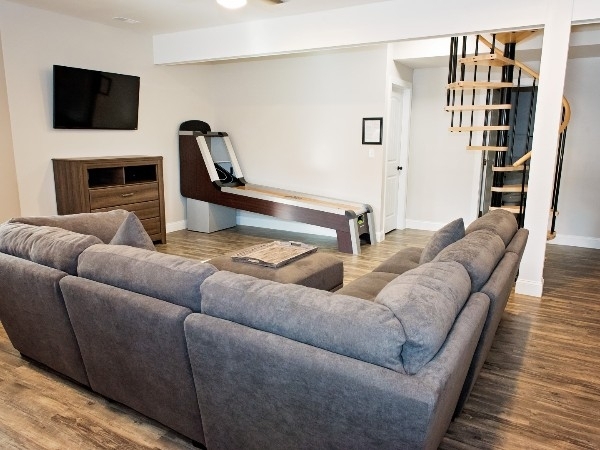 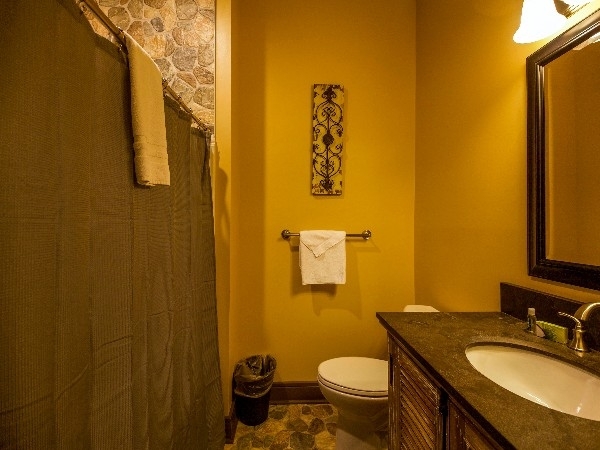 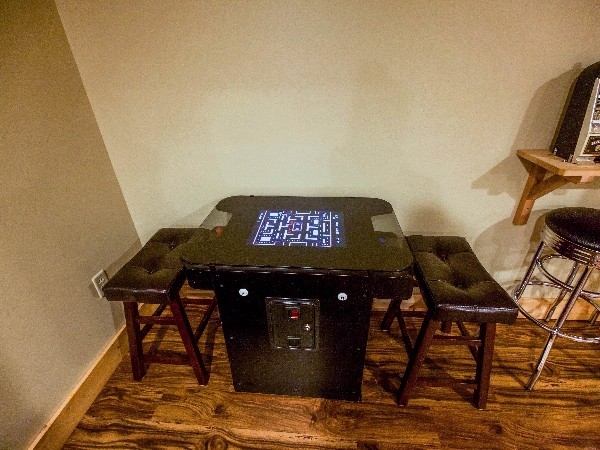 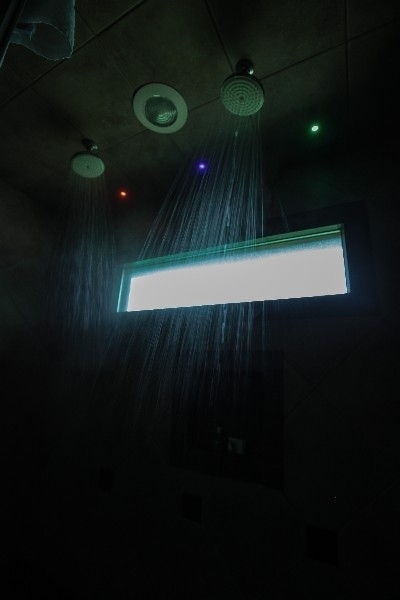 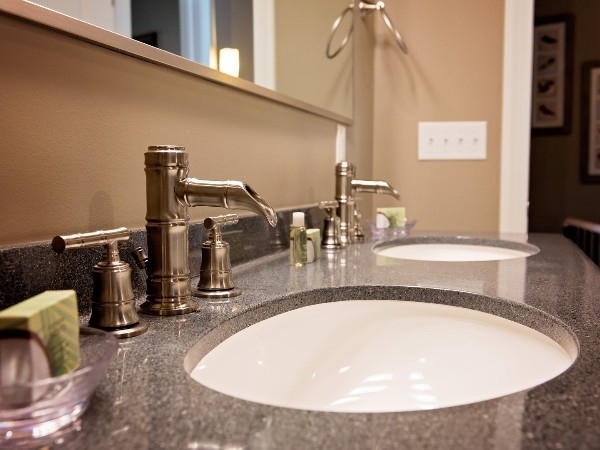 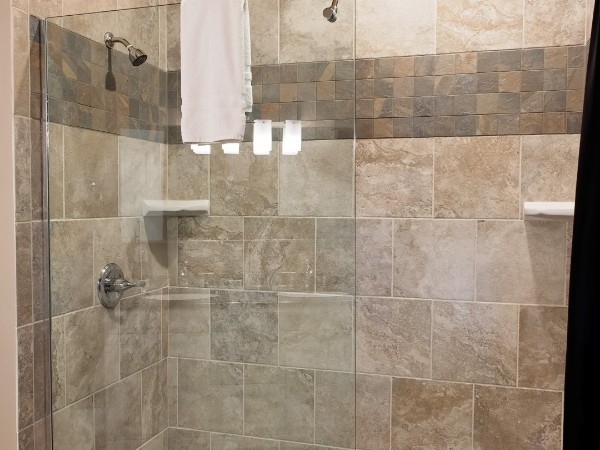 Some also have extra amenities such as optional WIFI, game rooms, infrared saunas, and private swimming pool. 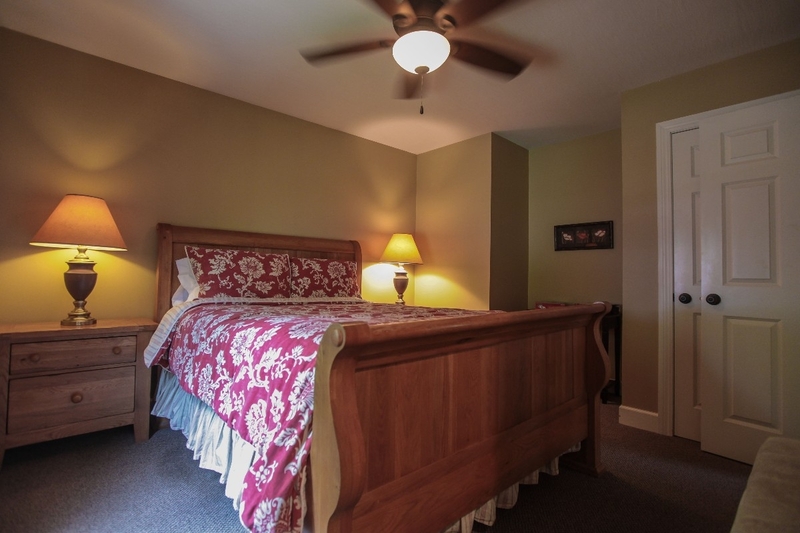 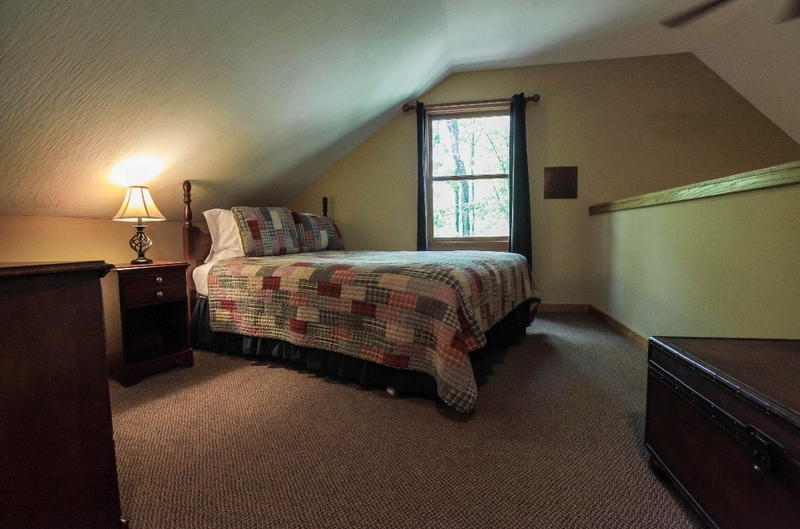 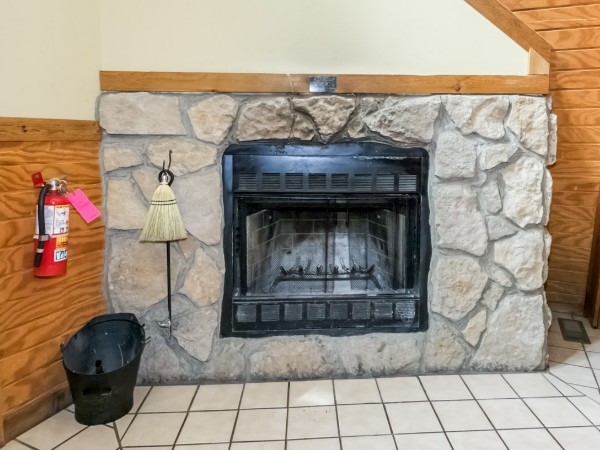 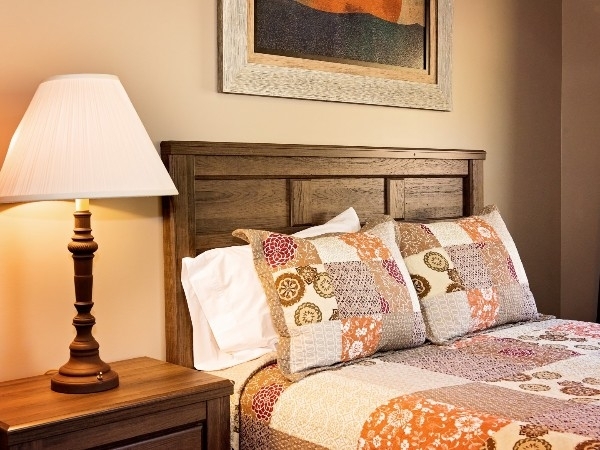 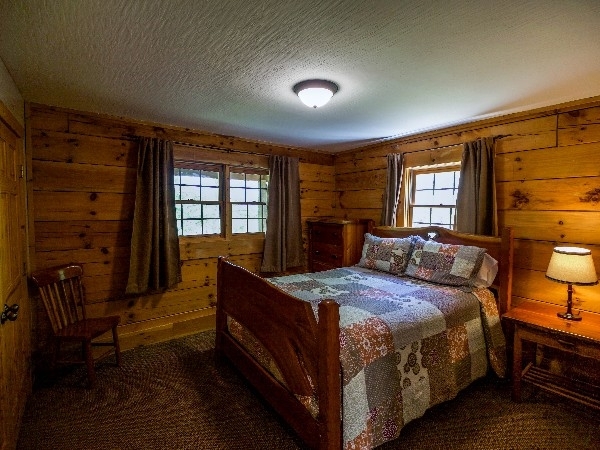 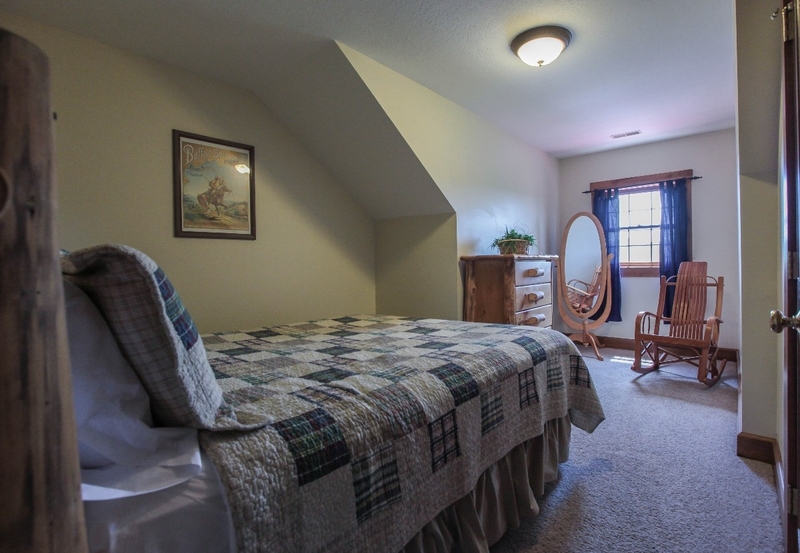 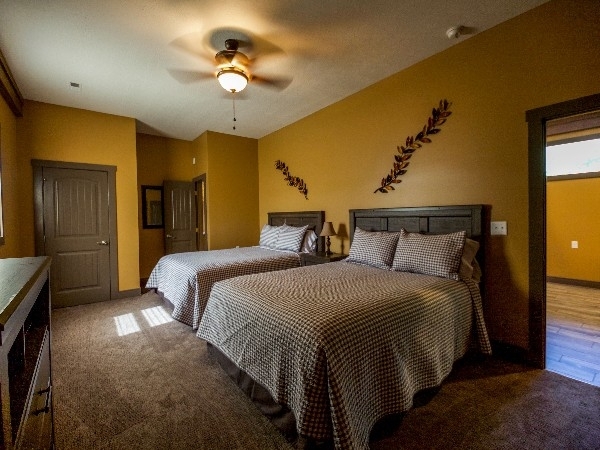 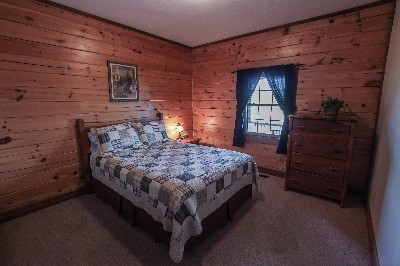 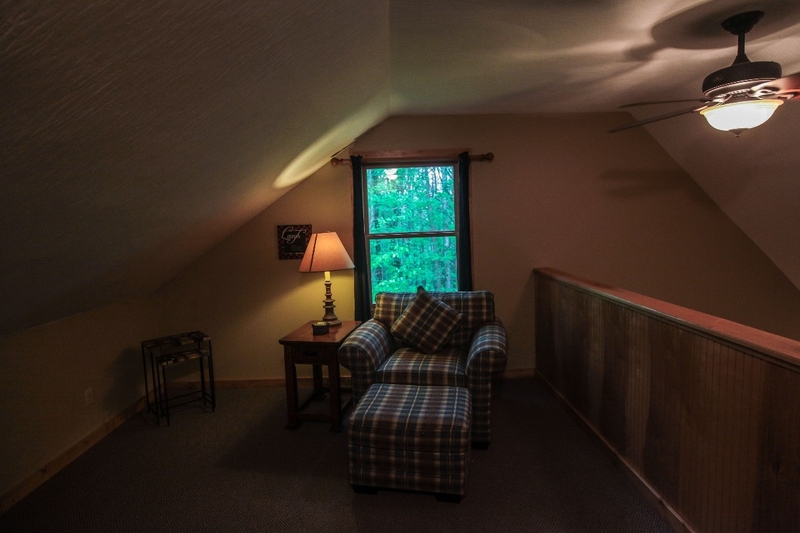 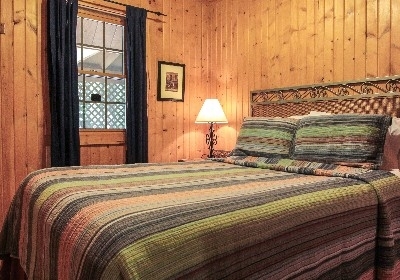 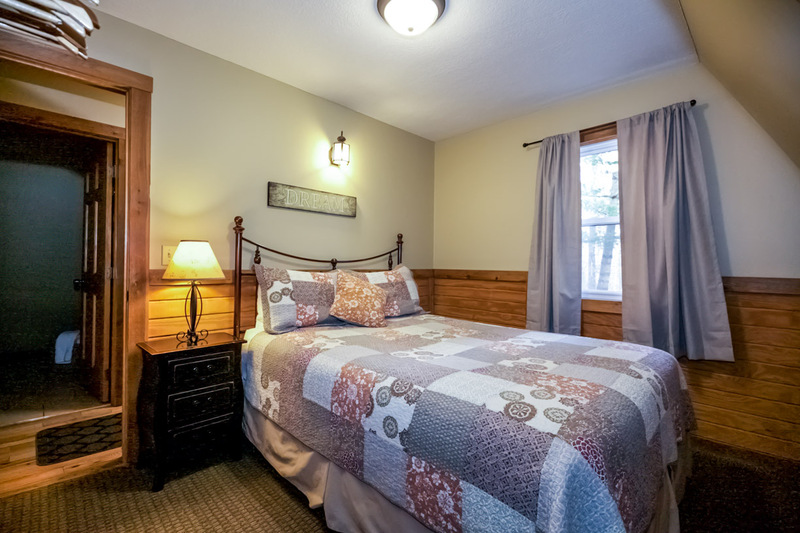 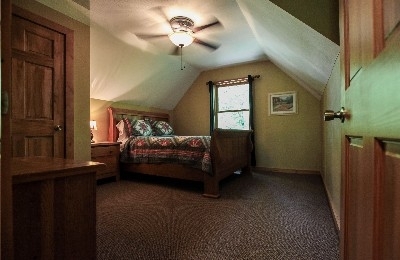 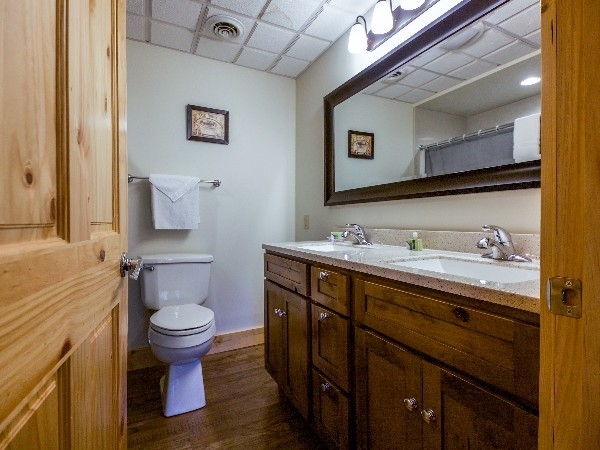 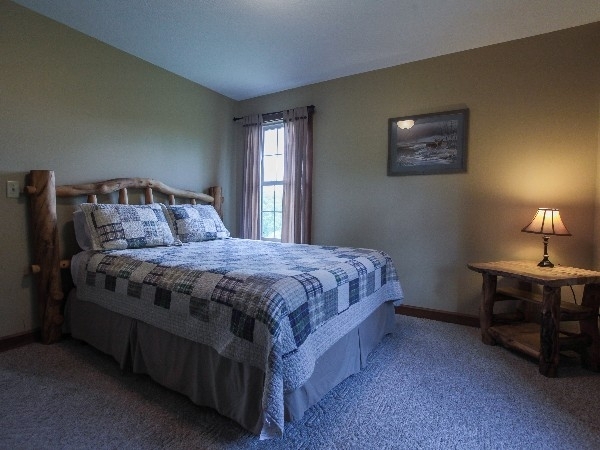 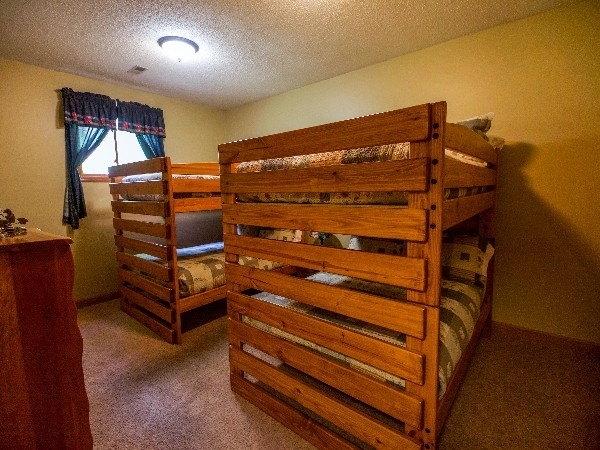 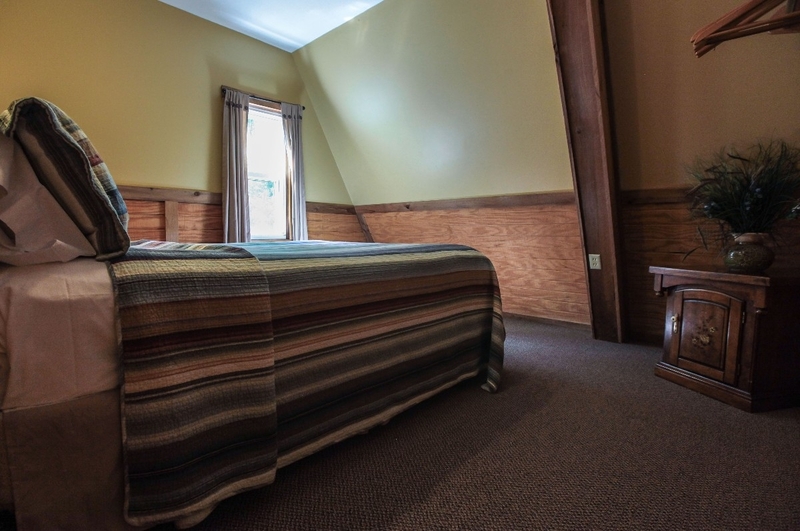 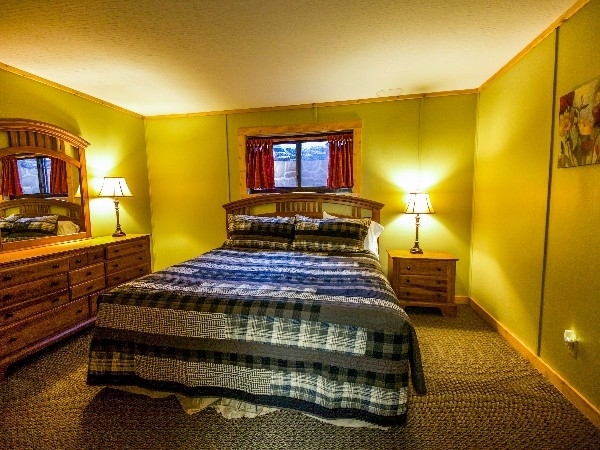 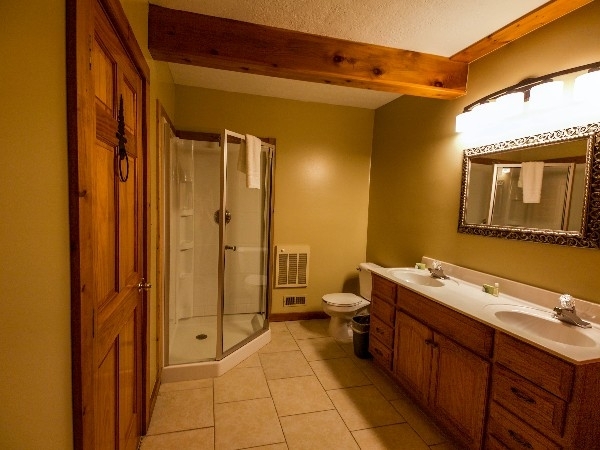 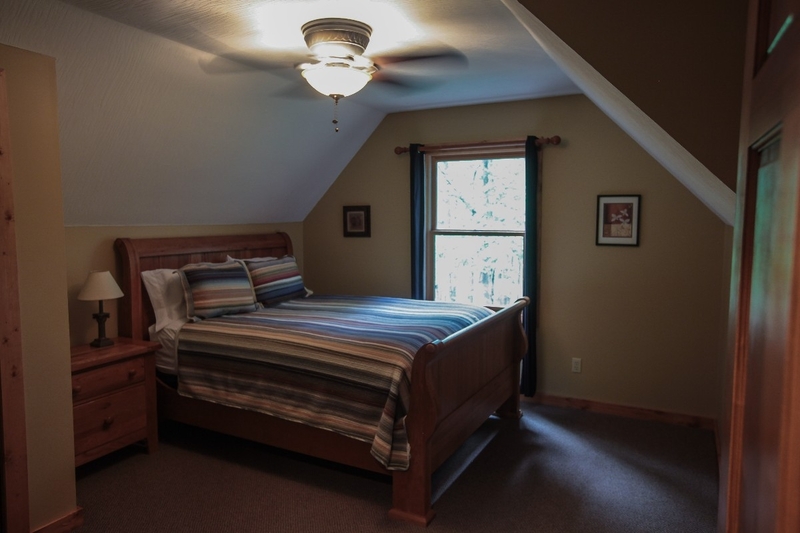 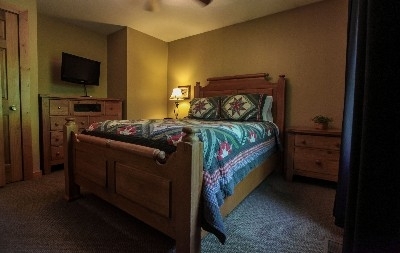 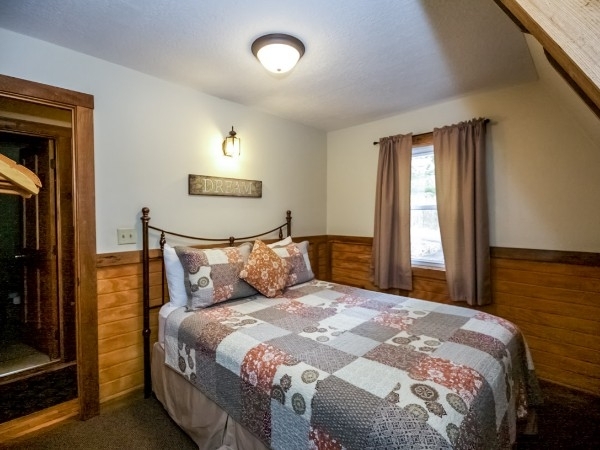 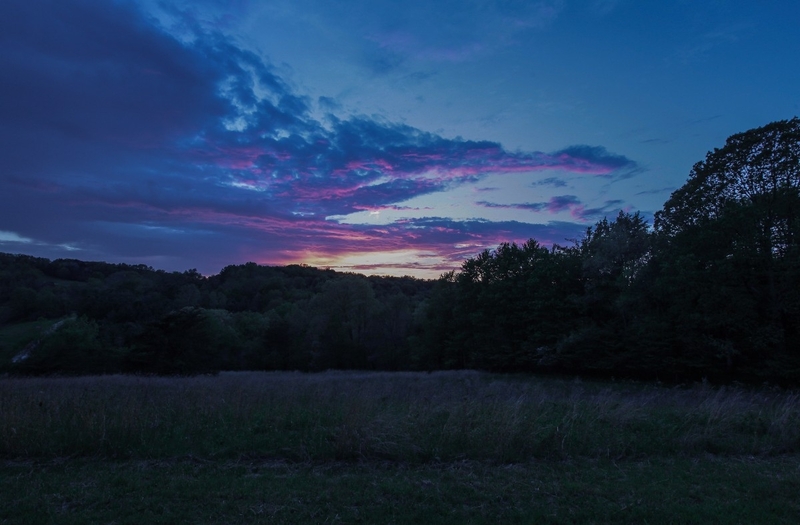 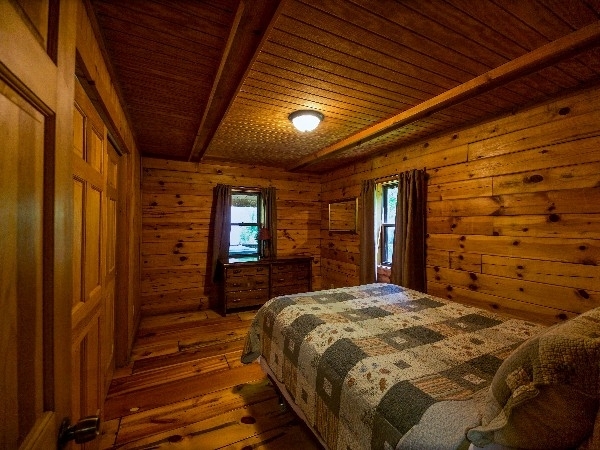 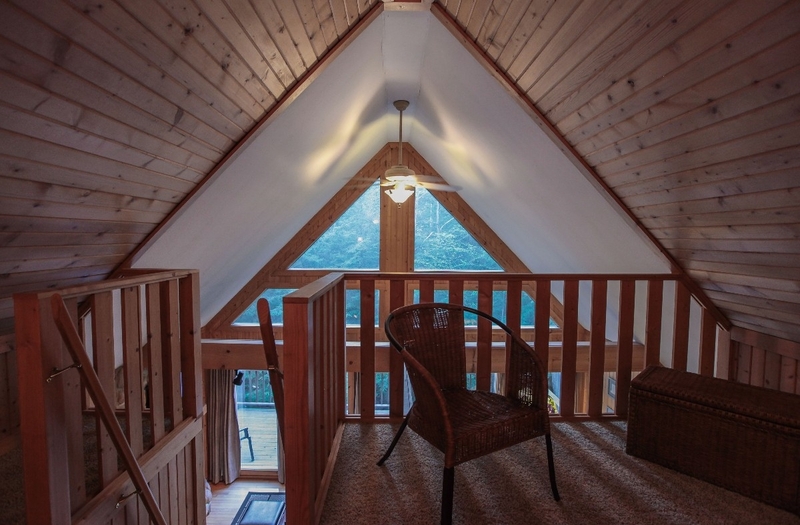 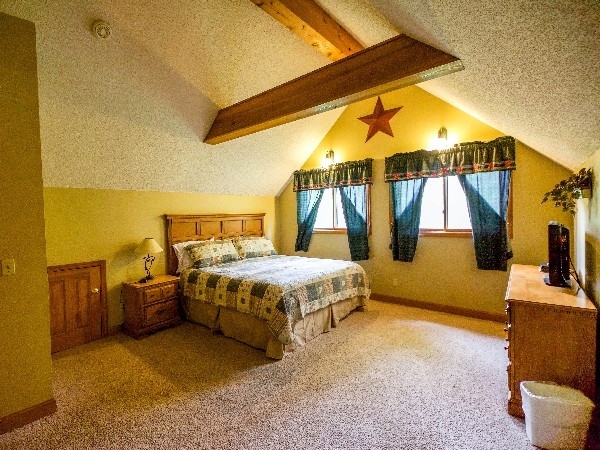 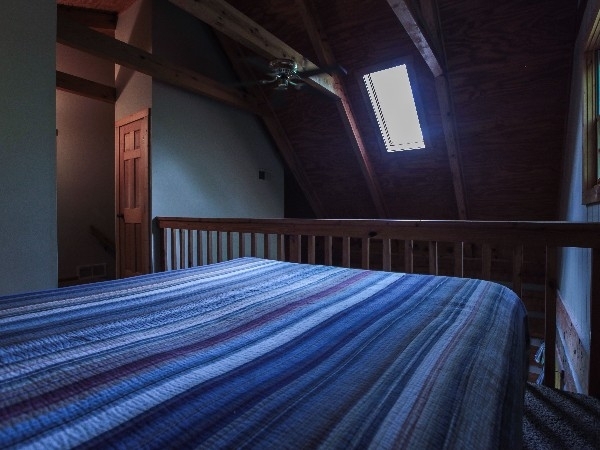 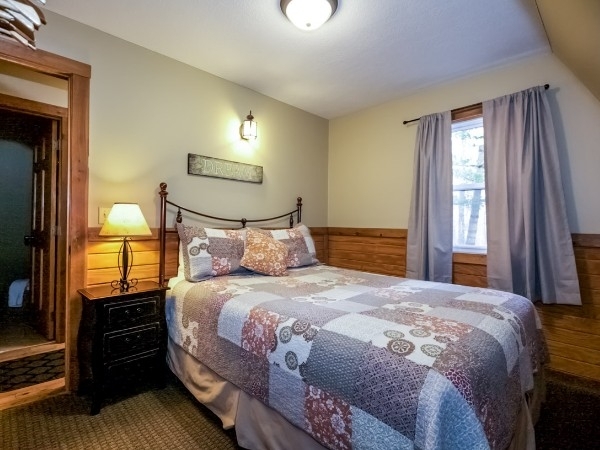 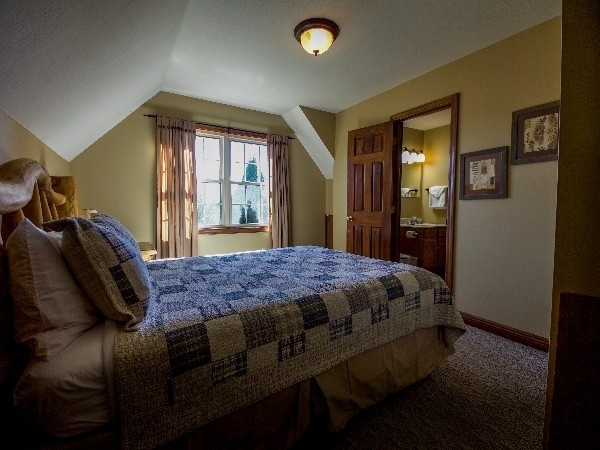 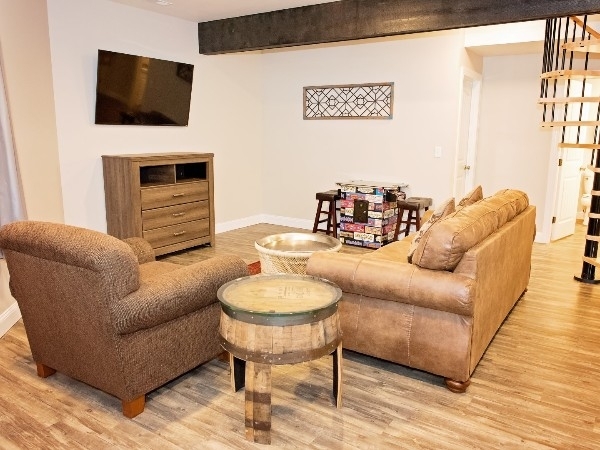 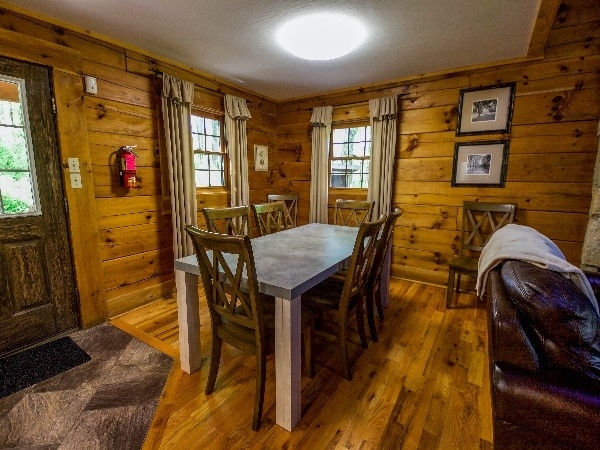 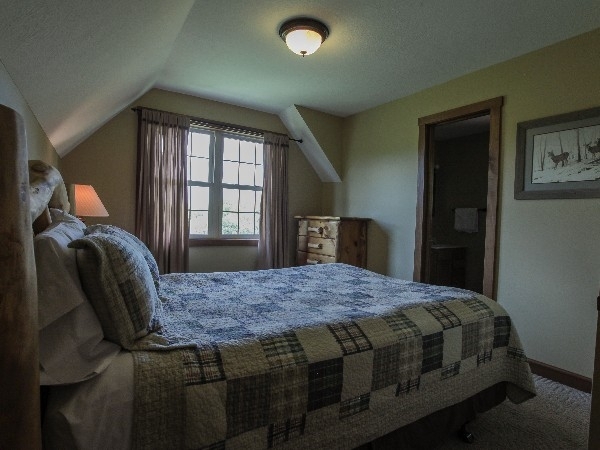 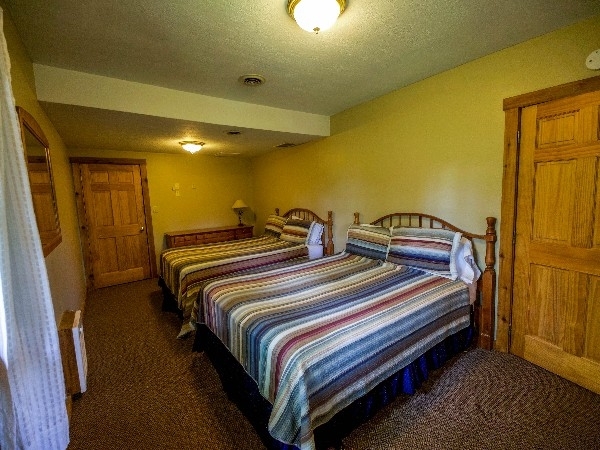 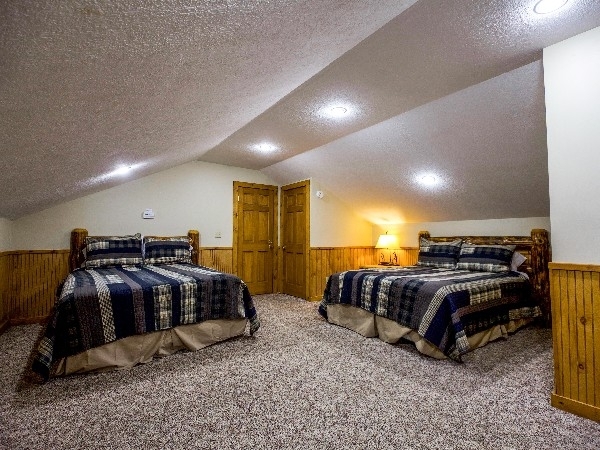 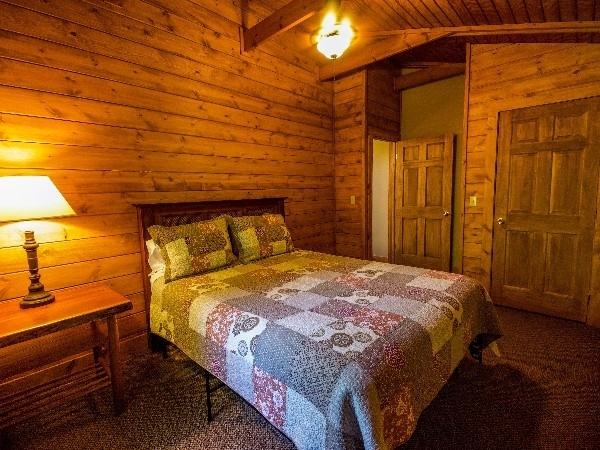 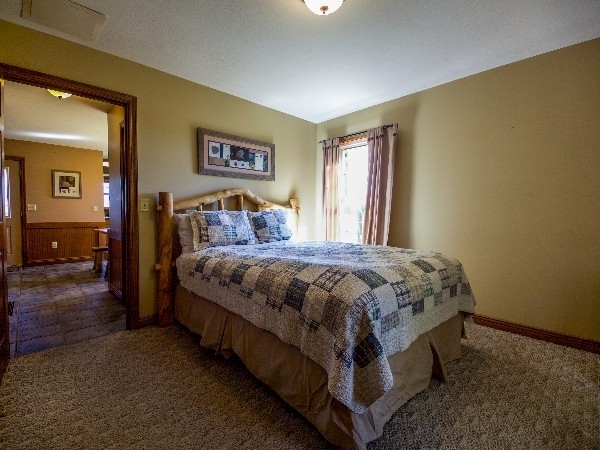 Once you have experienced the warmth of our hospitality and the luxury of our lodging facilities, we are certain to become your only choice each time you visit the Hocking Hills. 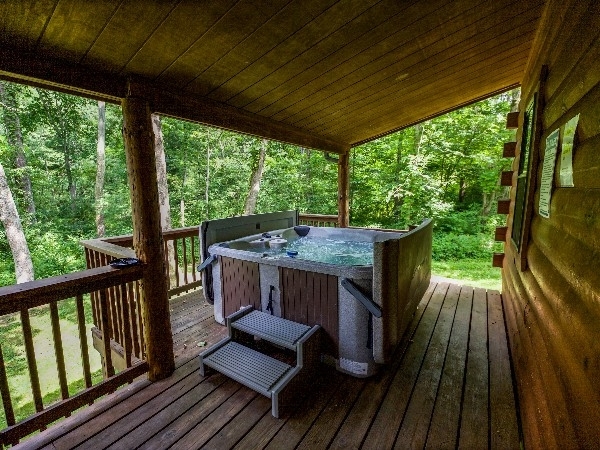 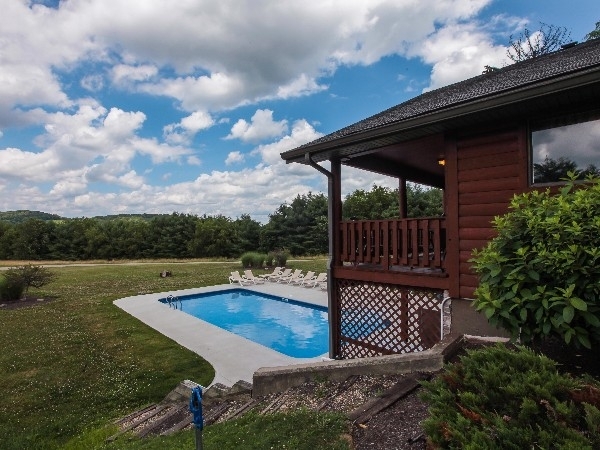 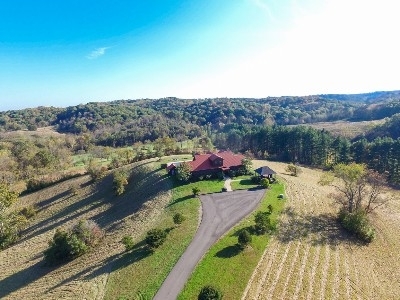 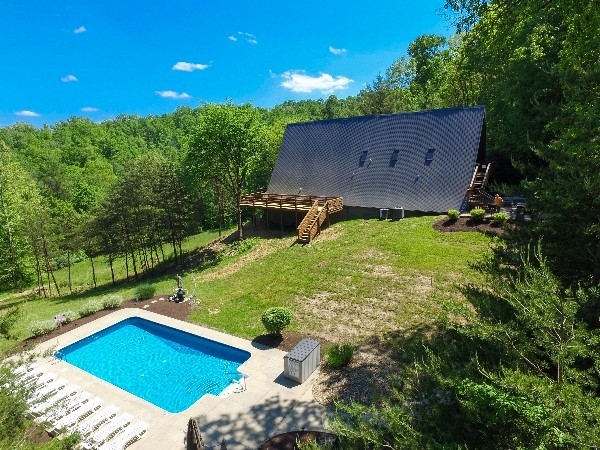 Private Lodge, 5 bedrooms, 2 1/2 Bath, Satellite TV/DVD, Large gathering area, Gas fireplace, Beautiful panoramic view, Washer and dryer, Full kitchen, Private hot tub, Seasonal private swimming pool. 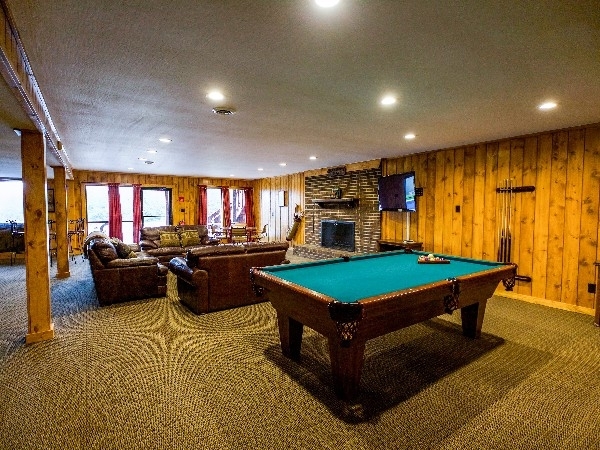 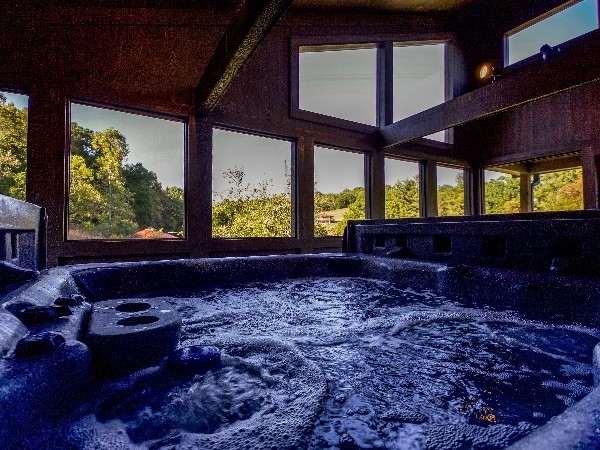 Private Lodge, 7 bedrooms, 3 1/2 baths, full kitchen, spacious great rooms, Billiard Table, Satellite TV, DVD, Washer and Dryer, Wood burning Gas Fireplace, Private Hot Tub, Seasonal Private Swimming Pool. 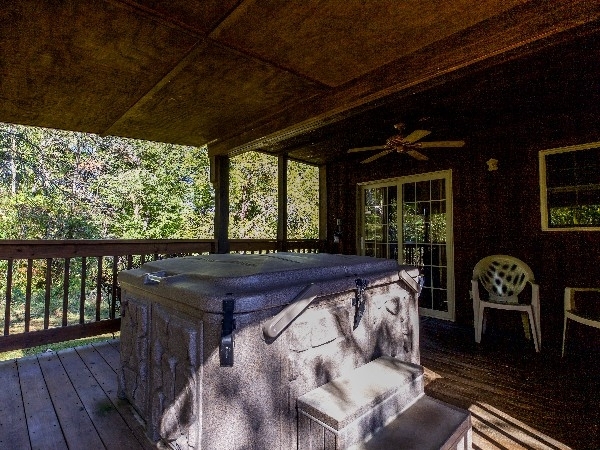 Private Lodge, 5 bedrooms, 3 1/2 bath, full kitchen, large dining room, laundry room, great room w/satellite tv, 2 gas fireplaces, private hot tub, charcoal grill, Private Seasonal Swimming Pool. 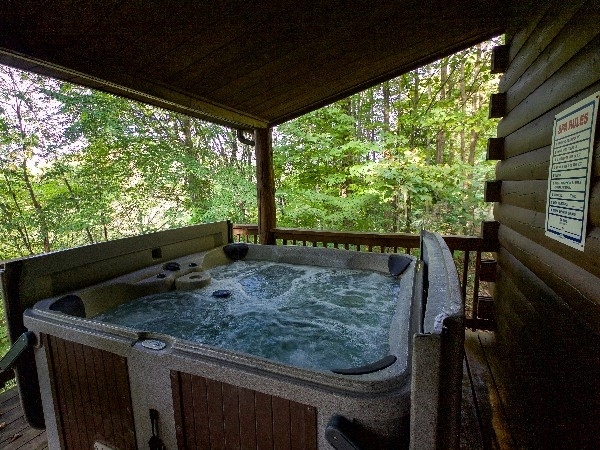 Private Lodge, 6 bedrooms, 3 1/2 baths, laundry room, full kitchen, satellite tv, dvd, 2 gas fireplaces, gathering room, recreation room with billiard table, wrap around deck, private hot tub, charcoal grill, seasonal private swimming pool. 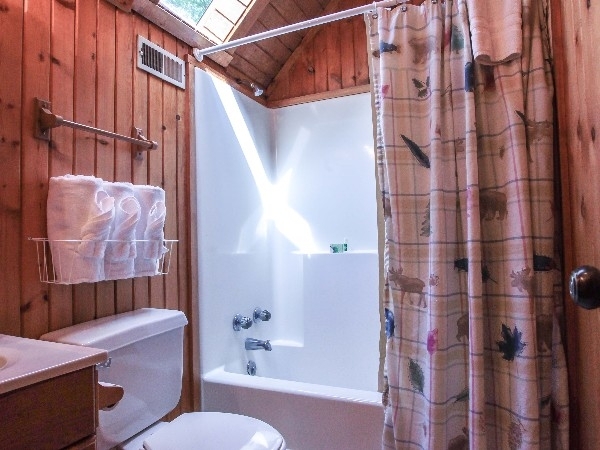 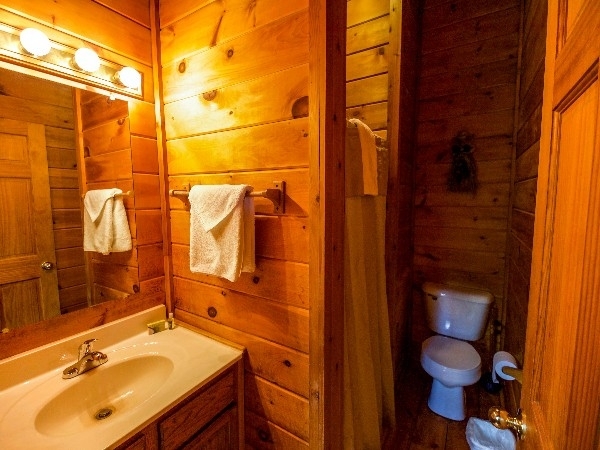 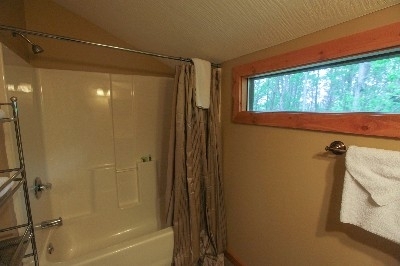 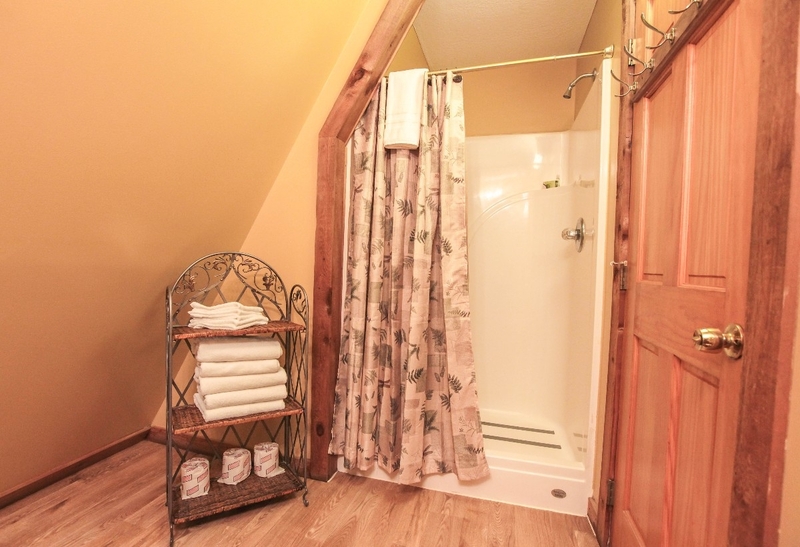 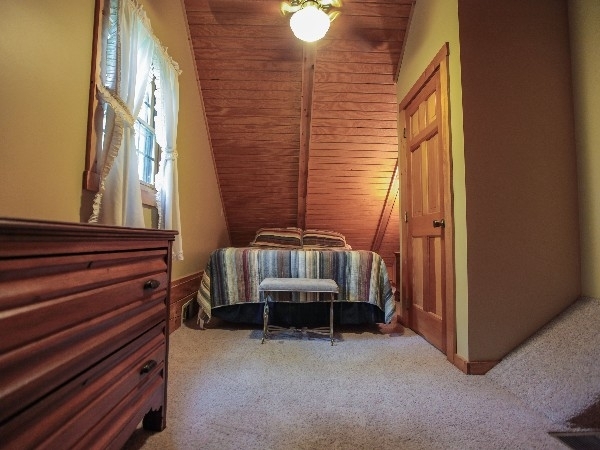 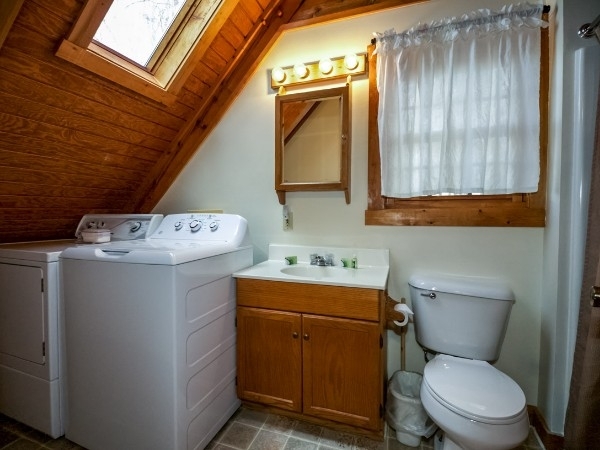 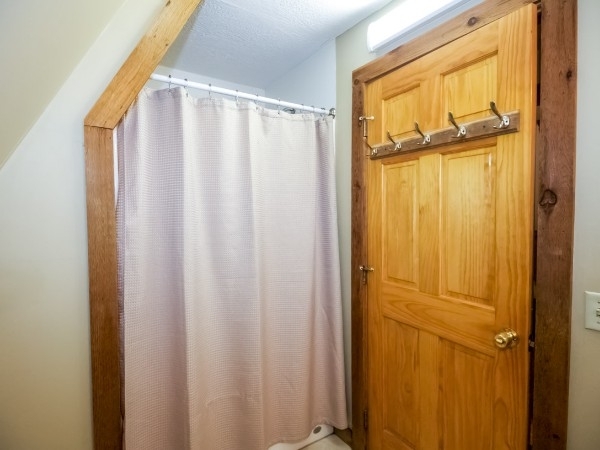 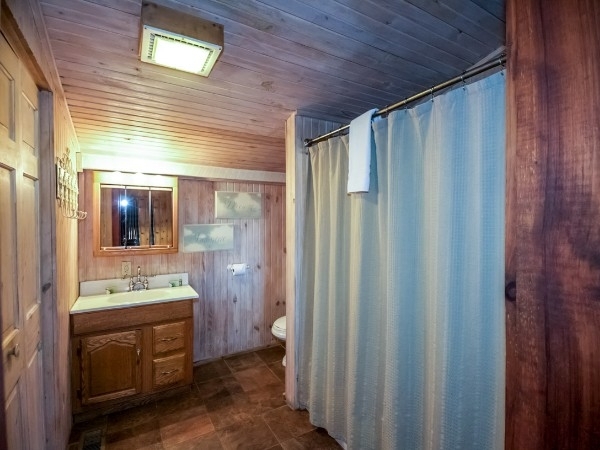 Log cabin, 2 Queen bedrooms and Queen Bed in Loft, 2 Full baths, Woodburning fireplace, Private hot tub, Full kitchen, No Phone, Cable TV/DVD, Covered front porch w/swing, Wooded location, close to Lake Logan and parks. 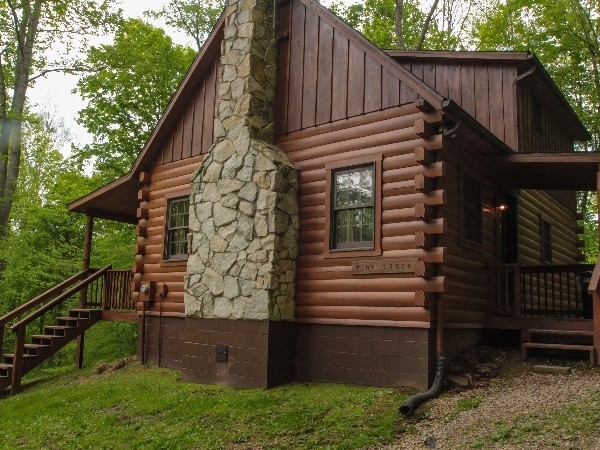 Log cabin, 1 queen bedroom, 1 full bedroom, full bath, full kitchen, wood burning fireplace, private hot tub, satellite Tv/DVD, covered deck w/porch swing, charcoal grill, hill top view, private setting close to parks. 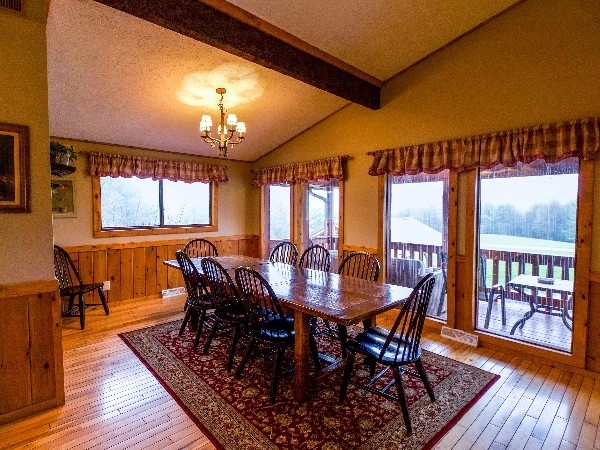 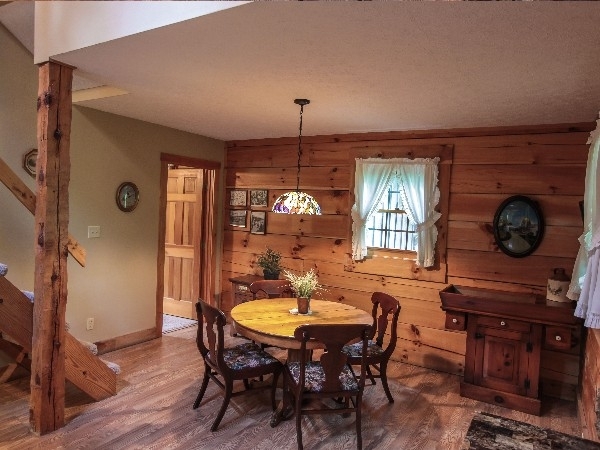 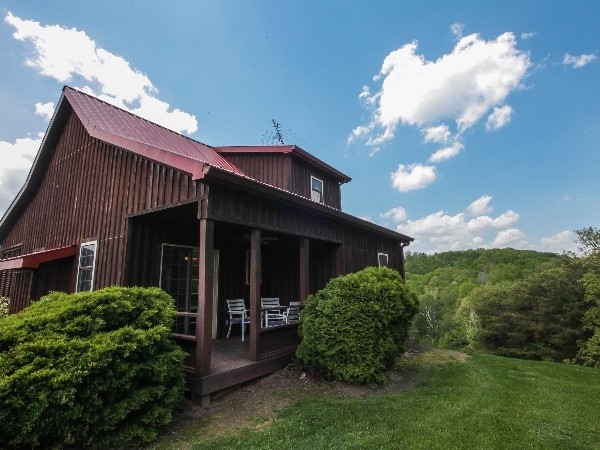 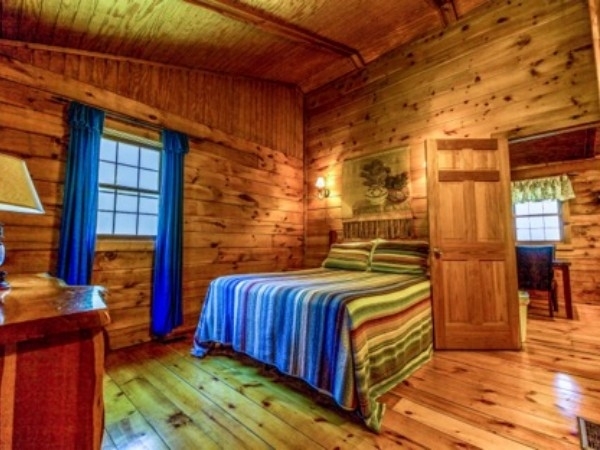 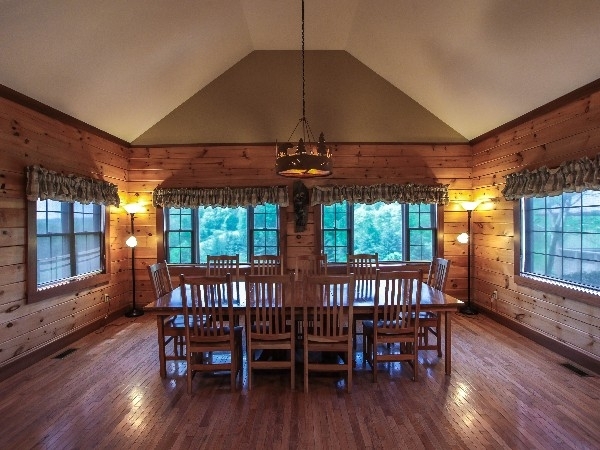 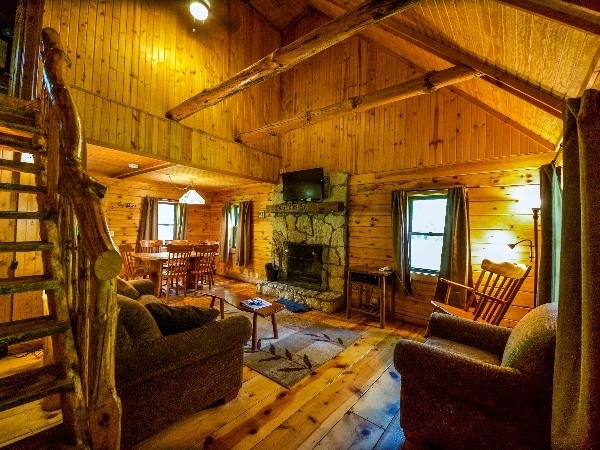 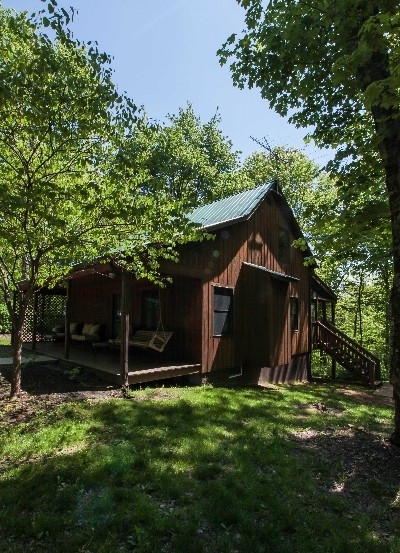 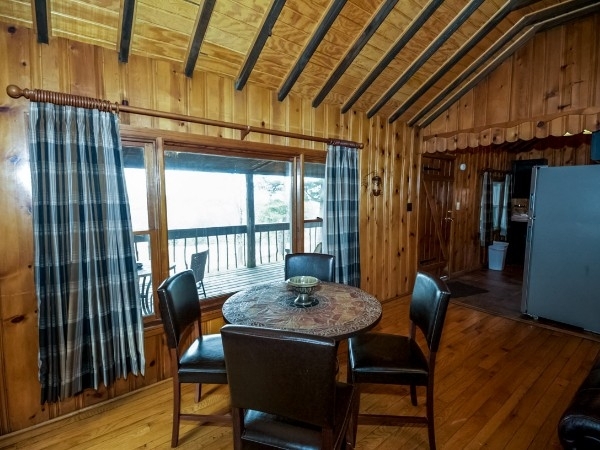 Log cabin, sleeps 4 w/2 queen beds, sofa sleeper, 2 full baths, woodburning fireplace, private hot tub, wood floors, handmade furniture, full kitchen, covered deck w porch swing. 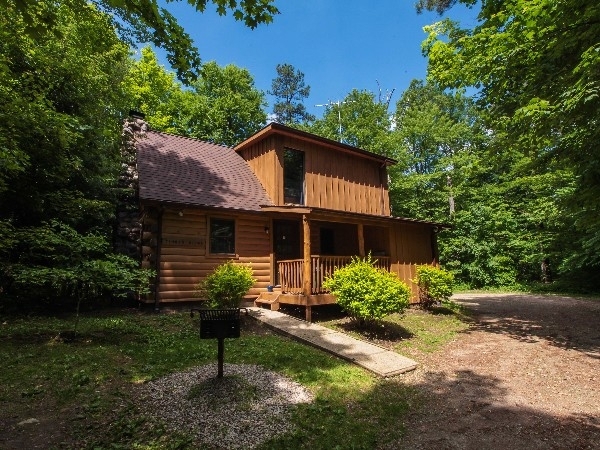 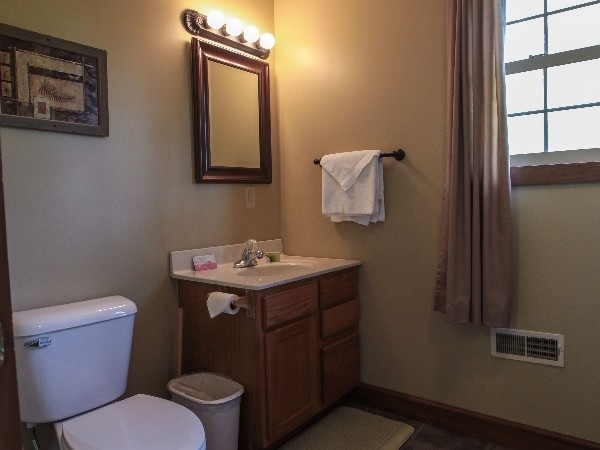 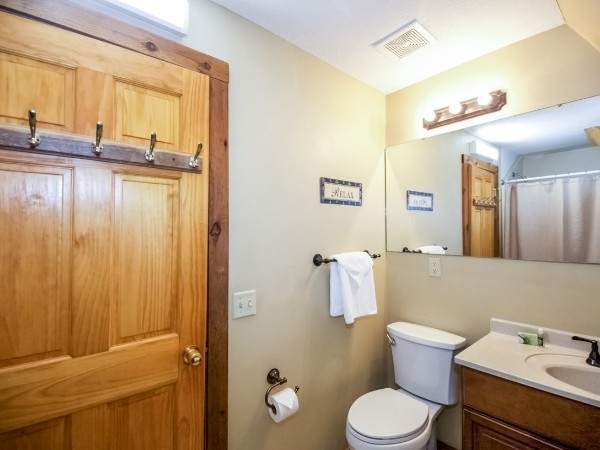 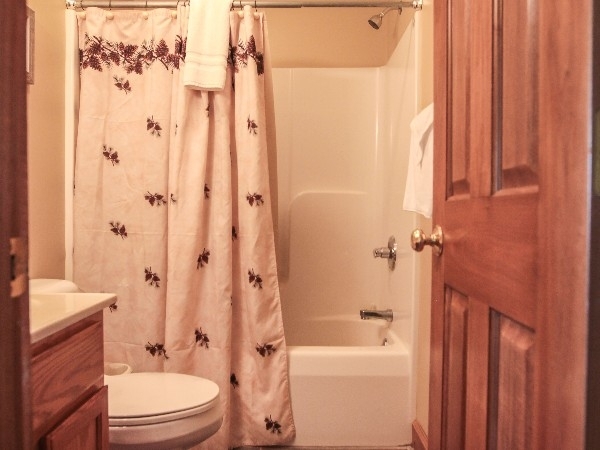 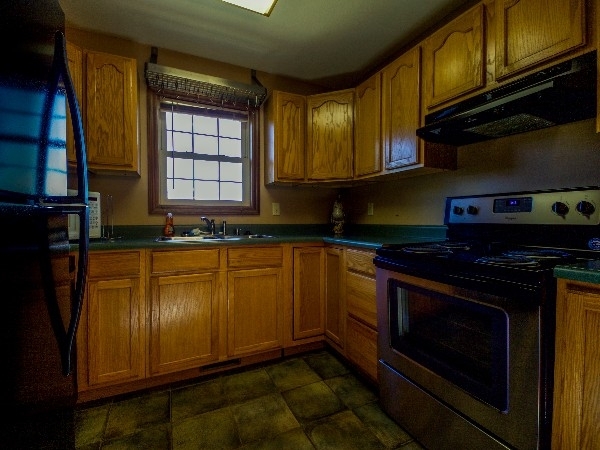 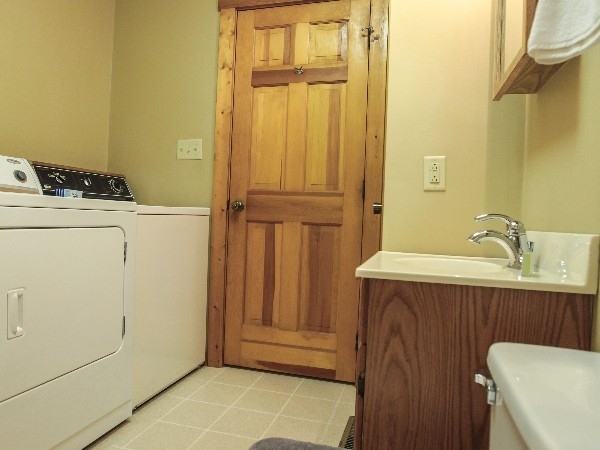 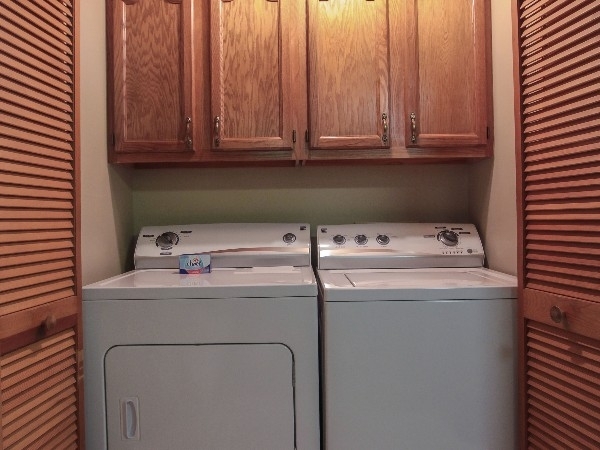 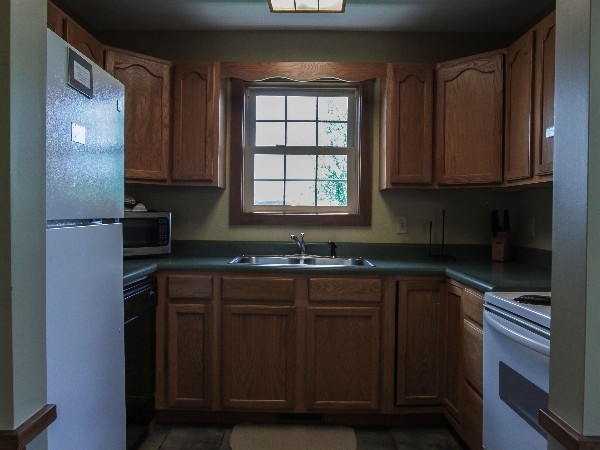 Wooded location close to state parks. 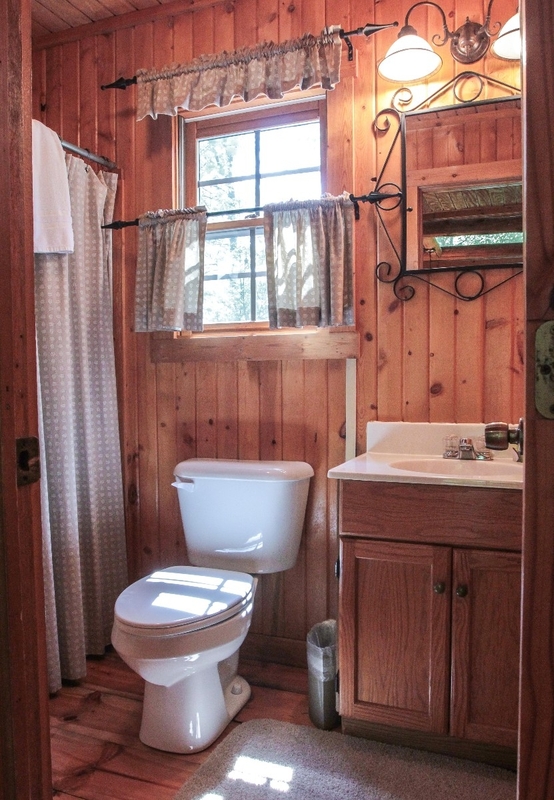 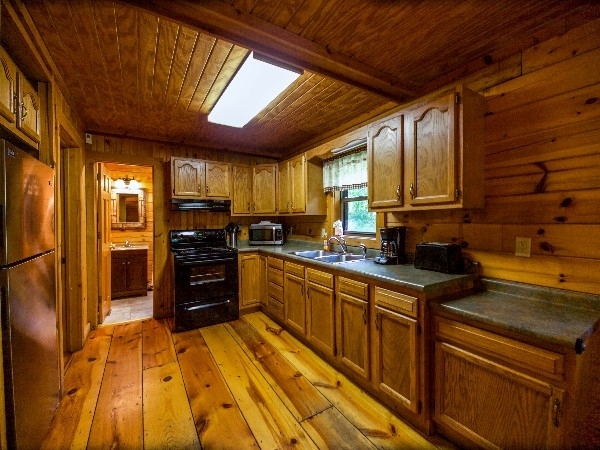 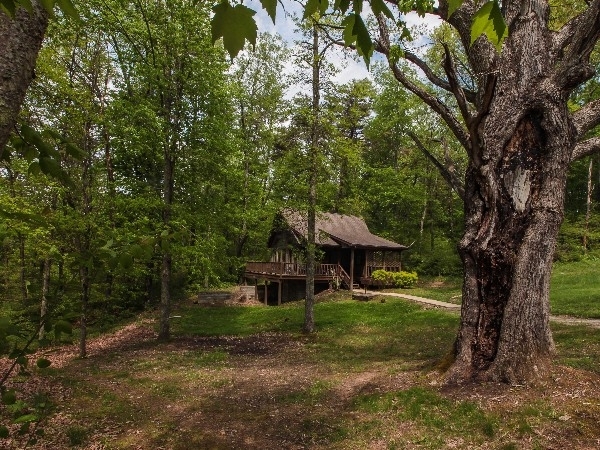 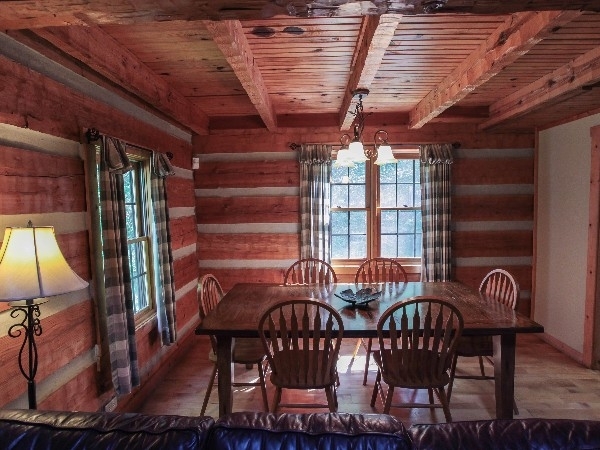 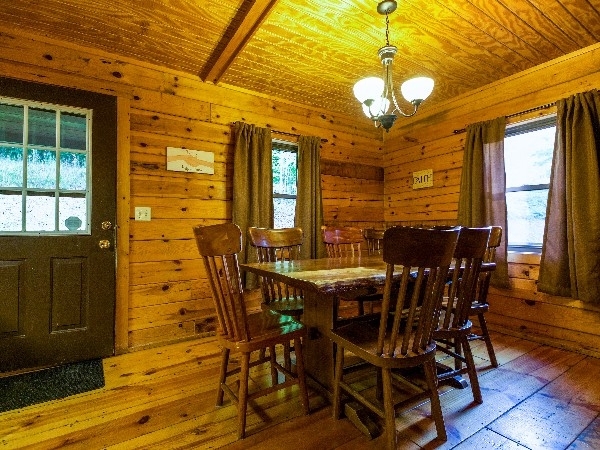 Log cabin, sleeps 4 w/2 qeen beds, 2 full baths, handmade furniture, full kitchen, woodburning fireplace, wood floors, private hot tub, charcoal grill,covered porch w/porch swing, wooded location close to parks. 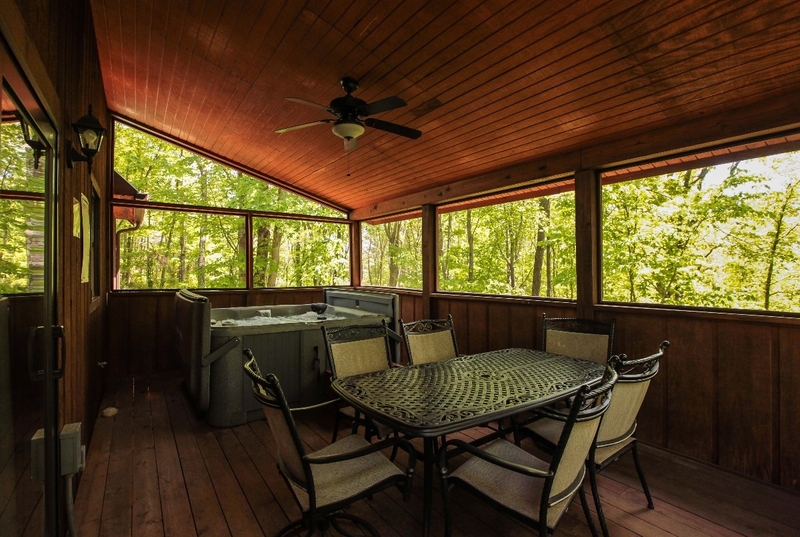 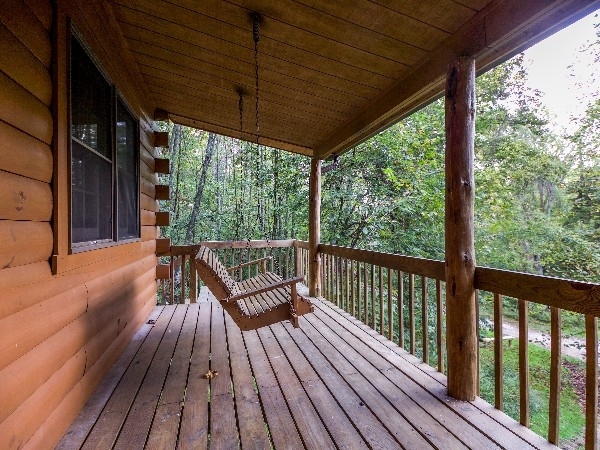 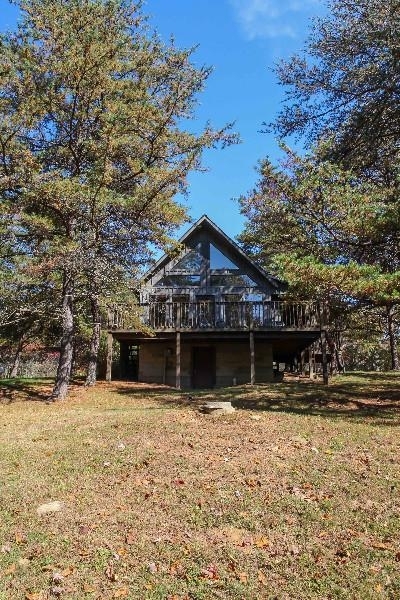 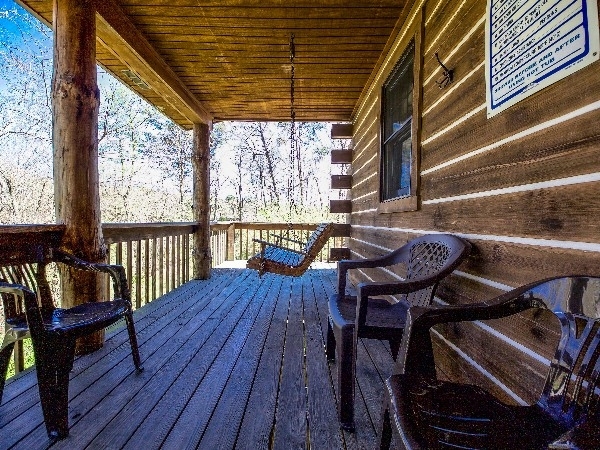 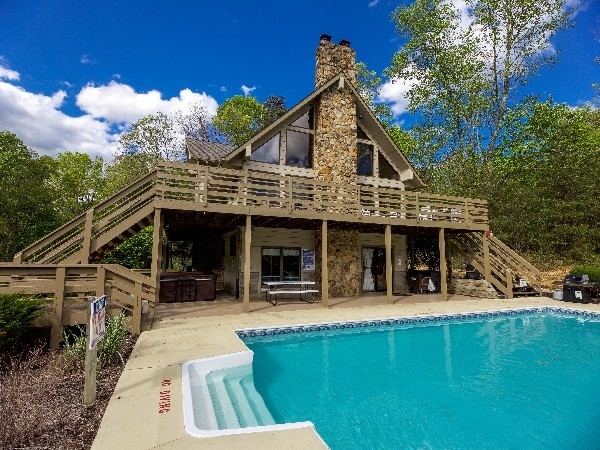 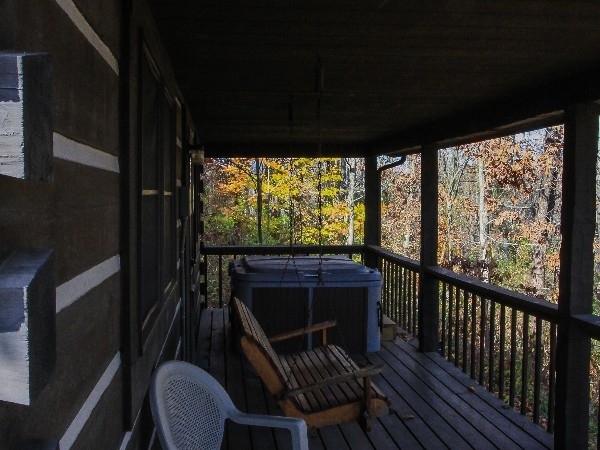 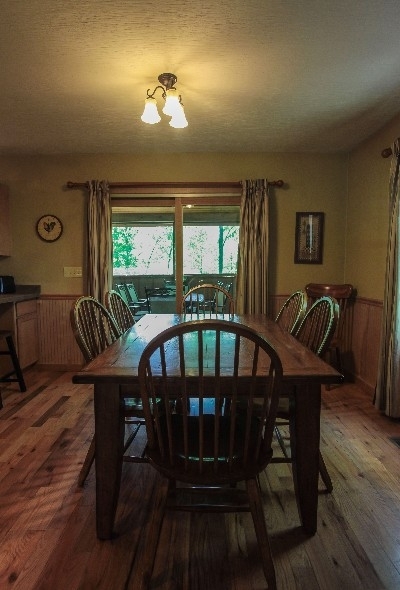 Log cabin, sleeps4 w/2queen beds, 2 full baths, full kitchen, wood floors, woodburning fireplace, private hot tub, charcoal grill, covered deck w/porch swing, wooded location, close to parks. 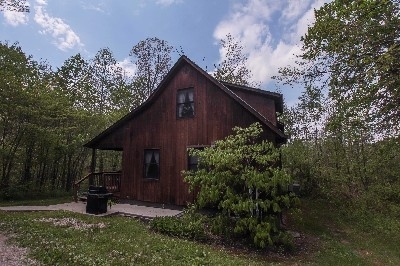 Log Cabin, Two Bedrooms - 1 Queen and 1 Full Size, Cable TV/DVD, No Phone, Full Kitchen, Washer Dryer, Private Hot Tub, Wood burning Fireplace, Front Porch Swing, Wooded lot close to Lake Logan, State Park and Caves. 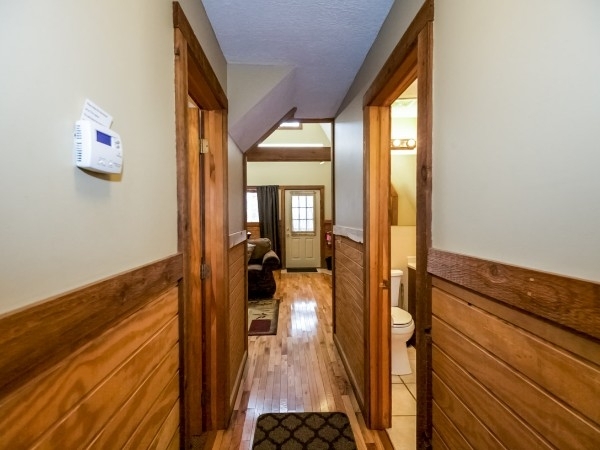 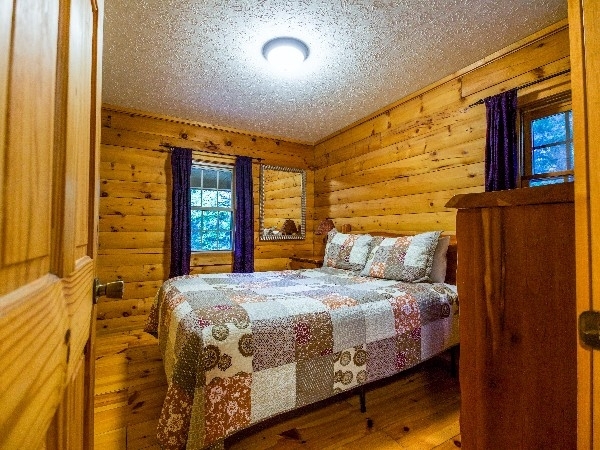 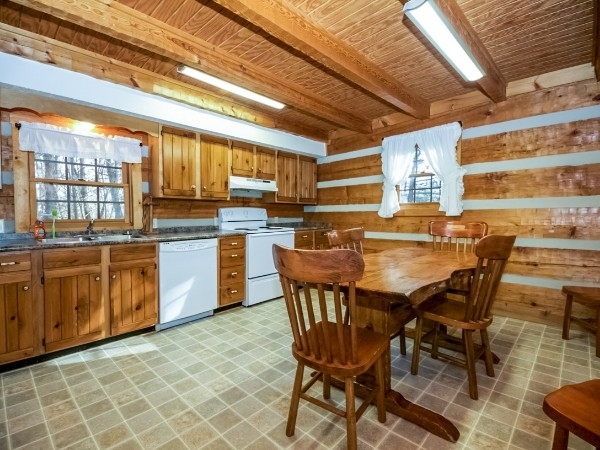 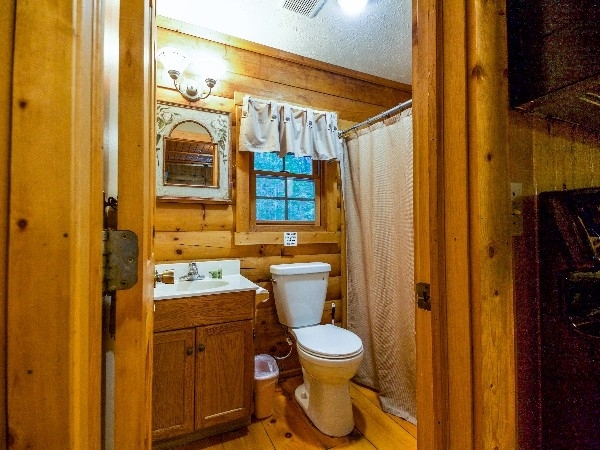 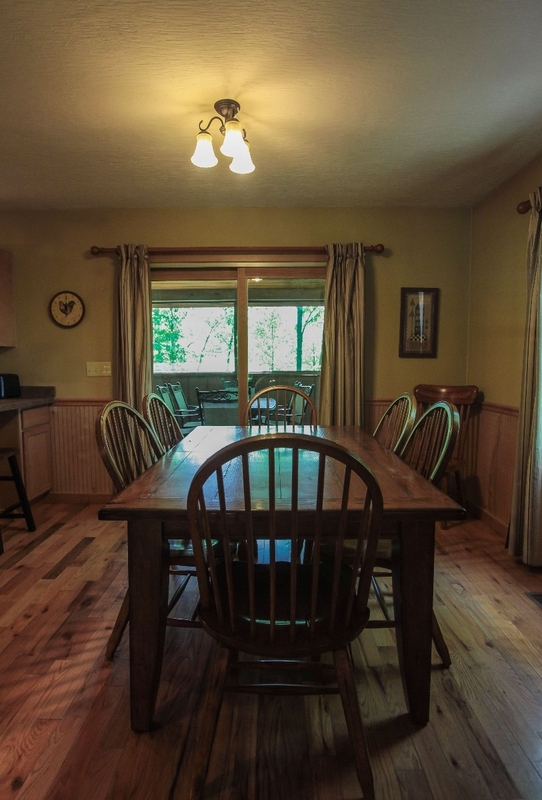 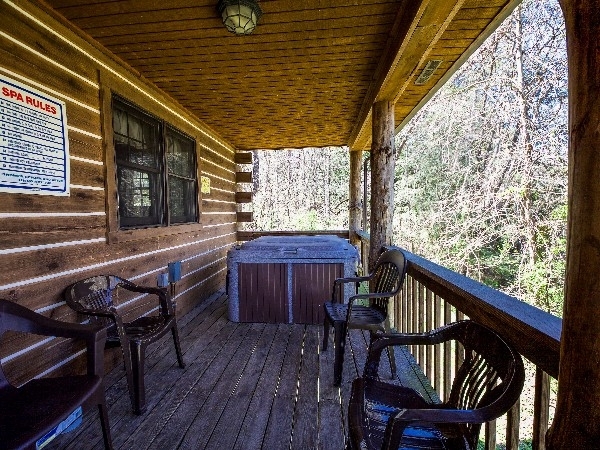 Log Cabin, 1 Queen Bedroom and 1 Bedroom w/2queen beds, 2 full bath, indoor jacquzzi tub, private hot tub, full kitchen, gas fireplace, wood floors, covered deck w/porch swing, charcoal grill, Satellite TV/DVD, close to parks. 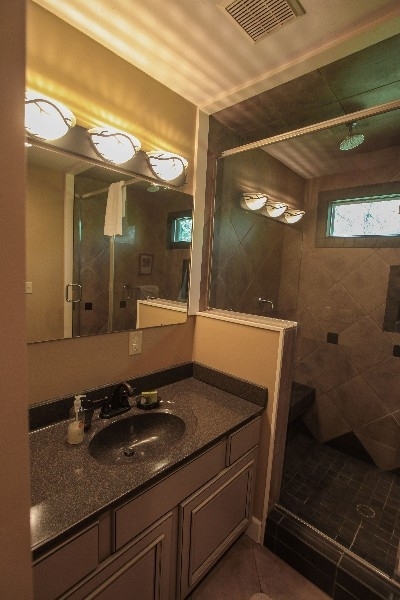 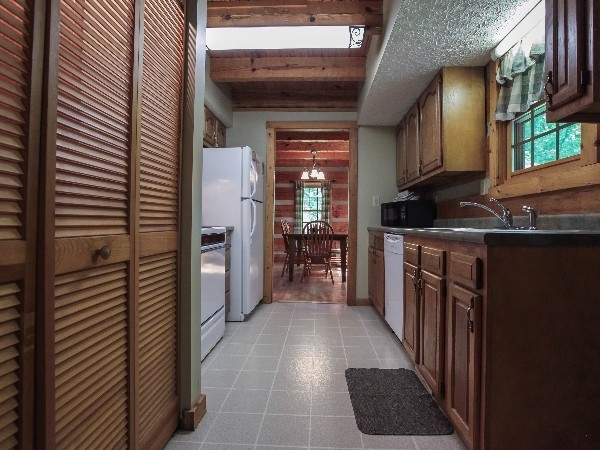 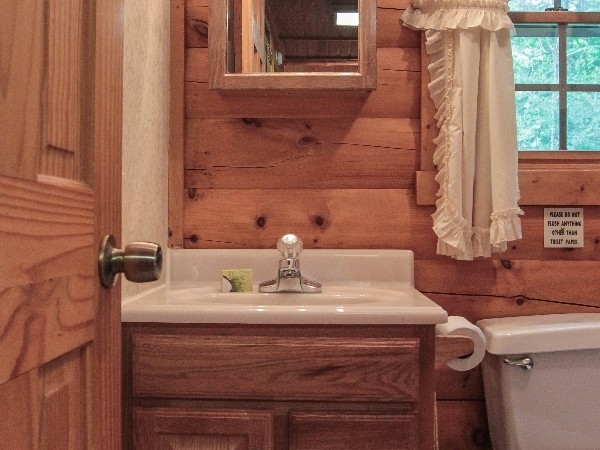 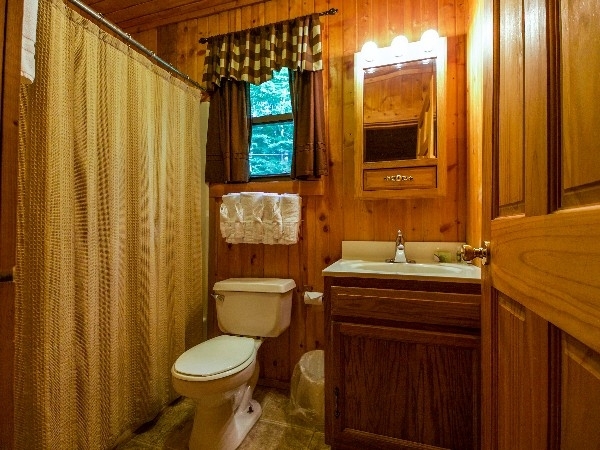 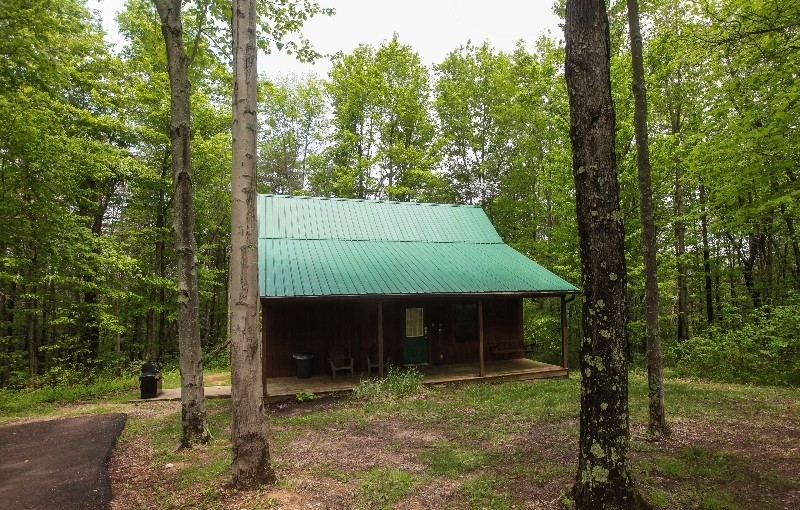 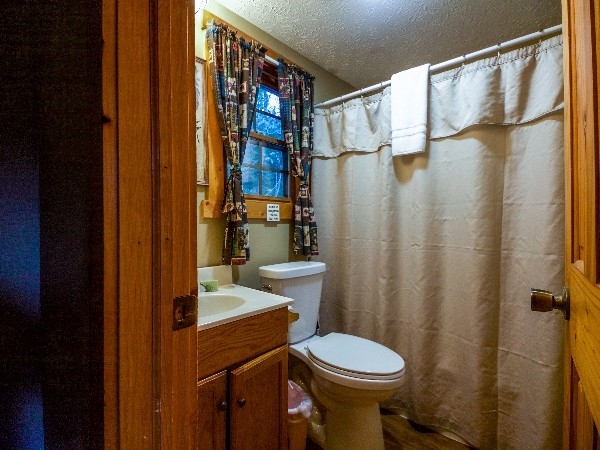 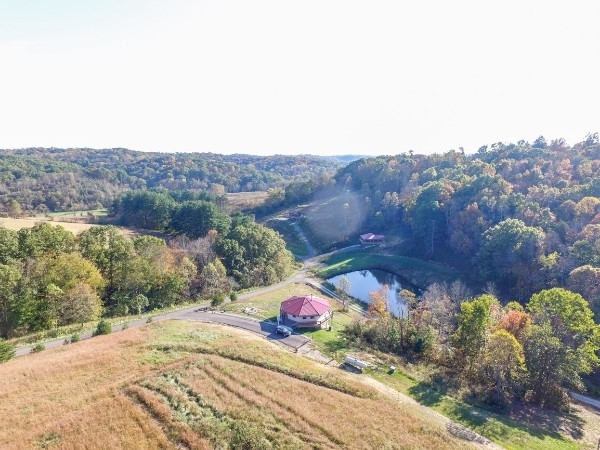 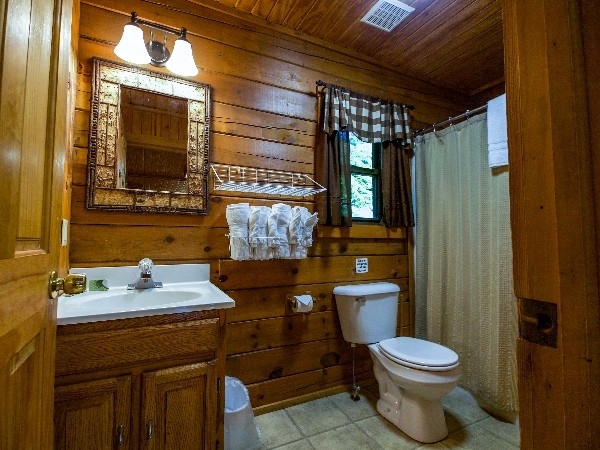 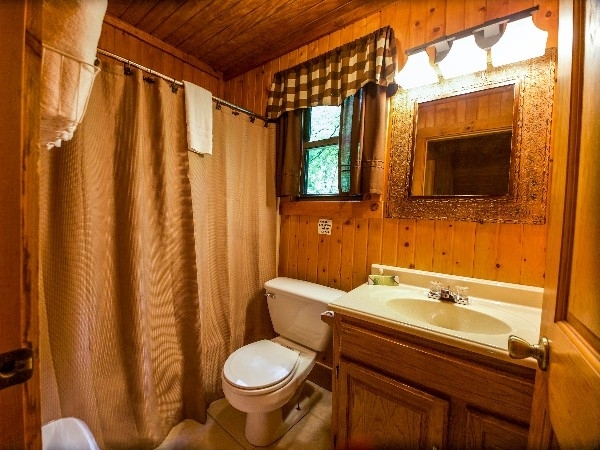 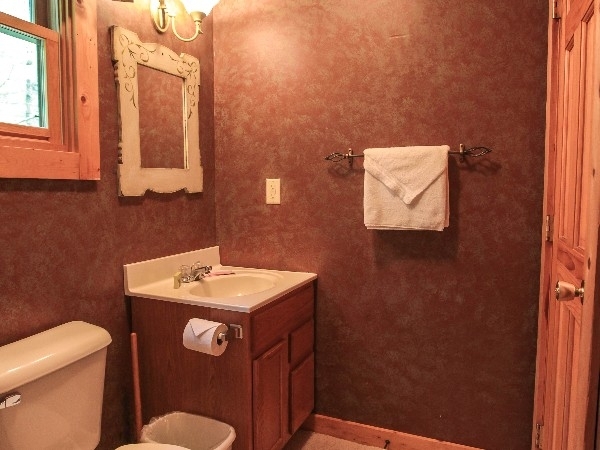 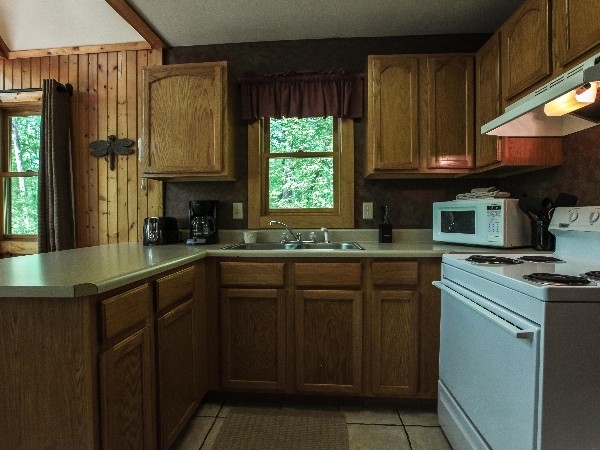 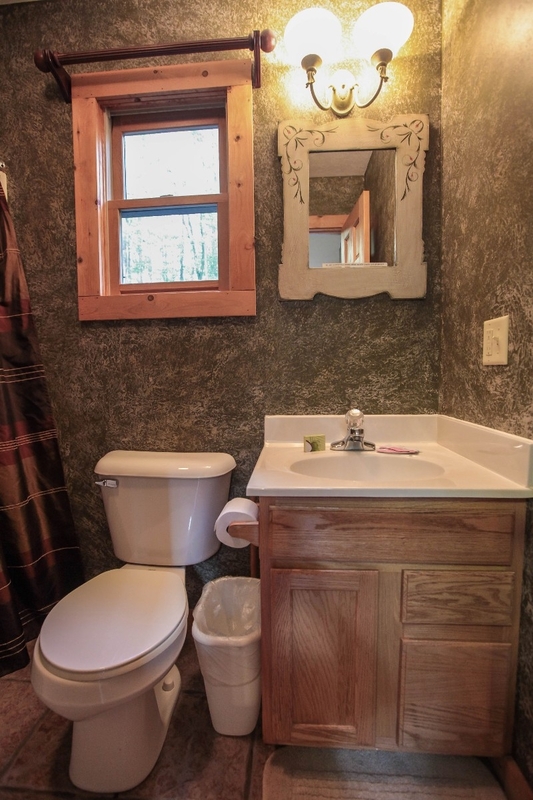 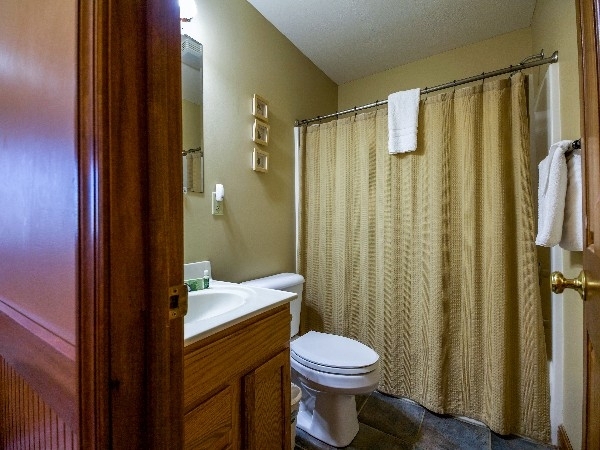 Log Cabin, 2 Queen Bedrooms, 2 Full baths, Full kitchen, Woodburning fireplace, Private hot tub, Cable TV/DVD, No Phone, Washer Dryer, Covered porch w/swing, wooded location close to Lake Logan state park and the caves. 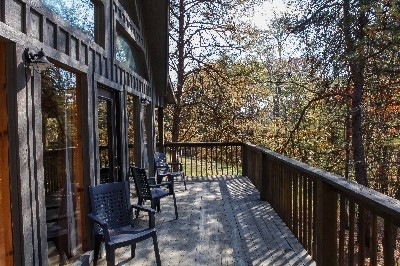 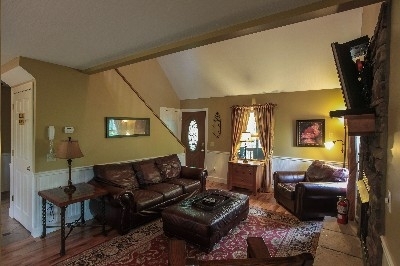 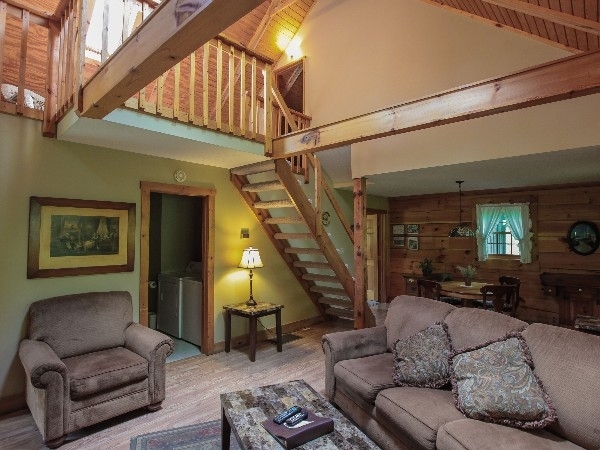 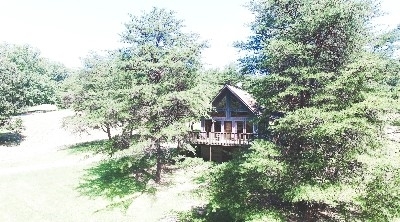 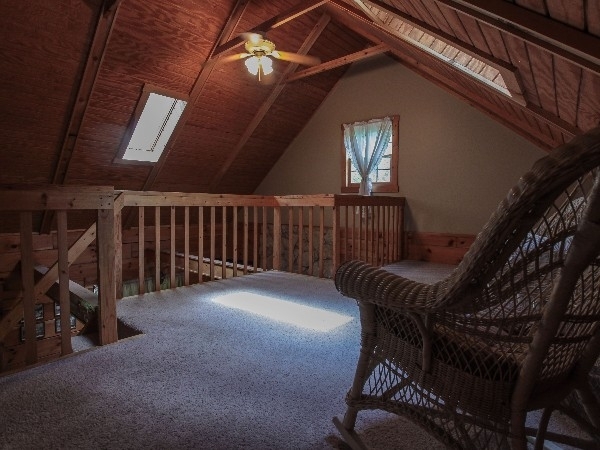 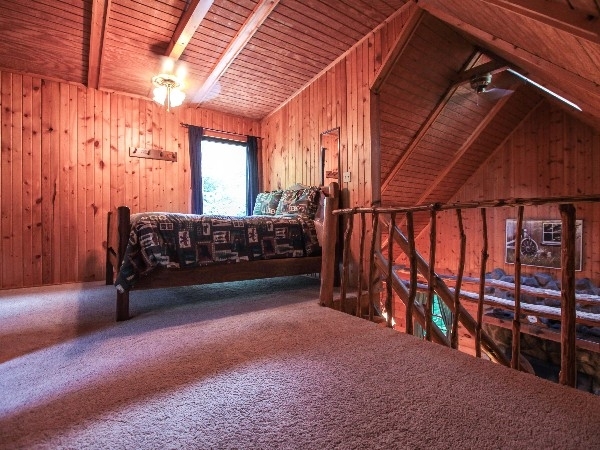 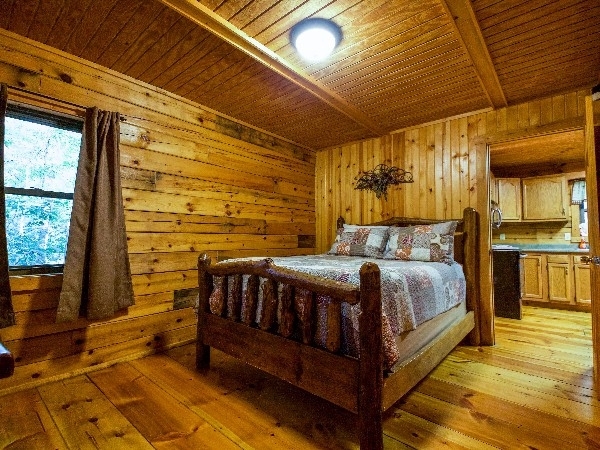 Vacation Cabin, 1 Queen Bedroom on main floor and Queen bed in Loft, 1 Full bath, Full kitchen, Gas fireplace, limit reception TV/DVD, Private hot tub, Wood floors, Professionaly decorated, wrap around deck, charcoal grill. 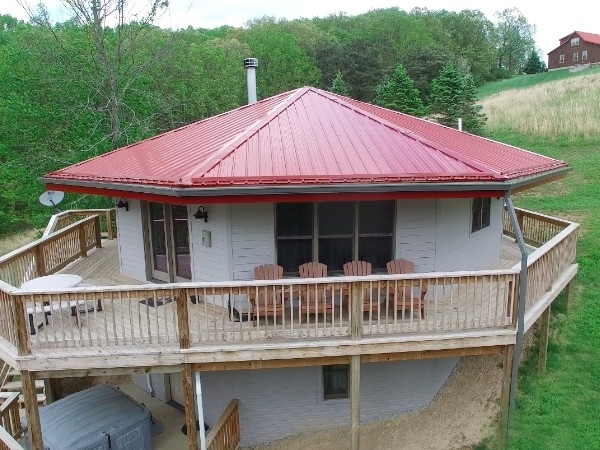 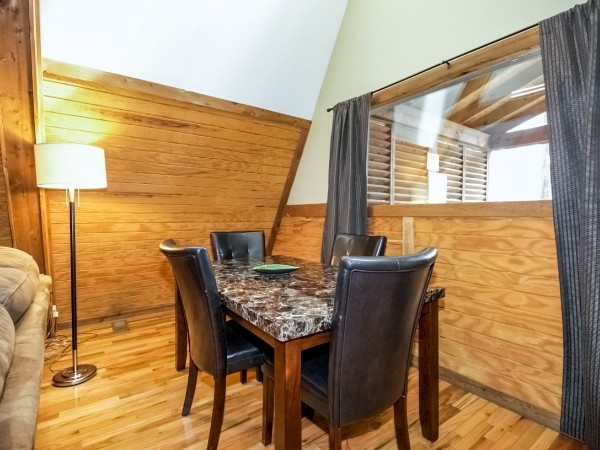 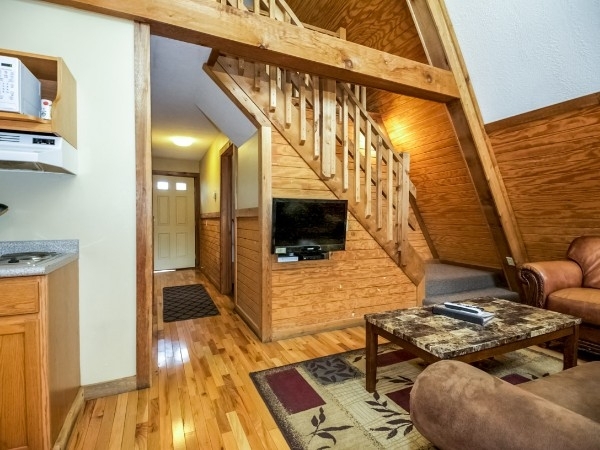 Vacation Cabin, 1 Queen Bedroom on main floor and Queen bed in Loft, 1 Full bath, Full kitchen, Gas fireplace, Satellite TV/DVD, Private hot tub, Wood floors, Professionaly decorated, wrap around deck, charcoal grill. 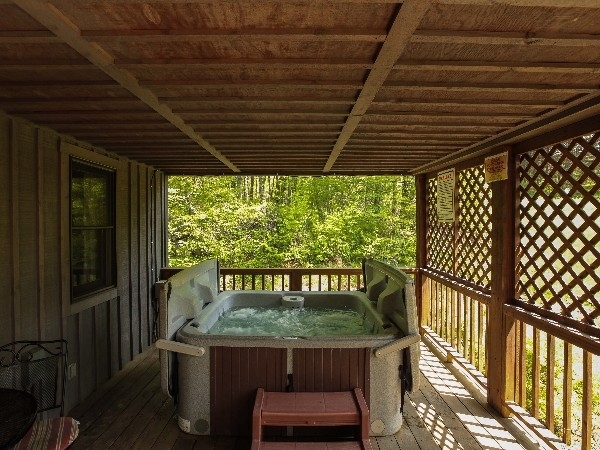 Vacation cabin, sleeps 6, 2 queens and 1 sofa sleeper, 2 full baths, laundry, full kitchen, Satellite TV, DVD, gas fireplace, hot tub, covered front/rear porchs, hilltop location w/view, close to golf, shopping, parks. 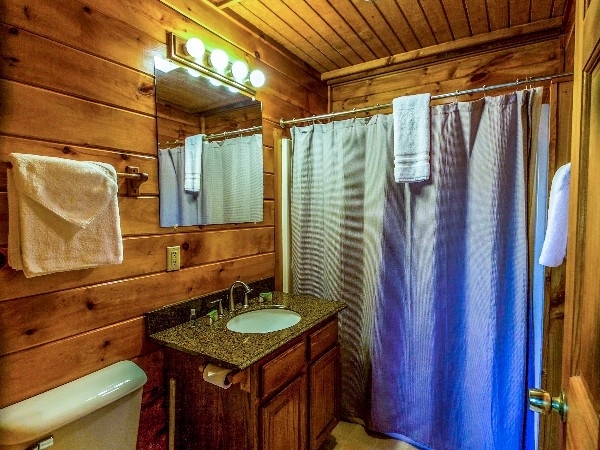 Vacation cabin, sleeps 6, 2 queens and 1 sofa sleeper, 2 full baths, full kitchen, laundry,Satellite TV, DVD, gas fireplace, hot tub, covered front/rear porchs, hilltop location close to golf, shopping, parks. 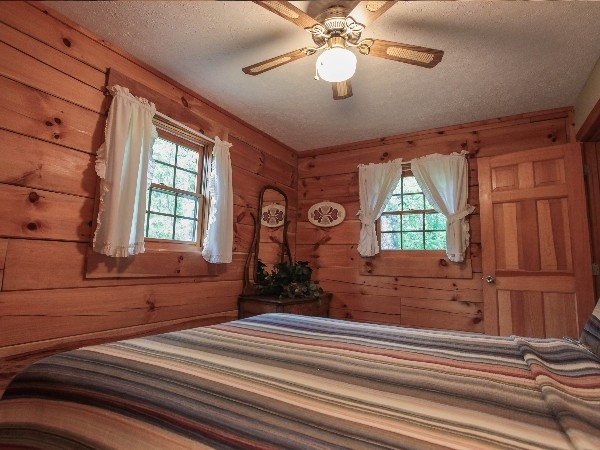 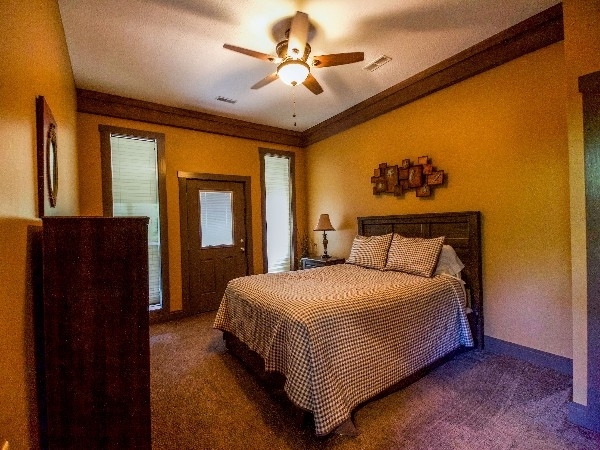 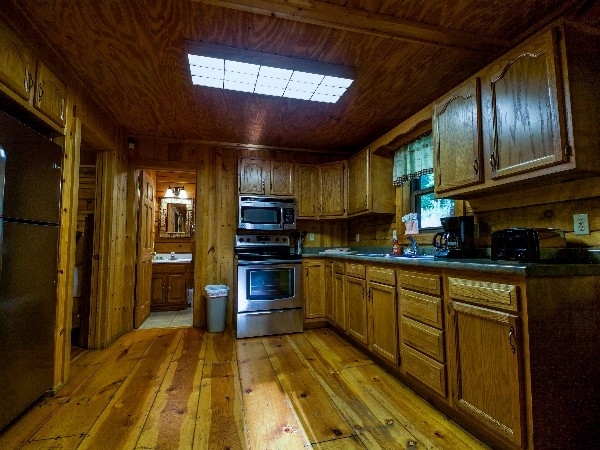 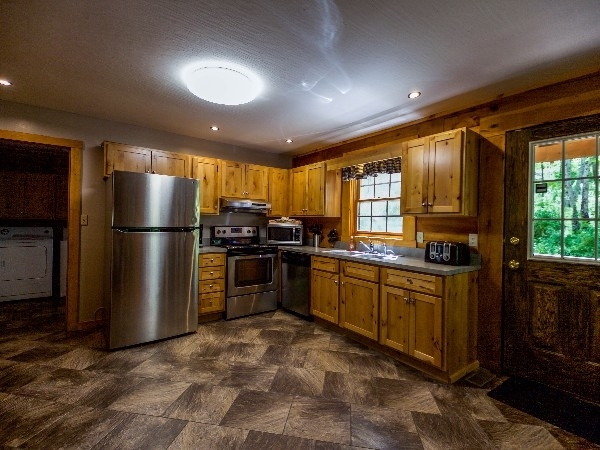 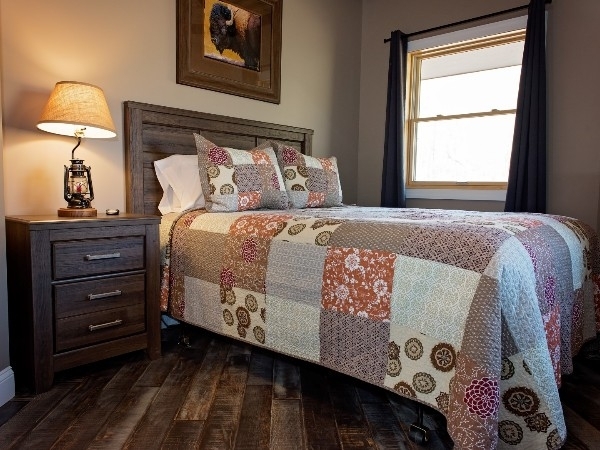 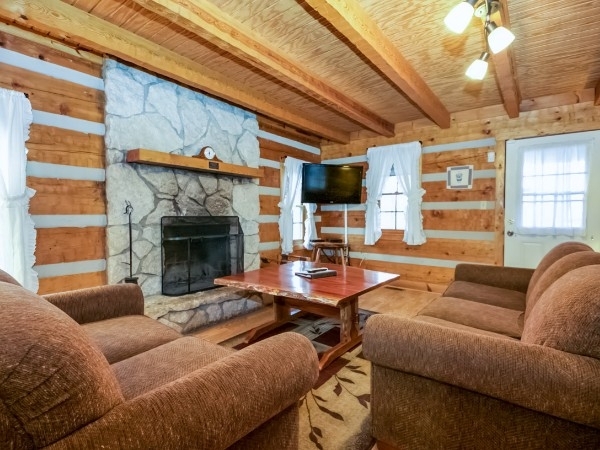 Pet friendly, Log Cabin, 3 bedrooms - 3/queen beds and 1 set of bunks, Queen Sofa Sleeper, 2 Full Baths, Woodburning Fireplace, Private Hot Tub, Satellite TV DVD, Full Kitchen, Wood Floors, Covered Front Porch w/Swing, Charcoal Grill. 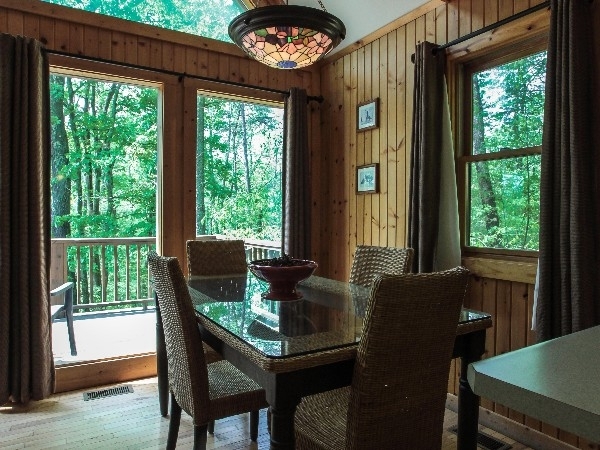 Newly remodeled Screened porch with a wooded view, Outdoor fire pit to enjoy the starry nights, seasonal gas grill, 2 Flat screen tv''s, well equipped kitchen, sleeps up to 8 persons, with 3 queen beds and a Lay Z Boy sofa sleeper. 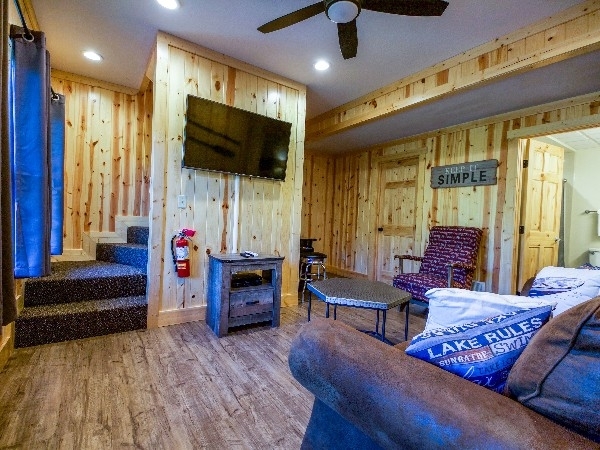 Outdoor fire pit, seasonal gas grill, 2 Flat screen tv''s, well equipped kitchen, sleeps up to 8 persons, with 3 queen beds and a Lay Z Boy sofa sleeper. 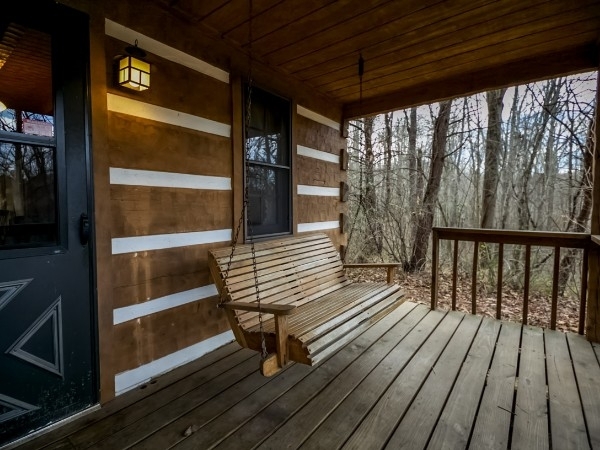 Two full bathrooms, front porch swing, stone gas fireplace, and hardwood floors. Private cabin snuggled in the woods. 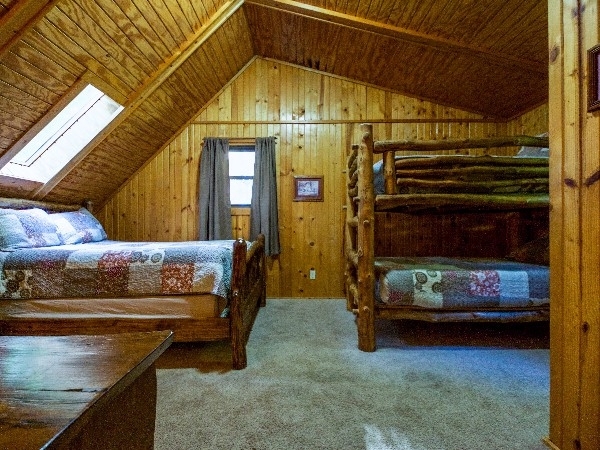 2 king bedrooms, Queen bed in loft,Queen Sofa Sleeper, 2 full baths, private Hot Tub on covered deck with Swing, Gas fireplace, Satellite TV, DVD, Full Kitchen, Charcoal Grill. 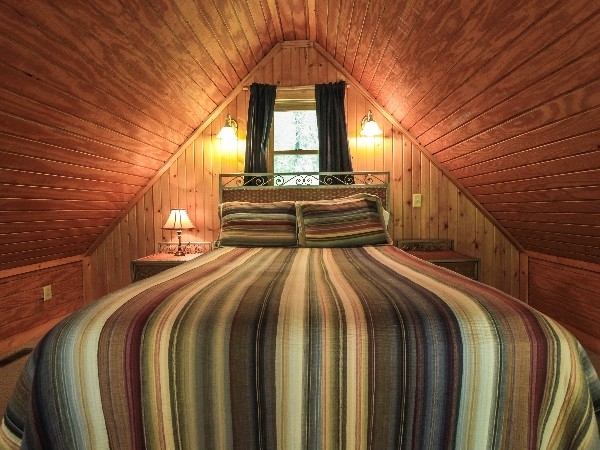 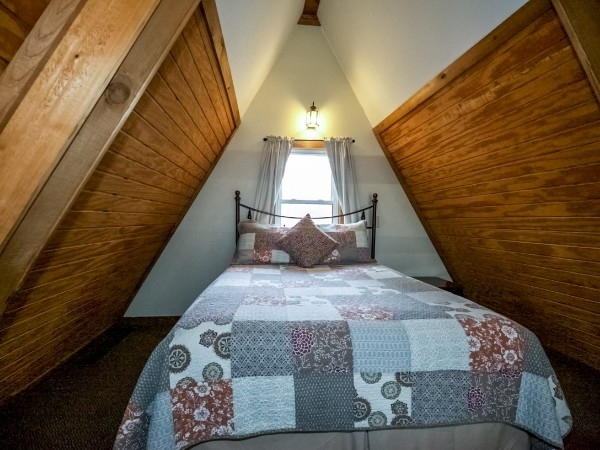 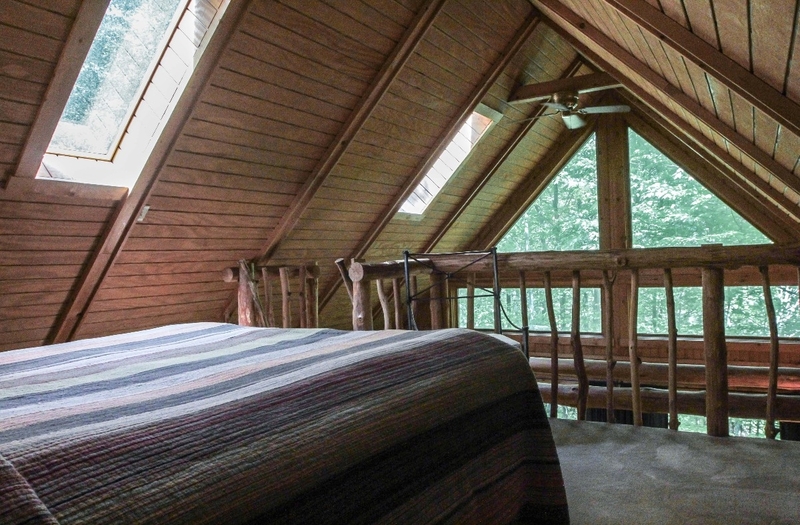 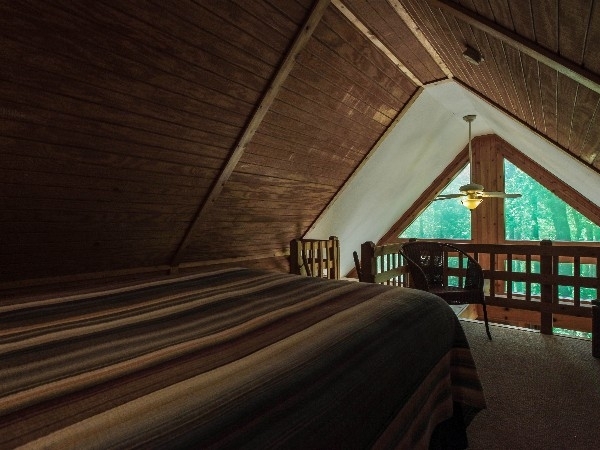 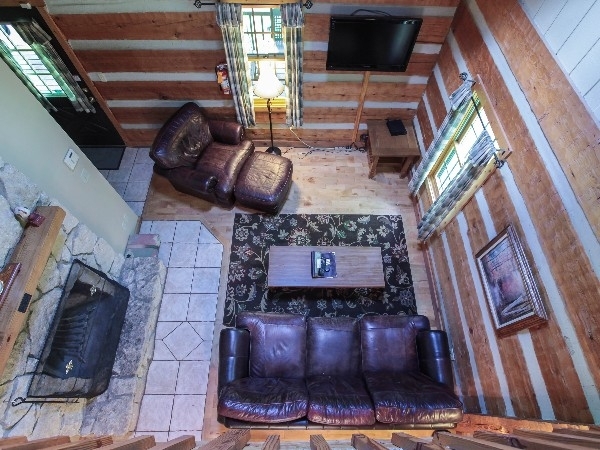 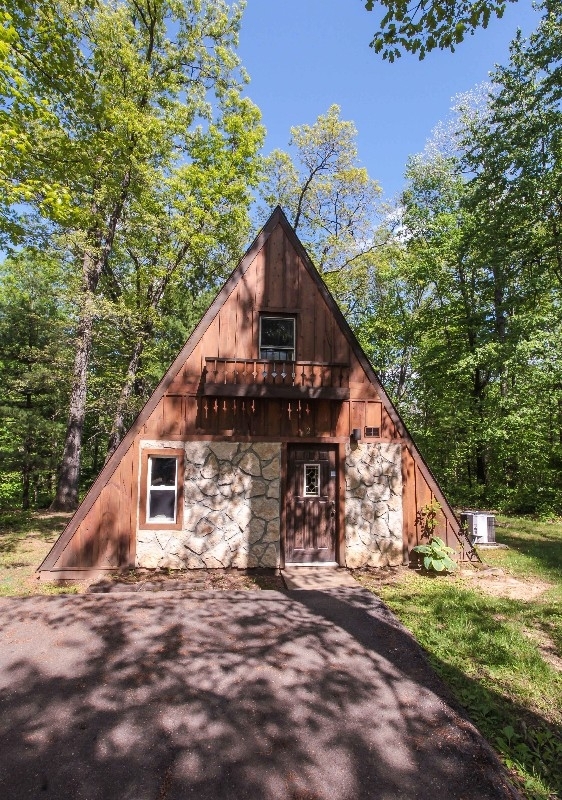 Cozy Private A-frame cabin with Private Hot Tub, Queen Bedroom main floor, Queen bed in Loft, 1 Bath, Kitchenette, Antenna TV/DVD, Central air/heat, Charcoal Grill, Woodburning Fireplace. 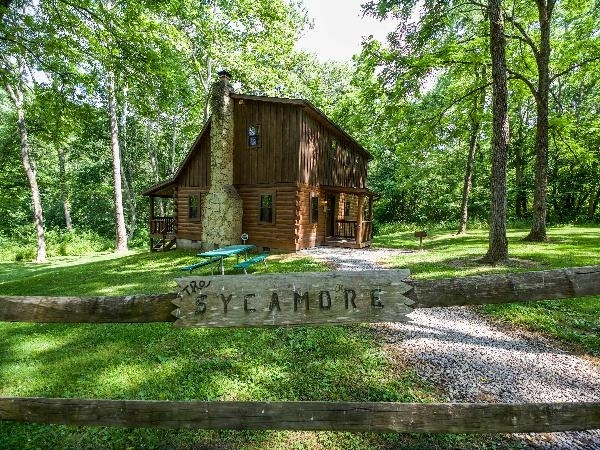 Wooded site, close to Old Man''s Cave. 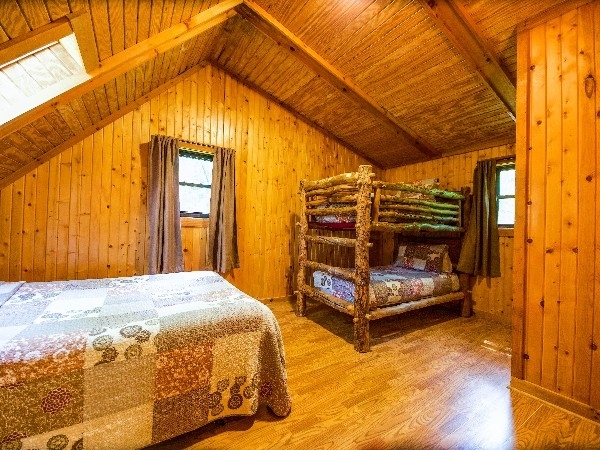 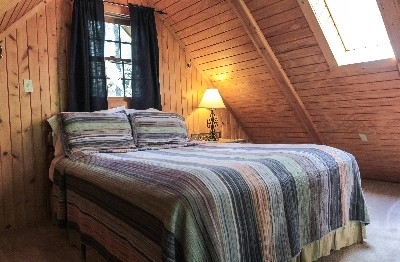 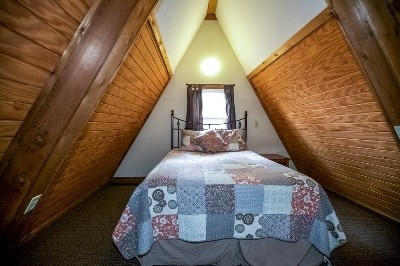 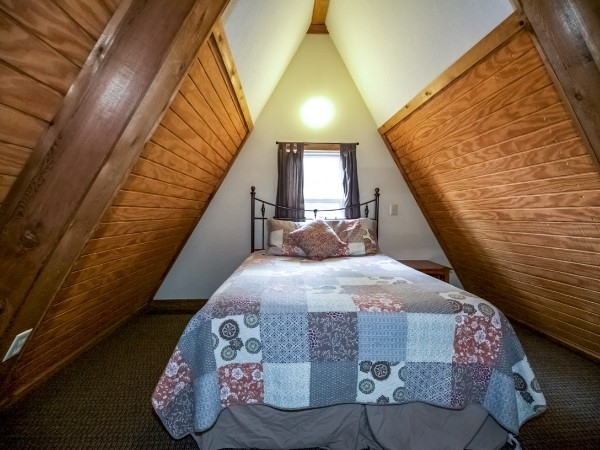 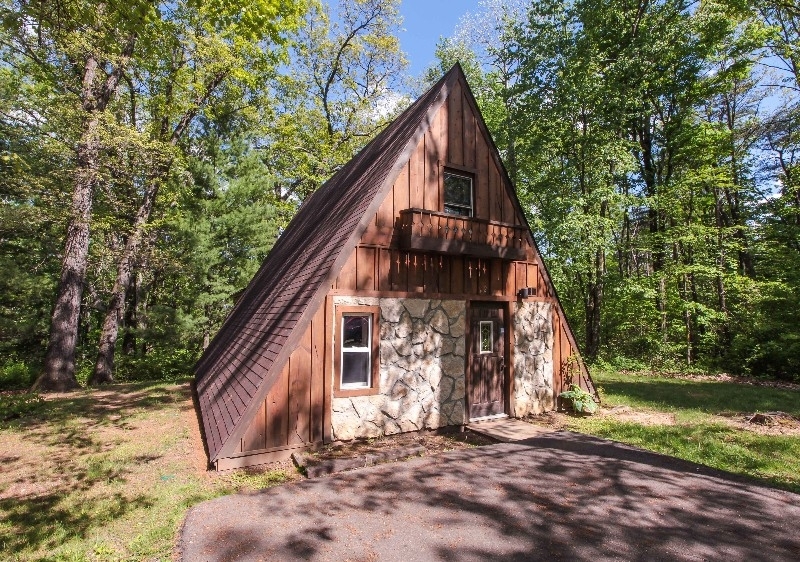 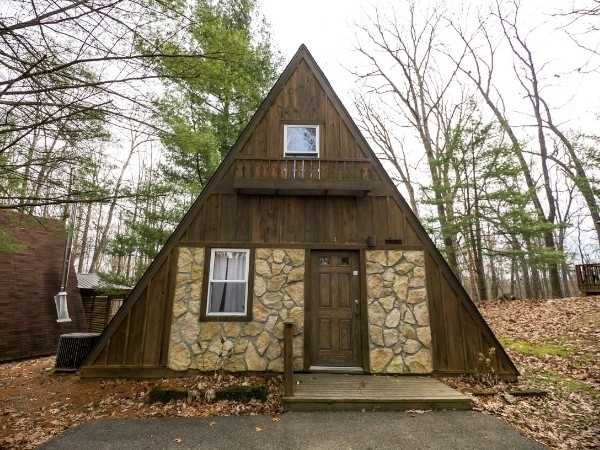 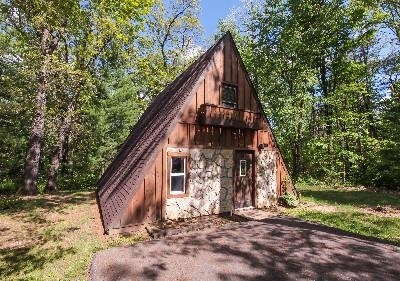 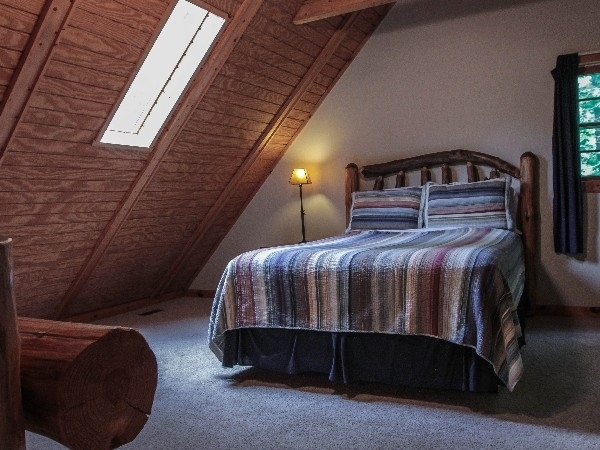 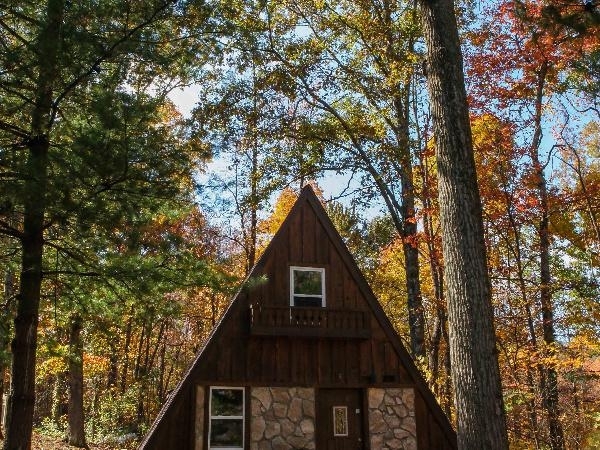 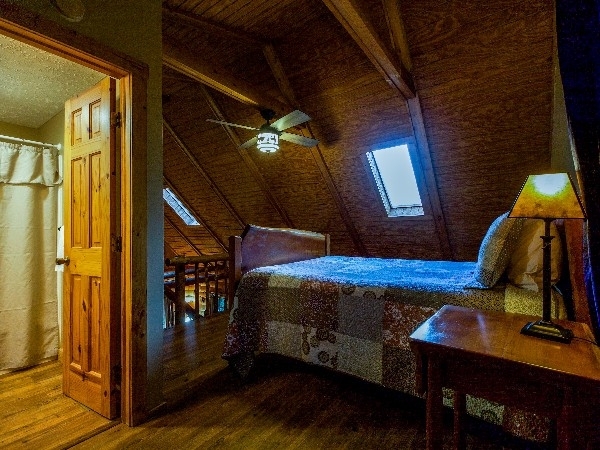 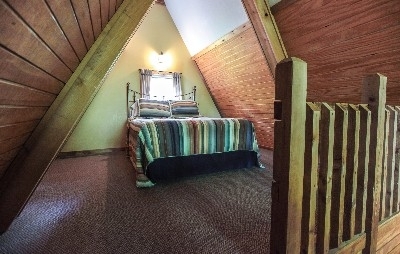 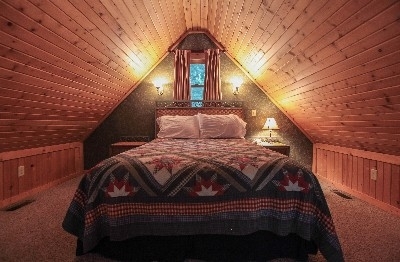 Cozy Private A-frame cabin with Private Hot Tub, Queen Bedroom main floor, Queen bed in Loft, 1 Bath, Kitchenette, Satellite TV/DVD, Central air/heat, Charcoal Grill, Woodburning Fireplace. 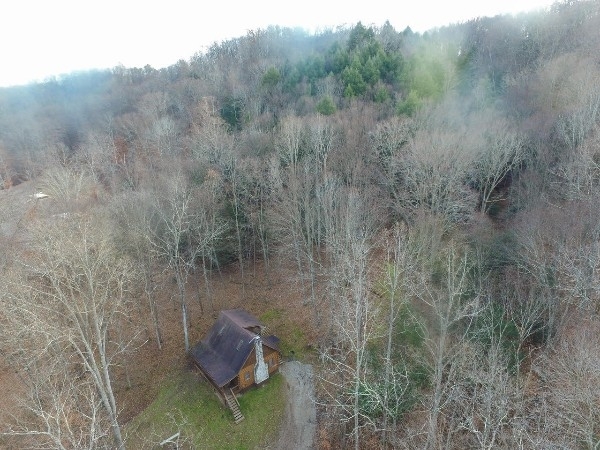 Wooded site, close to Old Man''s Cave. 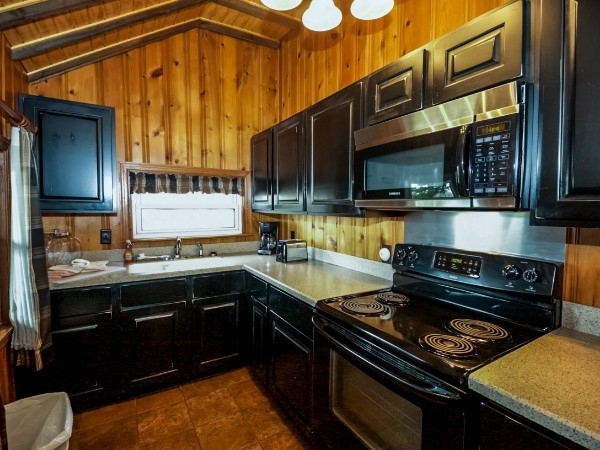 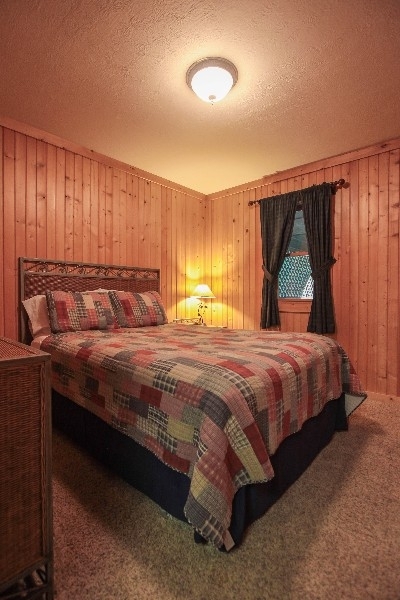 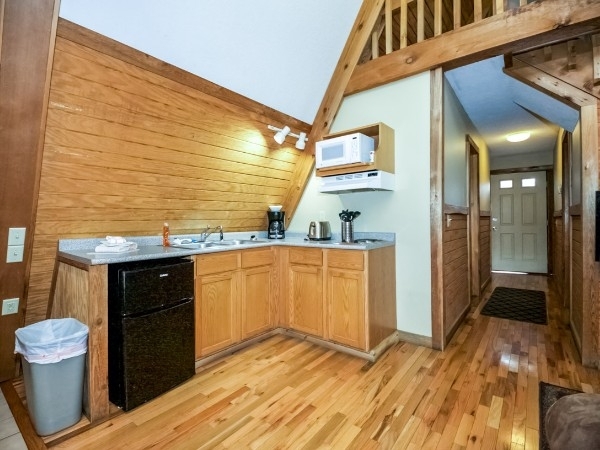 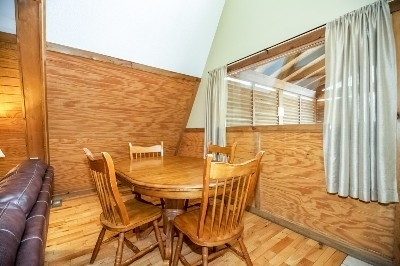 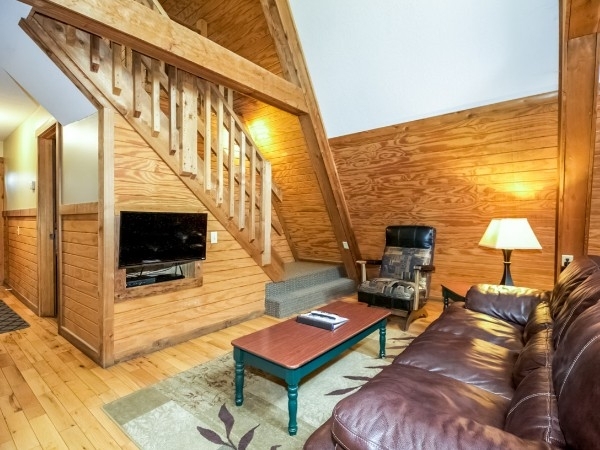 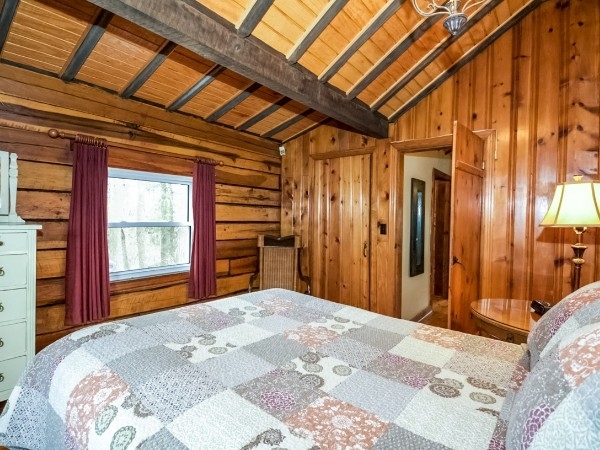 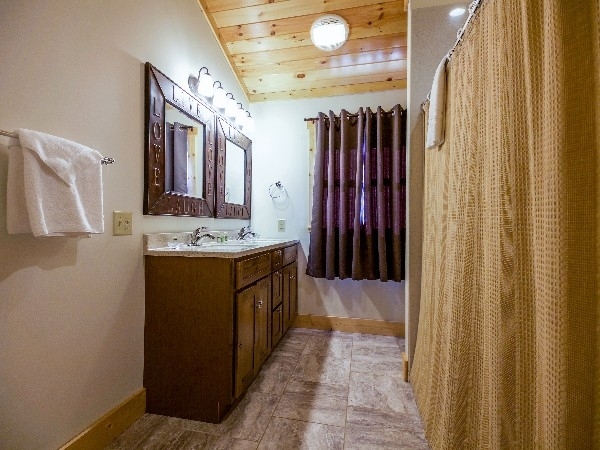 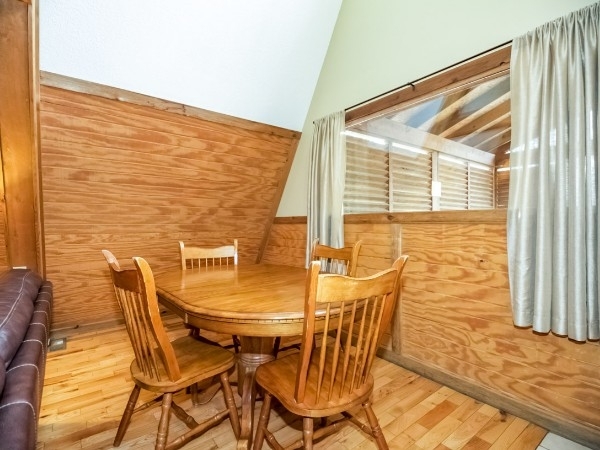 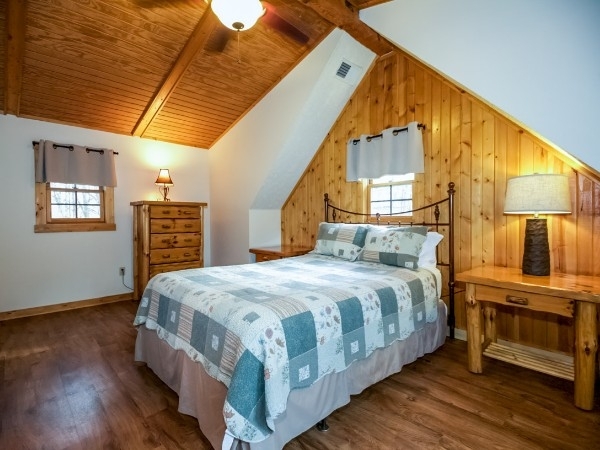 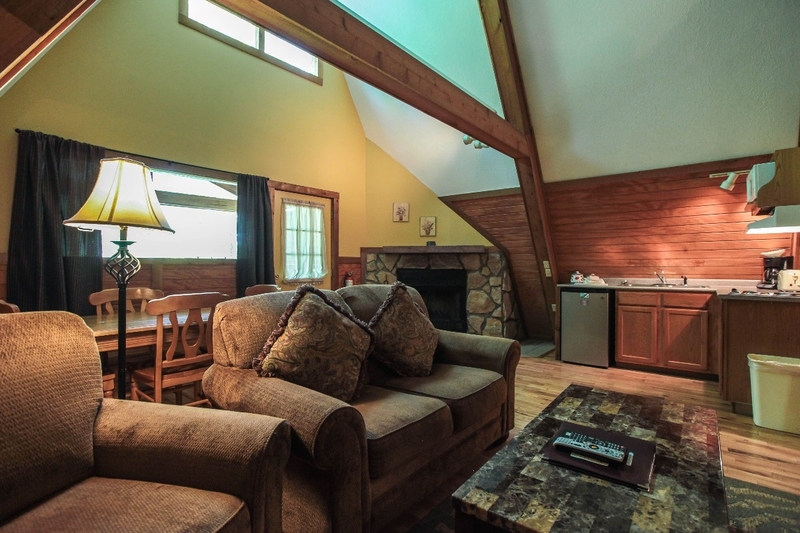 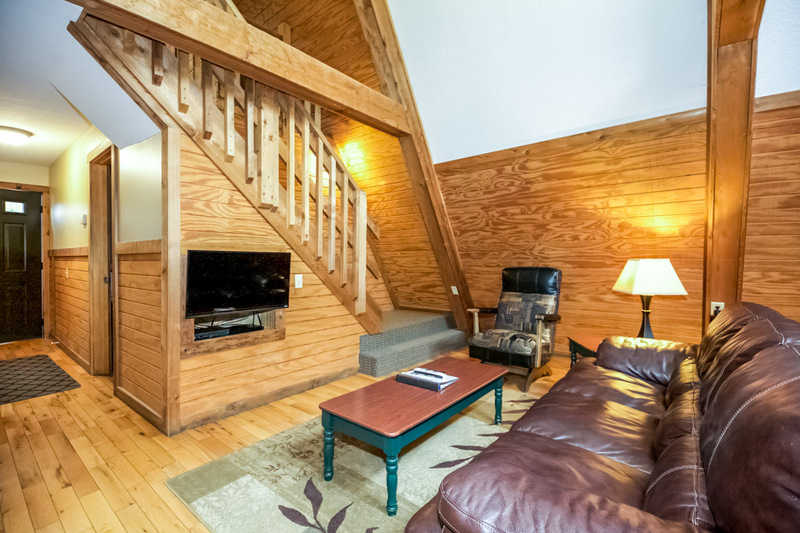 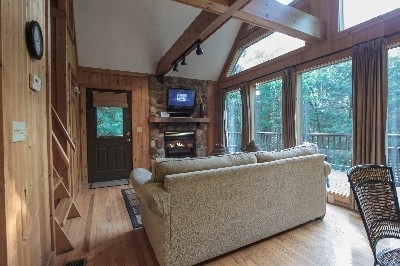 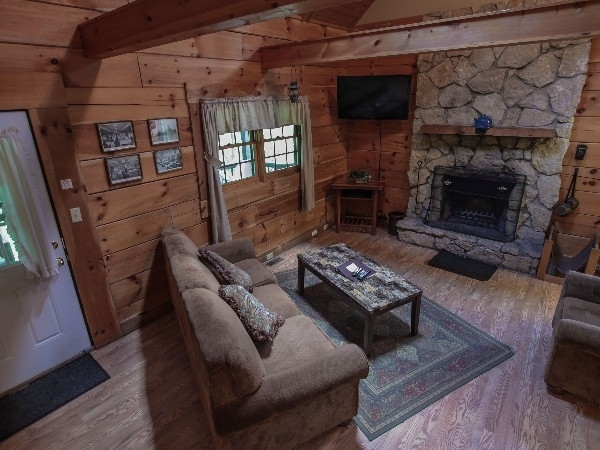 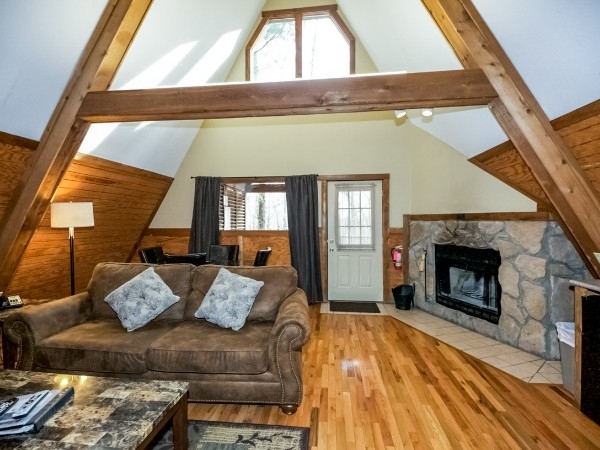 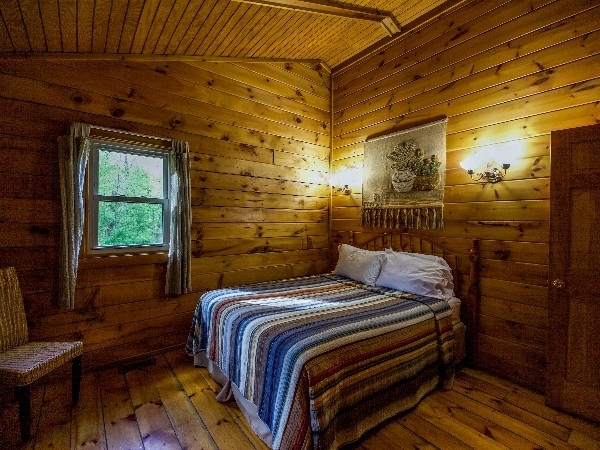 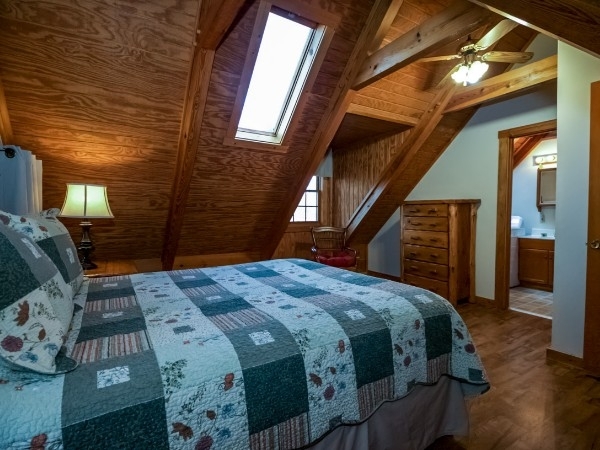 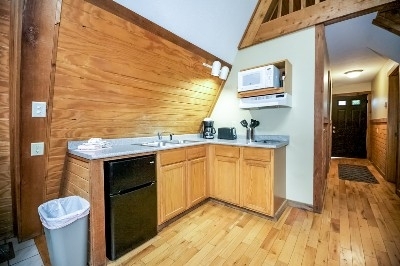 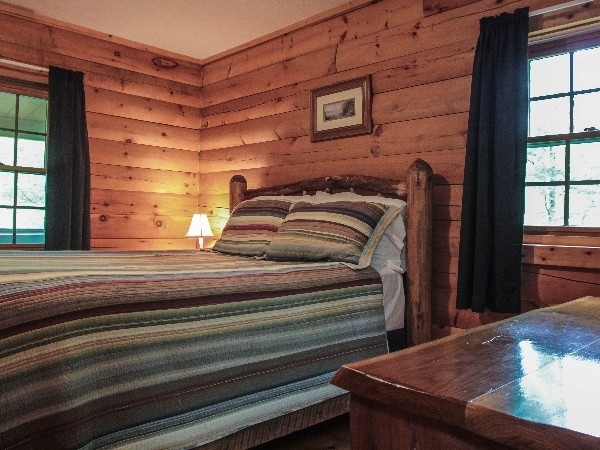 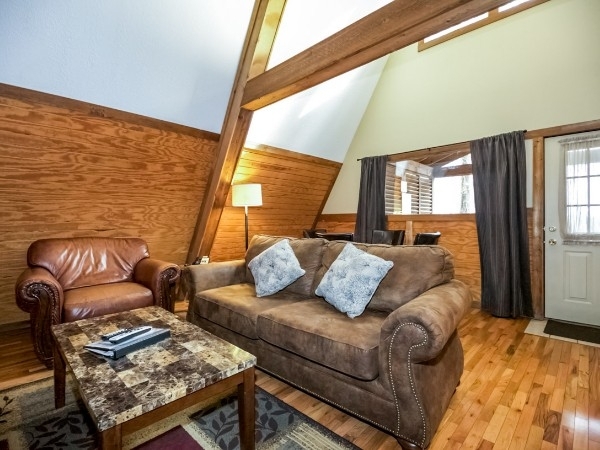 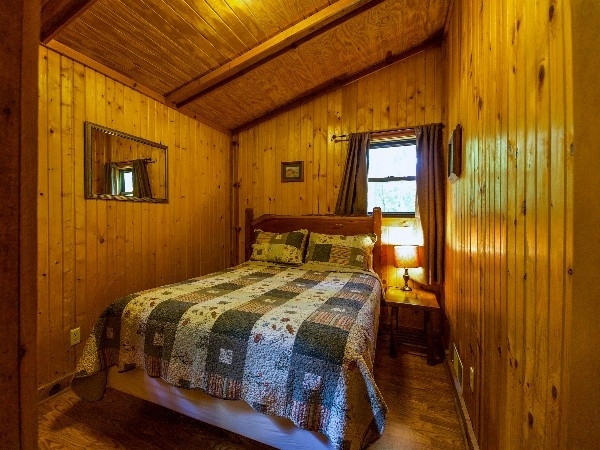 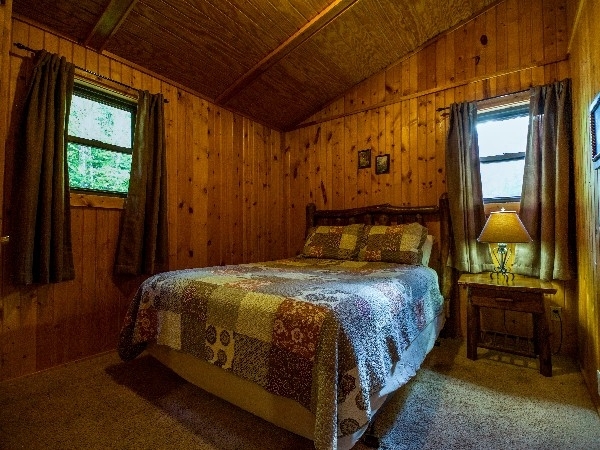 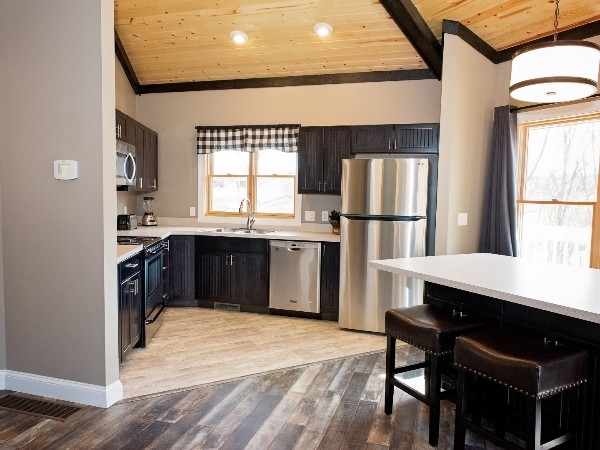 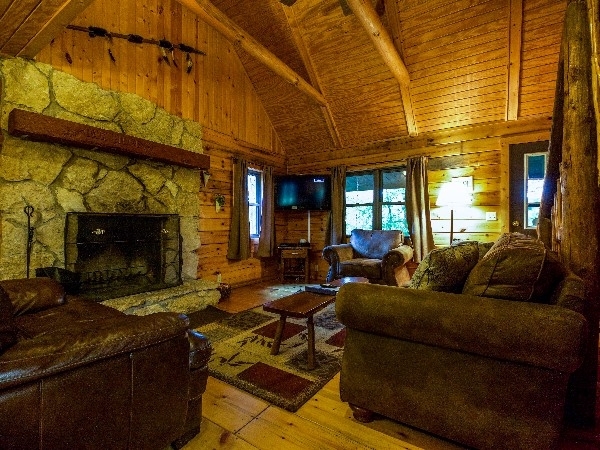 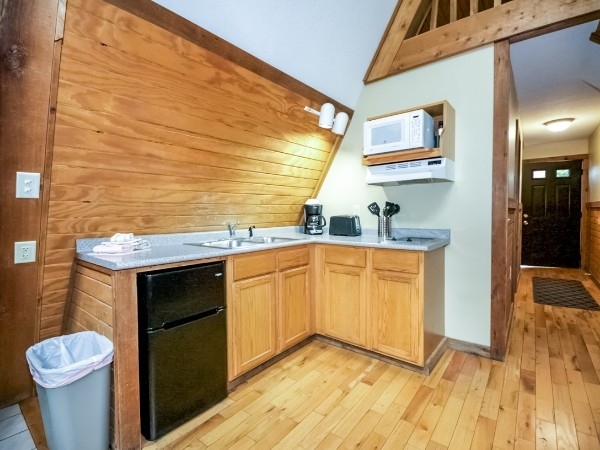 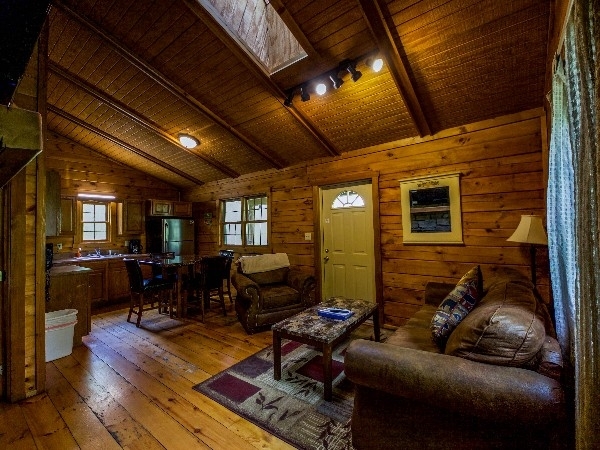 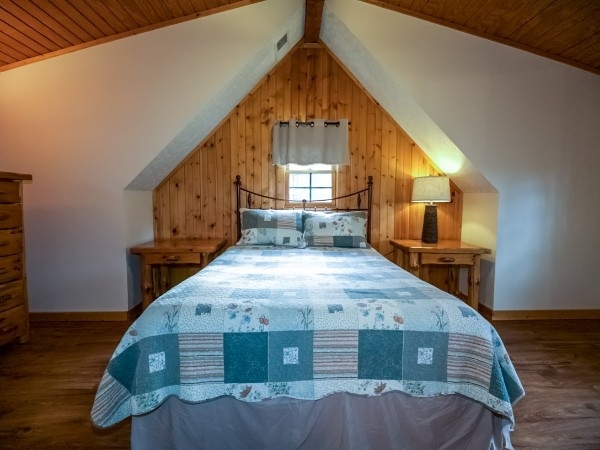 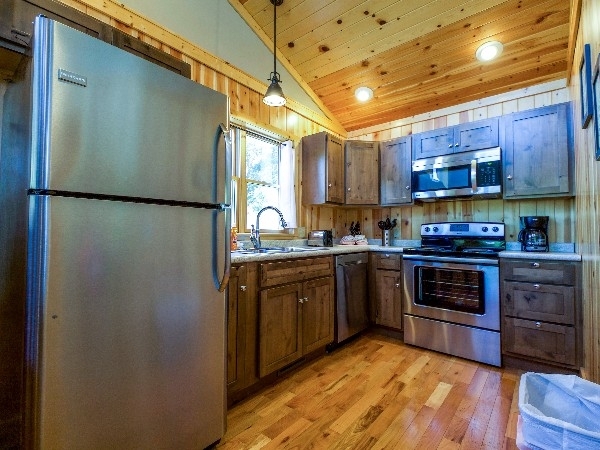 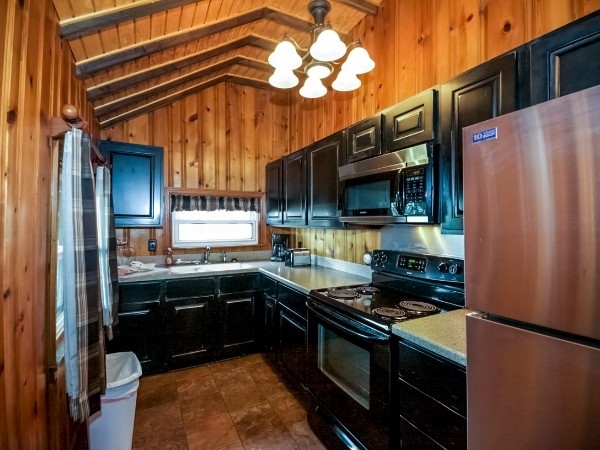 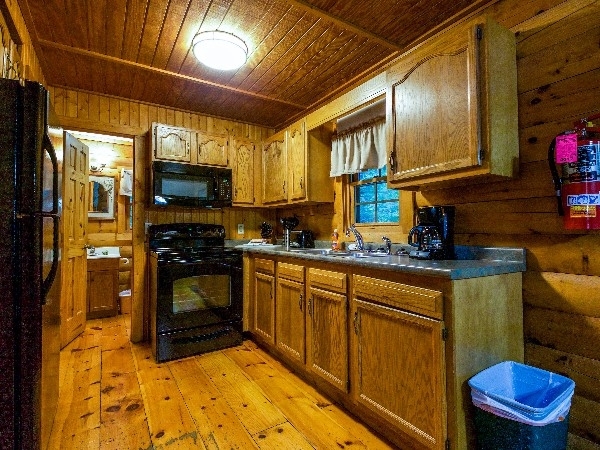 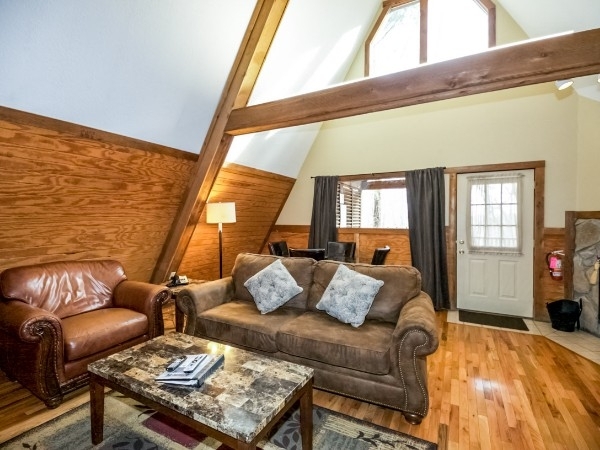 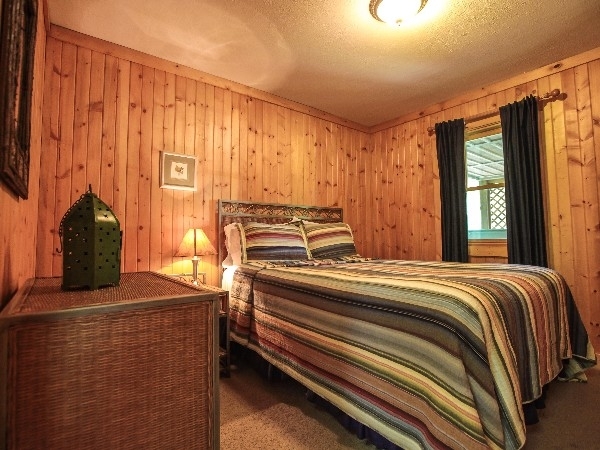 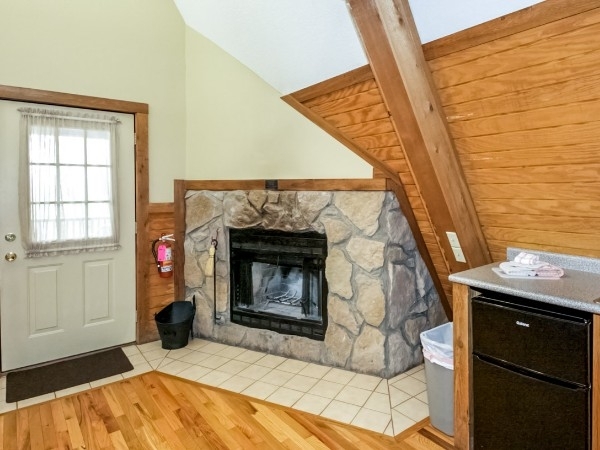 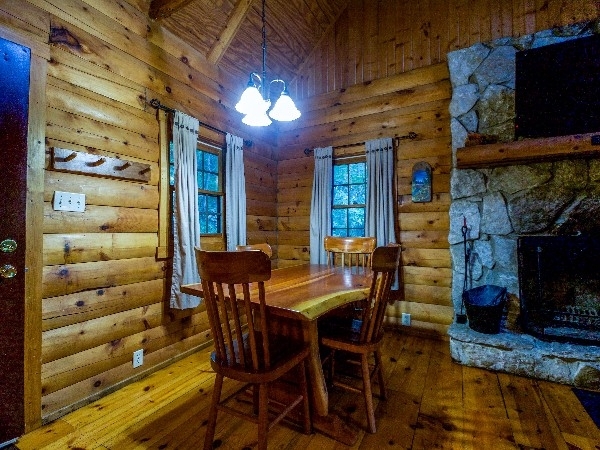 Pet friendly, Cozy Private A-frame cabin with Private Hot Tub, Queen Bedroom main floor, Queen bed in Loft, 1 Bath, Kitchenette, Satellite TV/DVD, Central air/heat, Charcoal Grill, Woodburning Fireplace. 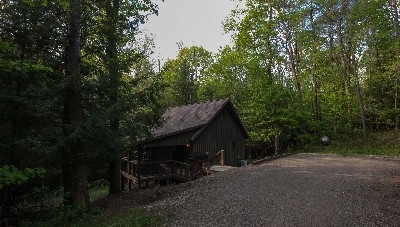 Wooded site, close to Old Man''s Cave.